PARENTS: Clark Co. Sheriff’s Office has advised that students who ride buses that go across the river (13, 14 & 28) need to be dismissed right now due to potential flooding. Admin. is preparing those students to catch their respective buses. THURSDAY AFTERNOON BUS ROUTE INFORMATION: Students that ride buses 13 and 28 will ALL ride bus 28 this afternoon ONLY to get home. 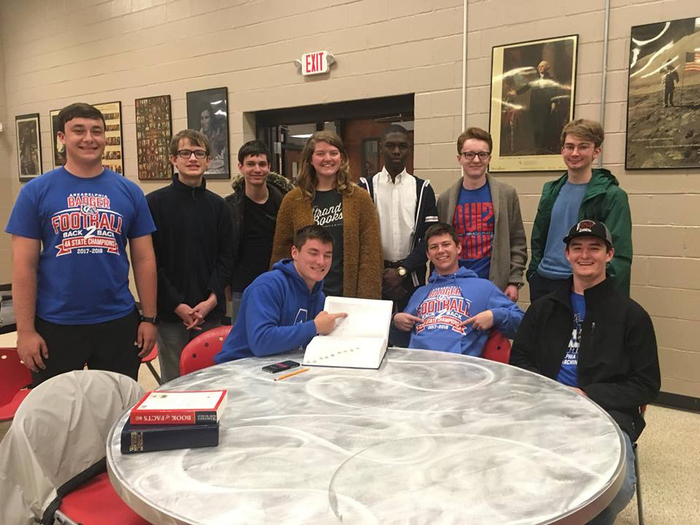 Congratulations to our AHS Quiz Bowl team for making the State Final match in this year’s 4A state Quiz Bowl Championships. 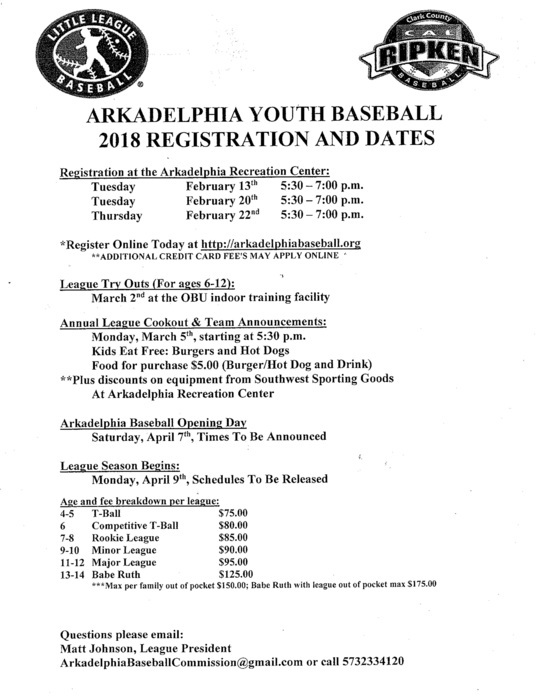 Arkadelphia will face Monticello on April 27th at the AETN headquarters in Conway. Great job, Badgers!! photo credit to Sherry Hayes. FYI: Around 5:00 pm this evening, 2 helicopters will be landing in the grassy area between new Goza Middle School & Wal-Mart. This is in conjunction w/HSU EMT students & local emergency personnel. If you see helicopters in that area, know that it is NOT because of an emergency. 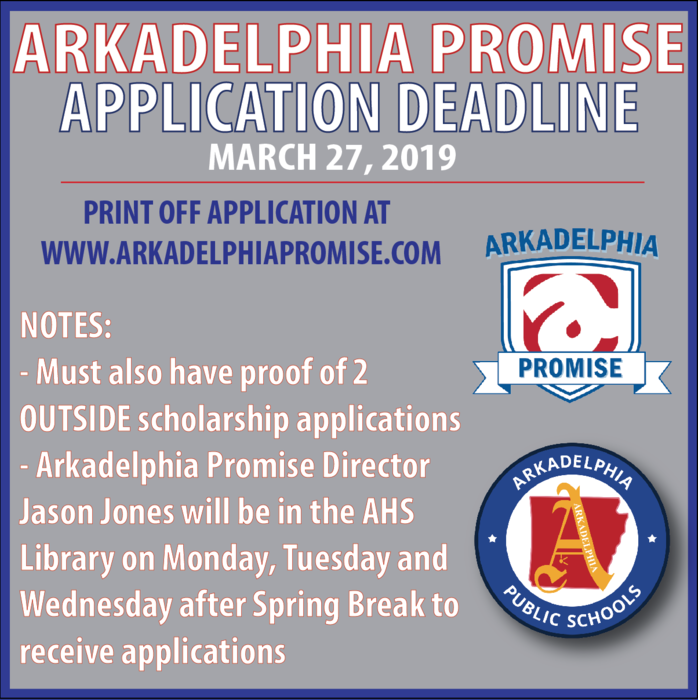 ARKADELPHIA PROMISE APPLICATION DEADLINE upcoming after Spring Break! See information below. 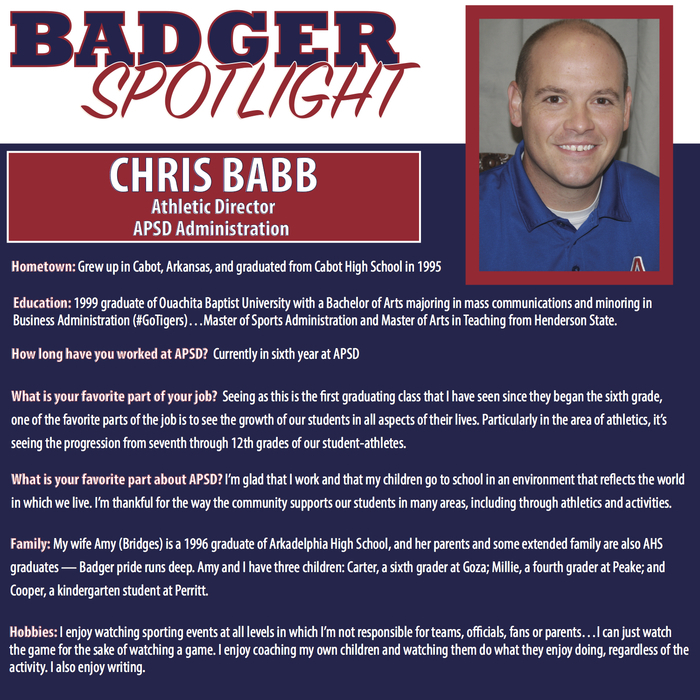 This Week in APSD Athletics: March 11-16 NOTE: This week's schedule has a few changes from earlier schedules (soccer and track) as well as details on SB tourney in Hope. 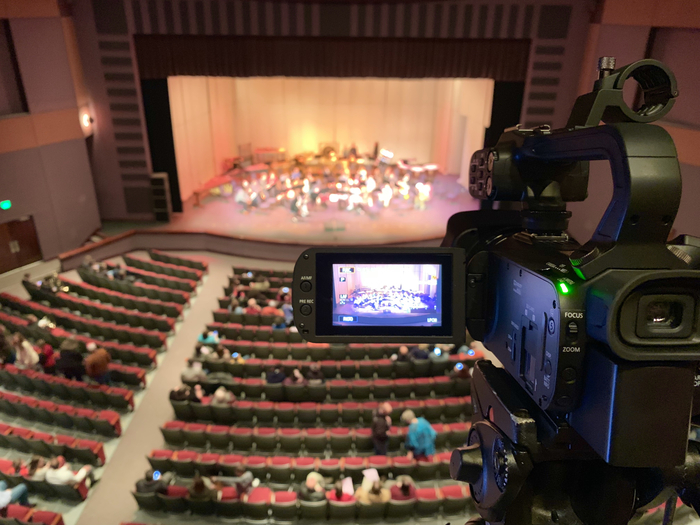 Tune in at 7:00 pm on the “Arkadelphia Public Schools” Facebook page for a live stream of the Arkadelphia Bands Winter Concert. It's time for Kindergarten Registration for our newest group of Badgers who will join us in the fall at Perritt!! It begins next week, so see the info on the flier. Call Perritt at 870-246-2260 with any questions! 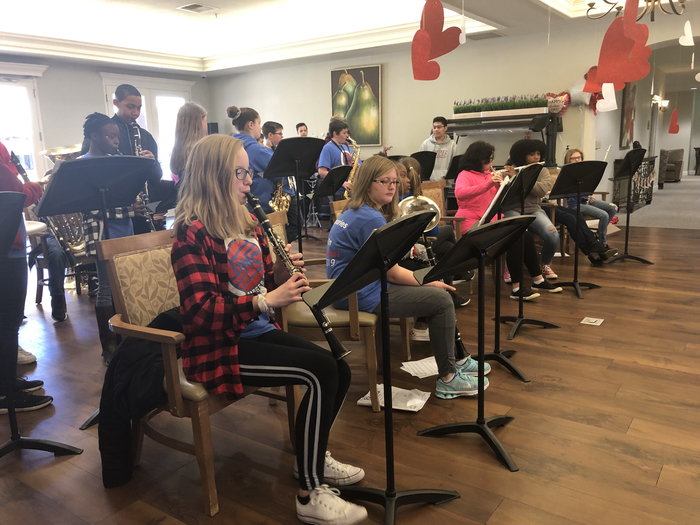 Goza 6th grade students recently played for the residents at The Plaza at Twin Rivers. Afterwards, they passed out goody bags they made filled with lotion, Kleenex, lip balm, & a note from each student. 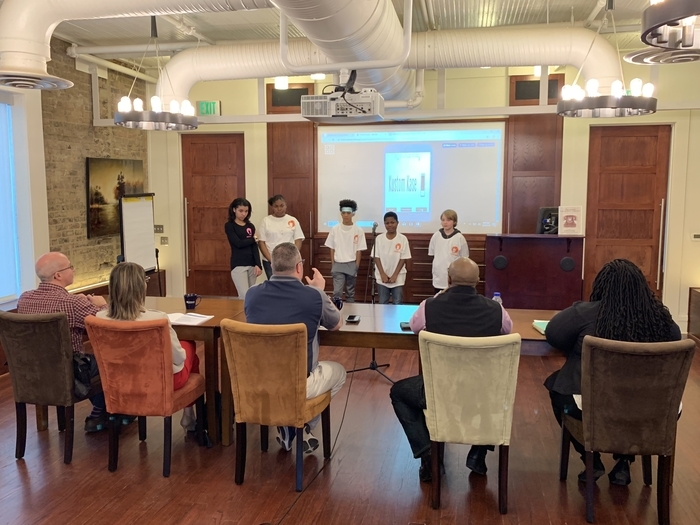 Students from Ms. Jequetta Berry’s classes are presenting business plans to our local “Sharks” as part of the Biz Kids competition in conjunction with Patterson Federal Credit Union. 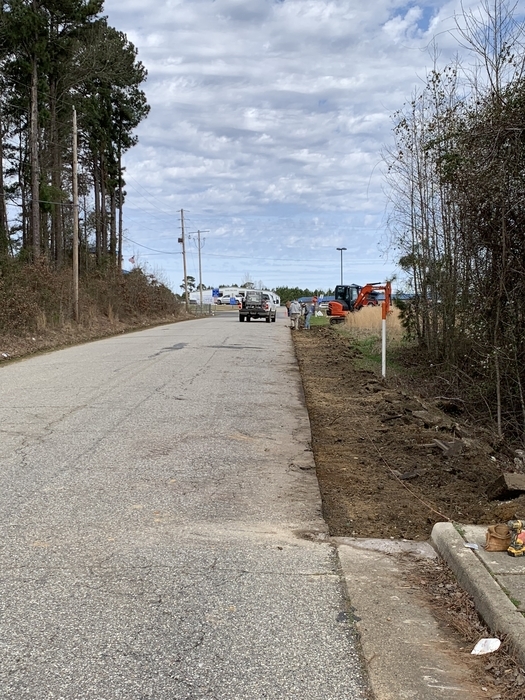 CAUTION: Workers will be putting down sidewalks along high school drive this week. Please use caution as you drive to and leave AHS. Thank you. Congratulations to our Goza 7th grade Quiz Bowl team for winning both the Murfreesboro Inv. Tournament and the Dawson Co-op Tournament. 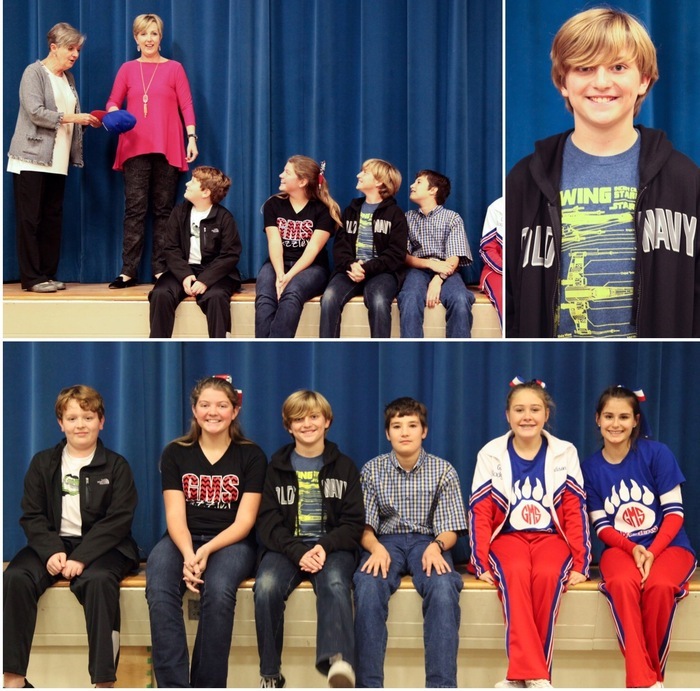 Congratulations, 7th grade Quiz Bowl! Homecoming Friday! See the schedule of events for today in the image. Also, game tickets on sale after pep rally this morning until 1:00 and tonight when gates open at 5:00. Go Badgers!! Reminder: There will be a Board of Education meeting tonight at 6 p.m. The meeting will begin in Central's auditorium. 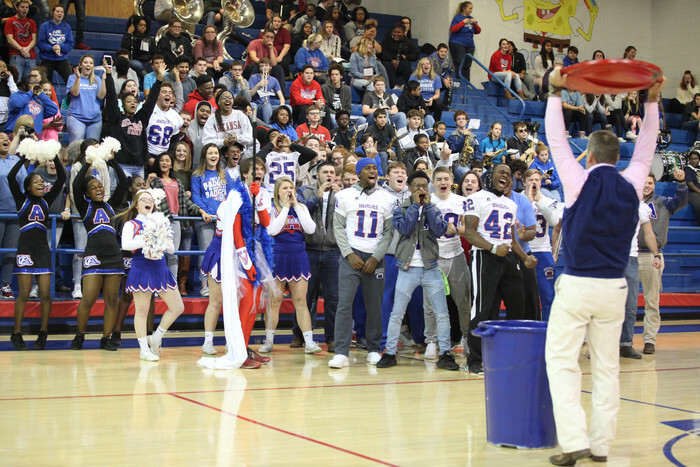 The Arkadelphia Promise will hold its Eighth Annual Academic Signing Day tomorrow in the AHS gymnasium at 1 p.m. We hope you will join us as we celebrate the Class of 2018! 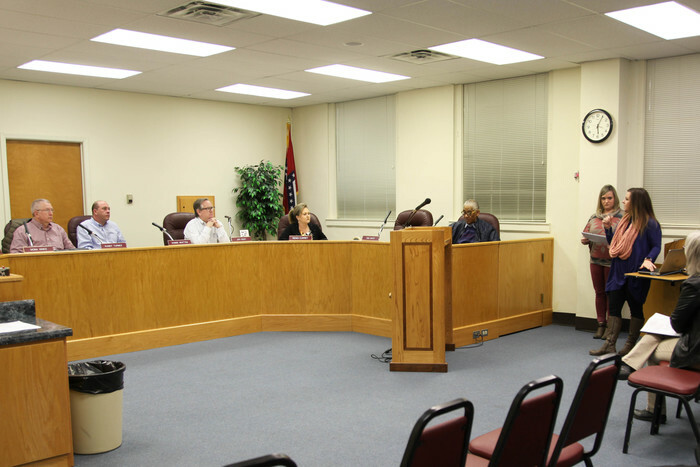 The Board of Education will meet tomorrow at 6 p.m. The meeting will begin in Central Primary's auditorium, then move to the Board room in the administration building. This week is Teacher and Nurse Appreciation Week! In recognition of National Teacher and Nurse Appreciation Week (May 7-11), please don't forget to thank your teachers and nurse for all they do! Showing your gratitude could mean more to them than you ever imagined. Don't forget! 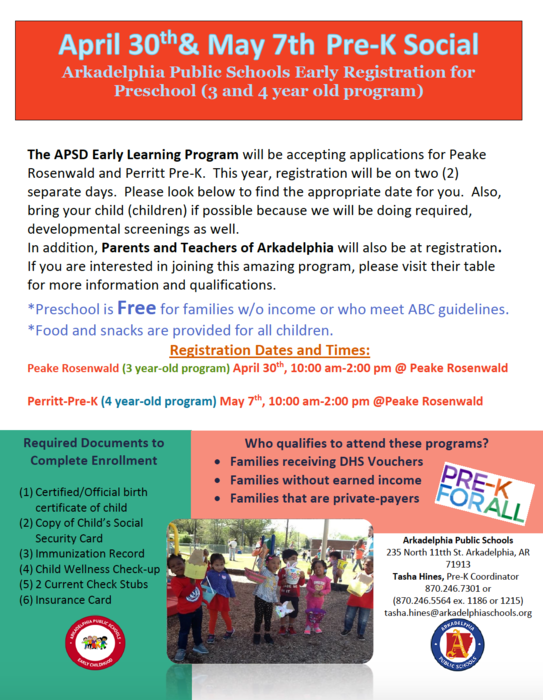 PreK registration will be held this Friday, April 27, at Peake Rosenwald for the 3 and 4-year-old programs. 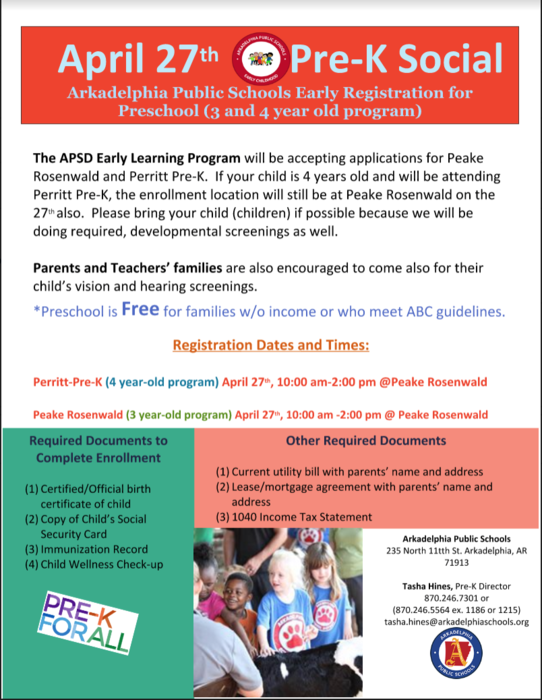 Registration will begin at 10 a.m.
PreK registration will be held at Peake Rosenwald on April 27 for the 3 and 4-year-old programs. Registration will start at 10 a.m. Reminder: There will be a Board of Education meeting on Tuesday, April 17, at 6 p.m. at the administration building. Parents as Teachers is hosting its annual Diaper Drive this week. 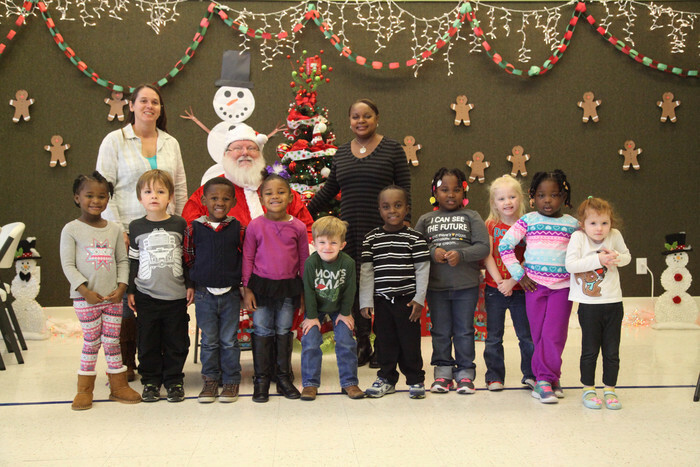 Please drop donations off at the central office any day this week from 12:30 to 1:30 p.m.
Peake Rosenwald will host Early Registration for preschool on April 27 for the 3 and 4-year-old programs. 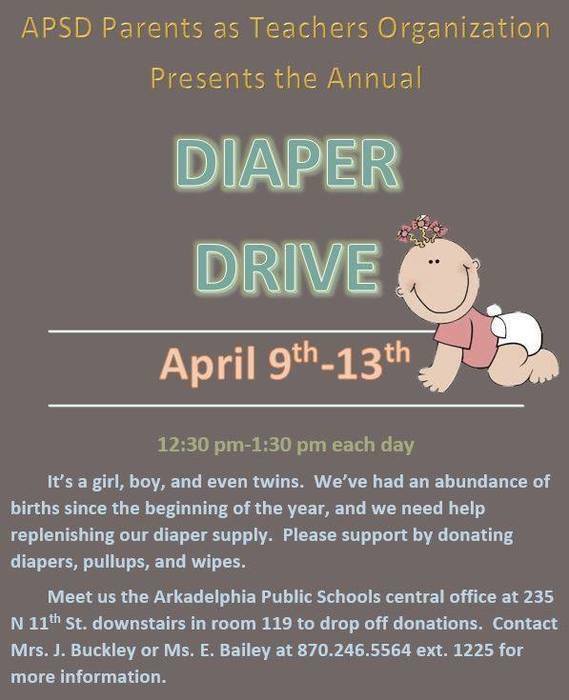 Registration will begin at 10 a.m.
Parents as Teachers is hosting a Diaper Drive on April 9-13. Donations can be dropped off at the administration building from 12:30 to 1:30 p.m. each day. The Arkadelphia High School Project Prom Committee is needing volunteers to help with Project Prom. Project Prom will be on April 14 from 11:30 p.m. to 2:30 a.m. Volunteers will help with activities, pick up donated food, and serve snacks. If you can volunteer, please contact Melissa Andrews or respond to the poll on the "Arkadelphia High School Project Prom" Facebook. 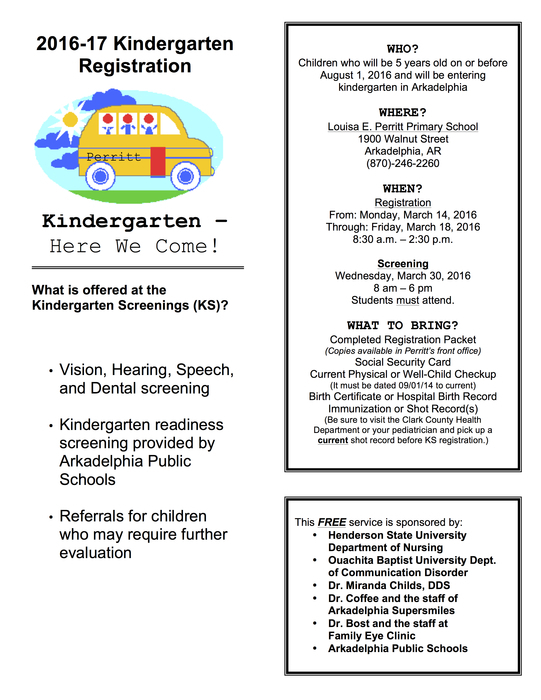 Kindergarten Spring Round Up is TODAY in the Junior Badger Dome at Perritt Primary School from 8 a.m. to 6 p.m. Please park in the gravel parking lot and enter through the gate. 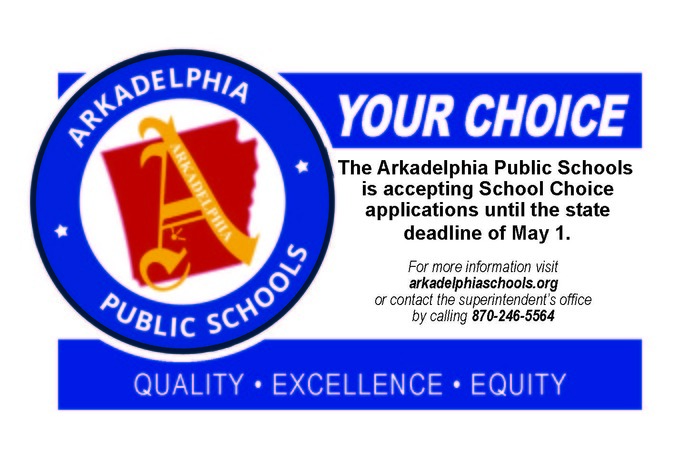 Arkadelphia Public Schools is accepting School Choice applications until the state deadline of May 1. 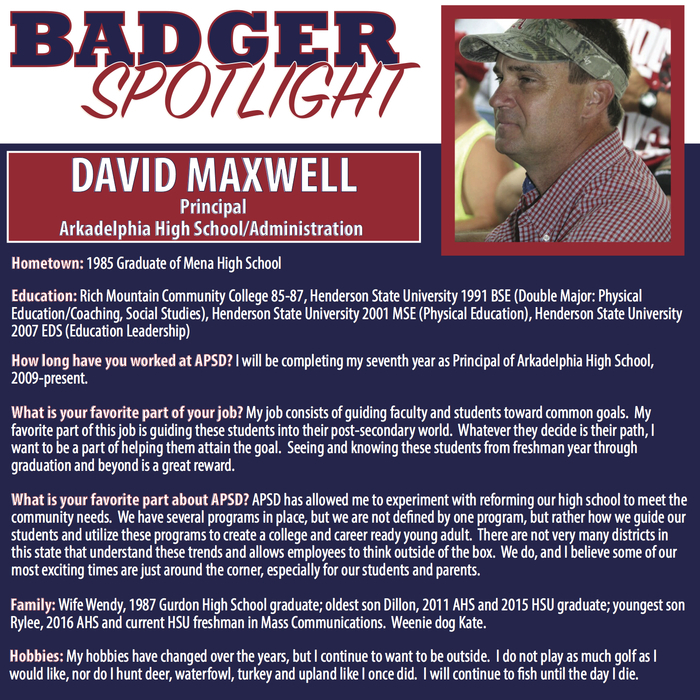 For more information, contact the superintendent's office at 870-246-5564. Kindergarten Spring Round Up will be on Wednesday, March 28, in the Junior Badger Dome at Perritt Primary School from 8 a.m. to 6 p.m. Please park in the gravel parking lot and enter through the gate. 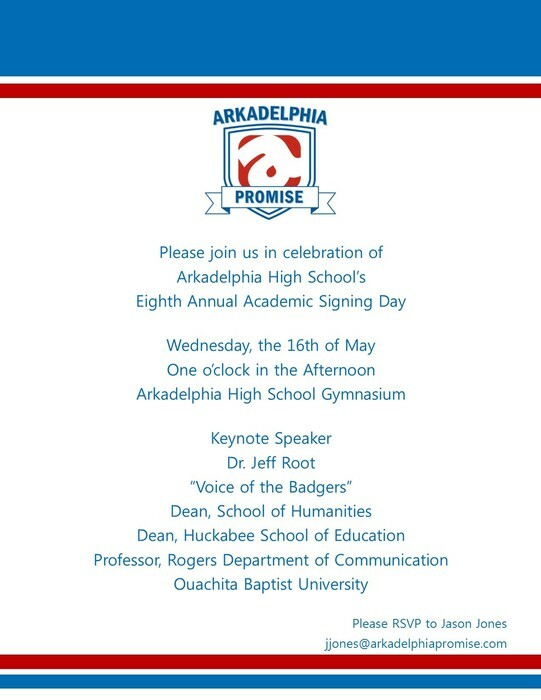 The Arkadelphia Promise Scholarship application is available at arkadelphiapromise.com. Don't forget to apply. The deadline is March 28th. Director Jason Jones will be at the high school library on Monday, Tuesday and Wednesday after Spring Break to accept applications. We hope everyone has a fun and safe spring break. See you back at school on March 26! Reminder: There will be a Board of Education meeting tonight at 6 p.m. at the administration building. 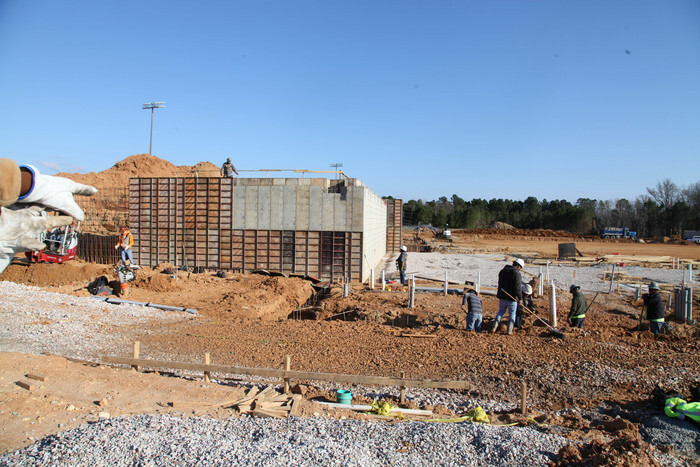 The new Goza Middle School is coming along! Our team of professionals are getting ready to lay slab in the first classroom wing, and they are building up the dirt for Goza's gymnasium. See more photos on our Facebook. The Arkadelphia Board of Education will meet tomorrow night at 6 p.m. in the board room at the administration building. Spring Break is next week! 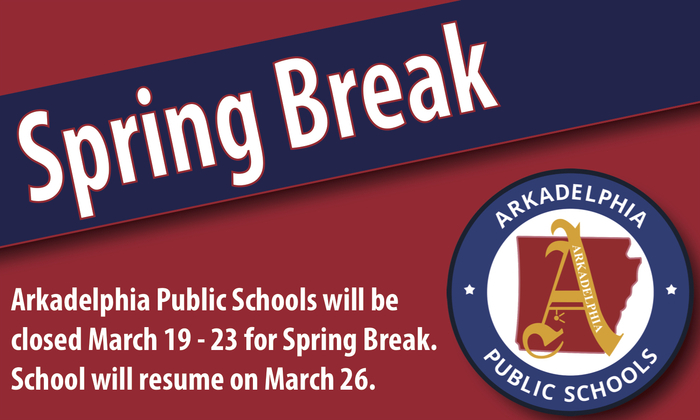 Arkadelphia Public Schools will be closed March 19-23. School will resume on March 26. 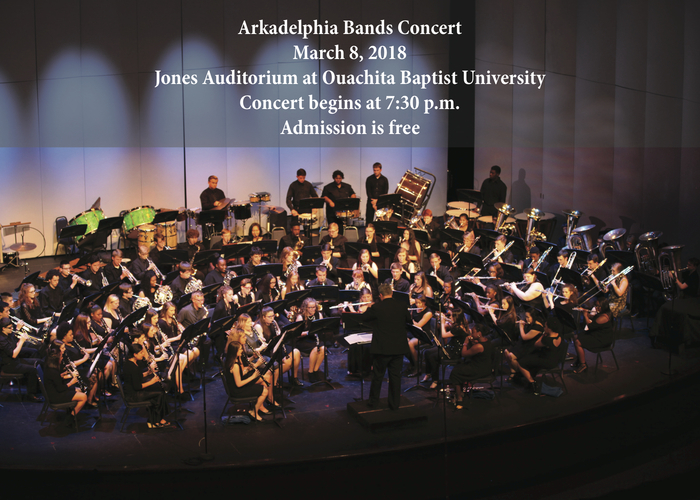 Goza Middle School's 7th and 8th grade bands and the Arkadelphia High School band will present a concert at Jones Auditorium at OBU tonight at 7:30 p.m. Admission is free. 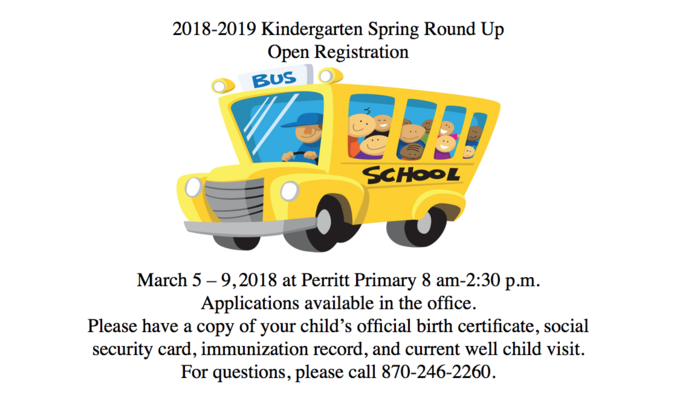 2018-19 Kindergarten Registration at Perritt Primary School opens today! Please bring your child’s birth record, current physical or well child checkup, shot record and social security card to Perritt Primary between 8 a.m. and 2:30 p.m. any day this week to register. 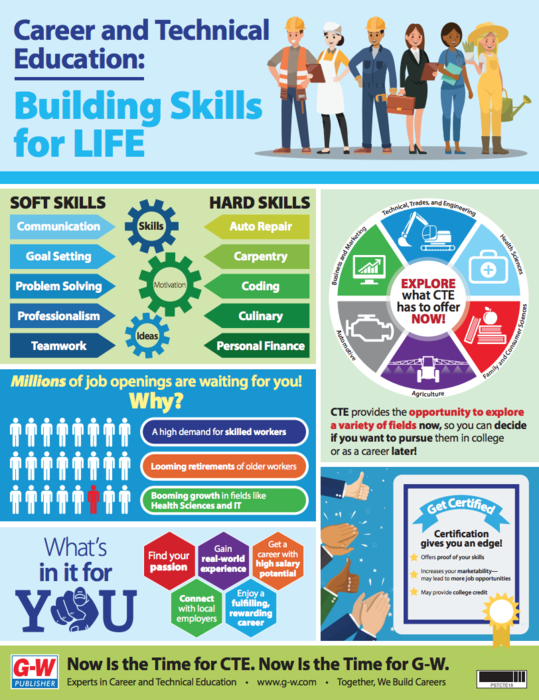 February is Career and Technical Education Month. Thank you for your support of Career and Technical Education. Together we build careers. 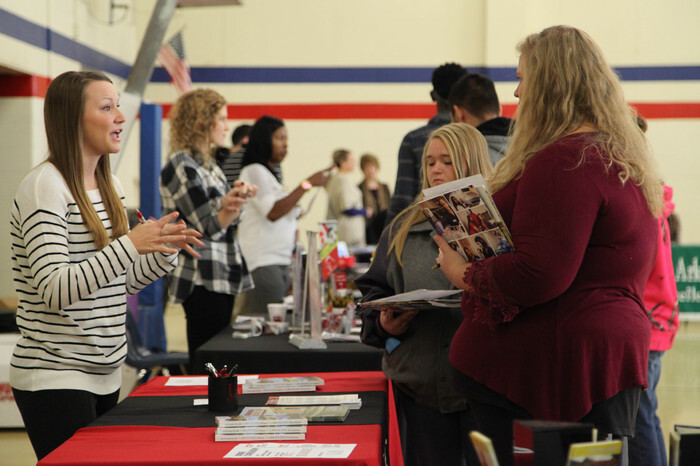 Arkadelphia High School offers 14 Programs of Study to allow students to leave high school with knowledge and certifications for employability while they pursue higher education. For more information contact Dr. Virginia Anderson at 870.245.5564 or ask your child’s high school TAG advisor. 2018-19 Kindergarten Spring Round Up is NEXT WEEK! 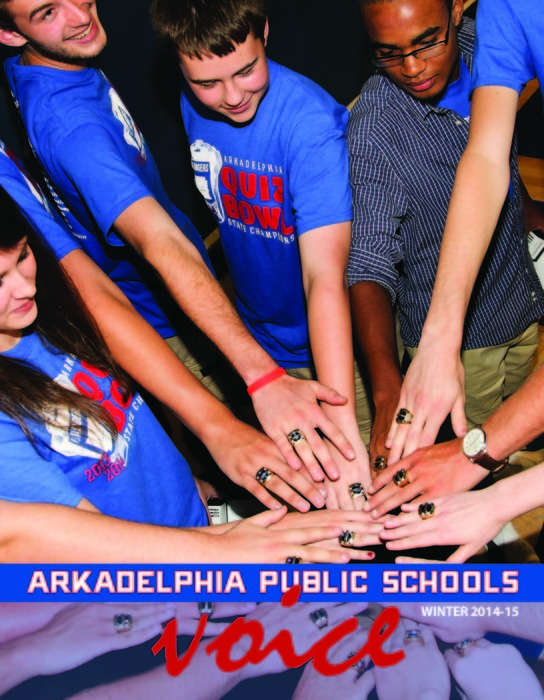 The Arkadelphia Promise Scholarship application is available at arkadelphiapromise.com. Don't forget to apply. The deadline is March 28th. 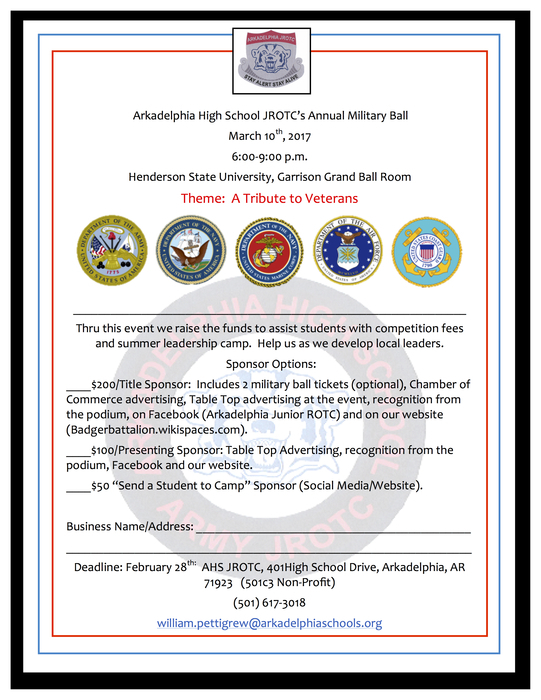 The AHS Junior ROTC Annual Military Ball is on March 9. If you are interested in one of the sponsorship options, please contact Lieutenant Colonel Michael Shepherd. 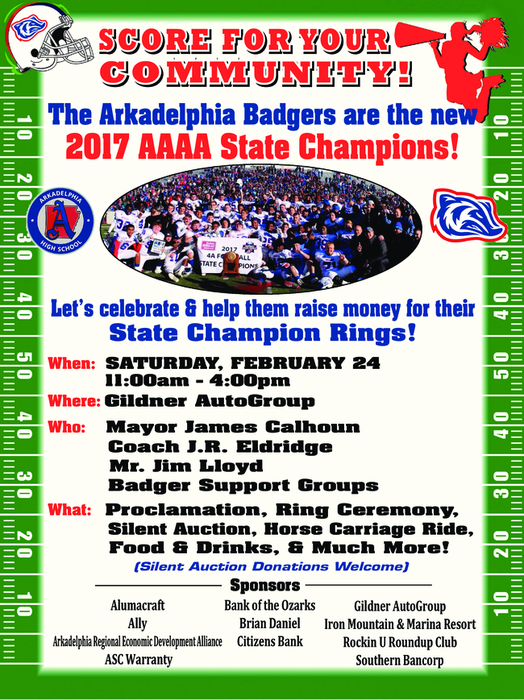 Come out to Gildner AutoGroup tomorrow from 11 a.m. until 4 p.m. to support the Arkadelphia Badgers. All proceeds will go to purchasing 4A State Champion rings. Thank you to all the local businesses and organizations that are sponsoring this event. The Arkadelphia Board of Education will meet tonight at 6 p.m. in the Board room at the administration building. 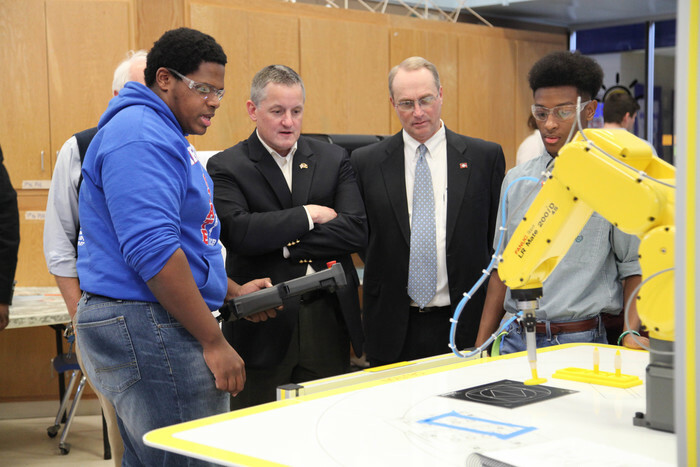 We appreciate Congressman Bruce Westerman for coming and visiting with Arkadelphia High School's pre-engineering students this morning. 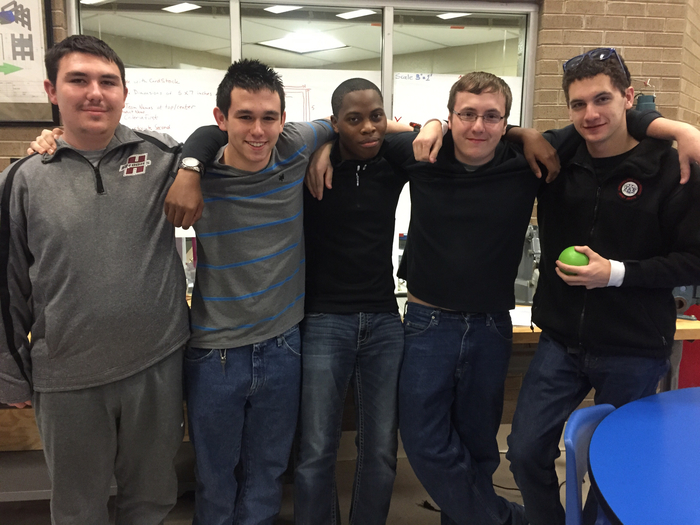 Students were able to demonstrate several of their current projects, including their work on the FANUC robotic arm. Recently, Mr. Bud McMillion obtained his certification to teach students material handling using FANUC robotic arms. FANUC is a global leader in factory automation solutions. Students completing the FANUC Certification program at Arkadelphia High School will be certified to operate FANUC Robots in the workplace. Local businesses that utilize FANUC robots include Danfoss and Allcare. 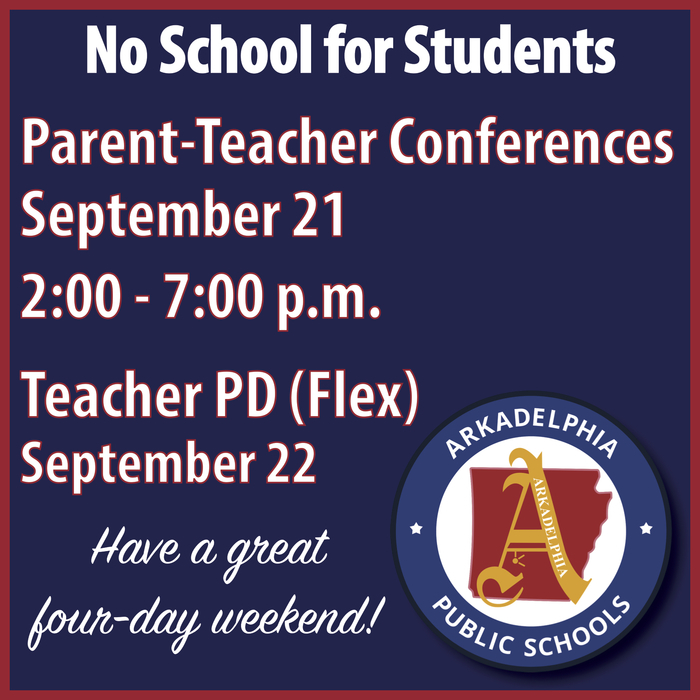 Parent-Teacher Conferences will be tomorrow from 2 to 7 p.m. We hope you all have a great five-day weekend! Arkadelphia High School will be hosting a Financial Aid Night on February 15 in the AHS Little Theatre from 2 to 6 p.m. There will be a special guest speaker from 5:30 to 6 p.m. FAFSA assistance will be available from 2 to 6 p.m. Please bring your tax information for FAFSA assistance. This is a great opportunity for parents and students to get their questions answered and receive help finding financial aid. Students and parents from surrounding schools are welcome to attend this event. 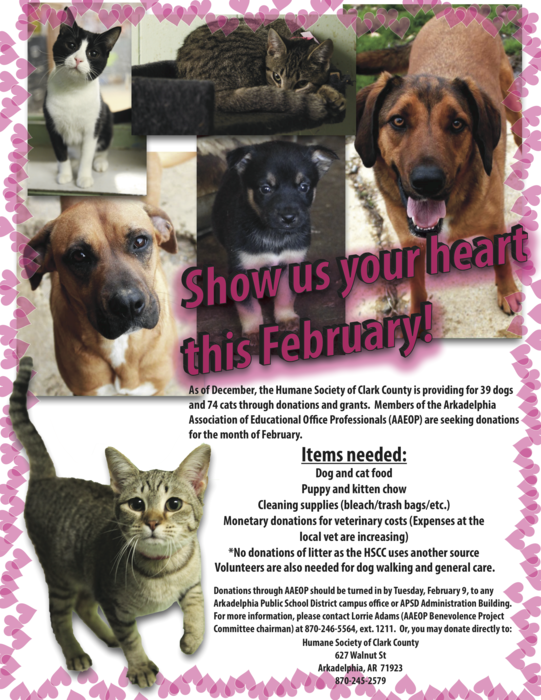 Don't forget to drop off your donations for the Humane Society for the AAEOP fundraiser today! Parent-Teacher Conferences will be on Thursday, Feb. 15 from 2-7:00 p.m. There will be no school for students on Feb. 15, Feb. 16, and Feb. 19. ​AHS students/parents: Starting on the morning of Tuesday, February 13, Badger Drive will be closed for construction from access at W.P. Malone. The student and parent rider entrance will be open, but the remainder of the drive from the access to W.P. Malone will be closed for construction. 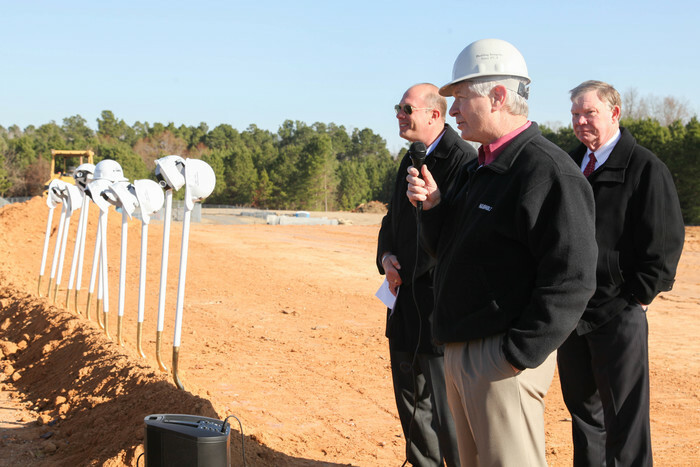 All students, parents and faculty will need to utilize High School Drive from Hwy. 8 to access the high school. 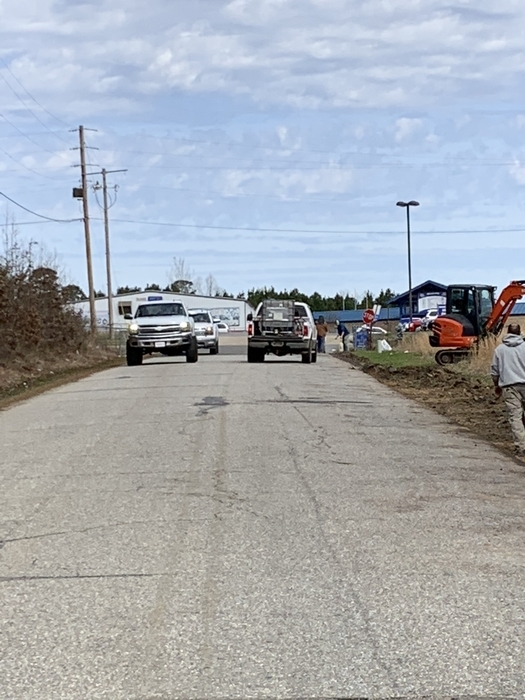 We will keep this access road closed for the remainder of the week. Thank you for your understanding. Please spread the word to parents in the community. Have you thanked your school counselor this week? 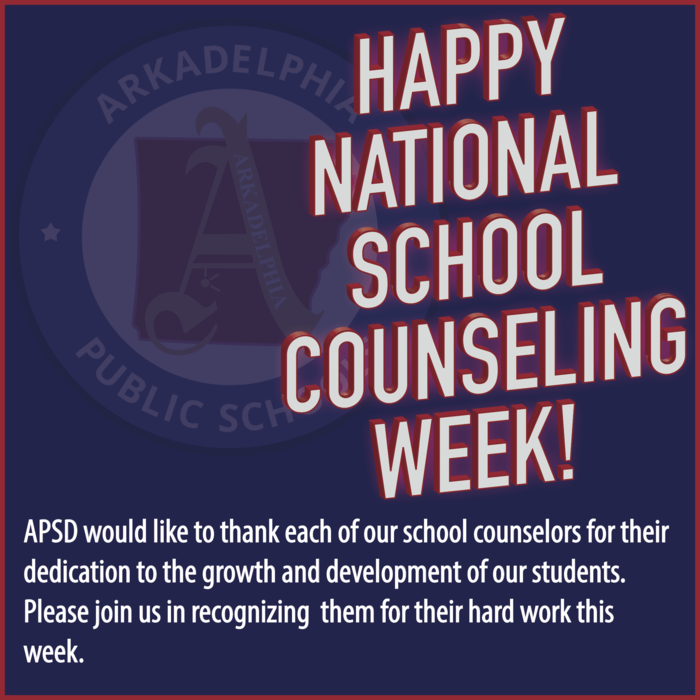 This week is National School Counseling Week, and we have some pretty outstanding counselors at Arkadelphia Public Schools! Be sure to show them your appreciation this week. PERRITT PRIMARY SCHOOL CHILI SUPPER IS TONIGHT! 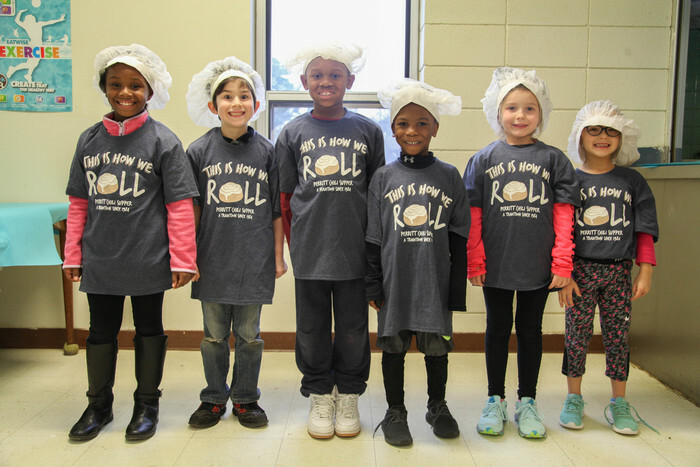 If you see local primary students and teachers wearing chef hats and aprons, don’t be alarmed! Louisa E. Perritt Primary School will host its annual Chili Supper TONIGHT from 5:00 to 7:00 p.m. Tickets are $5.00 and are available in the school office. The chili supper will be located in the cafeteria. Perritt Primary School’s Nickelodeon Choir will be performing at the event, and there will be an art auction. Carryout and drive-through will be available. 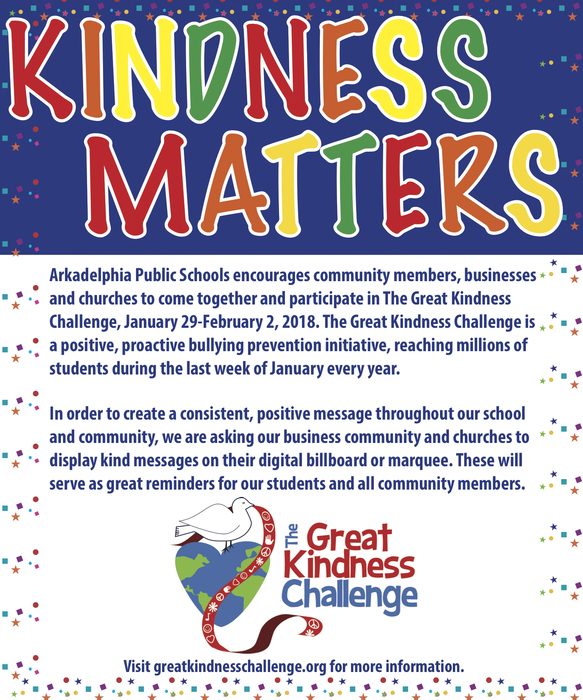 Great Kindness Week begins next week on January 29-February 2. We want to encourage the Arkadelphia community to get involved by sharing your kind acts and words with us. Elizabeth Hill & Kimberly Ellison presented the progress of Central’s extended learning program to the Board. 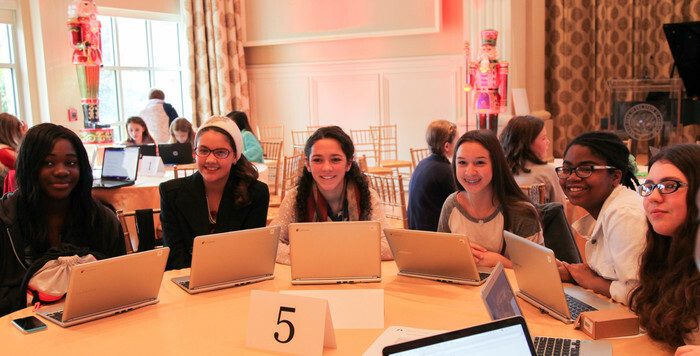 In addition to STEM learning, the program integrates a literacy component as well. 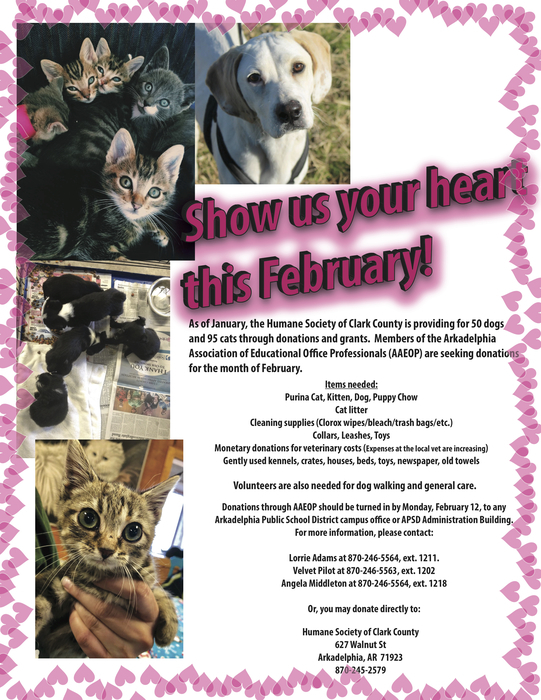 Members of the AAEOP are collecting donations for the Clark County Humane Society. You may drop off any donations to the APSD administration building. The week of Jan. 29-Feb. 2 is the Great Kindness Week. All of our students will be working extra hard on doing random acts of kindness all week. We are hoping to get the community involved as well! 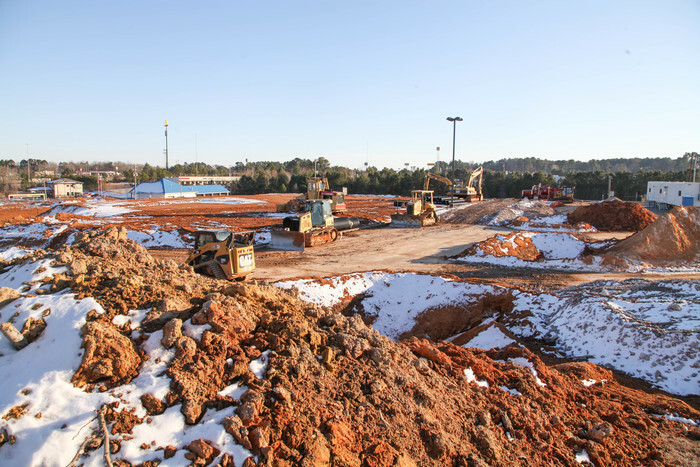 We are making progress on the new Goza Middle School (even in the snow)! 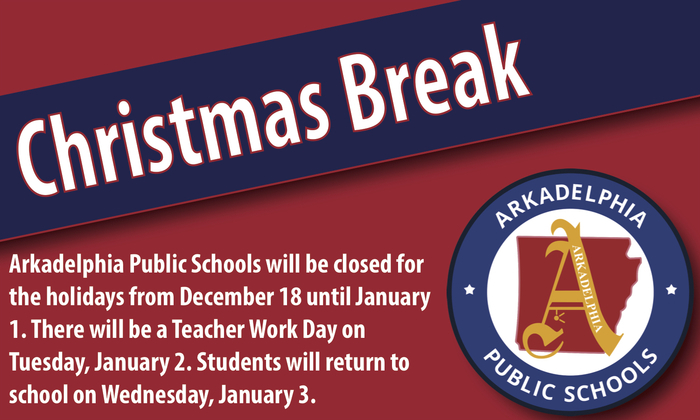 Arkadelphia Public Schools will be open tomorrow, January 19. We look forward to seeing teachers and students back on campus! The January School Board meeting has been rescheduled for January 23 at 6 p.m.
Goza Middle School is hosting "Bring Your Parent to School Day" on Thursday, January 11. You are invited to come observe your child's classes and enjoy either breakfast or lunch with them. 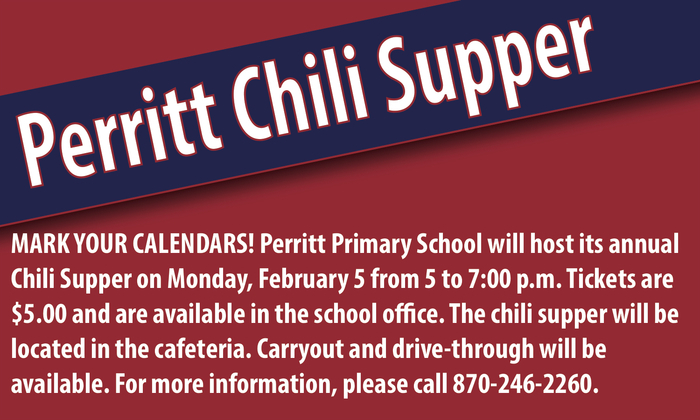 Perritt Primary School's Chili Supper is on February 5. Please make this change on your district activity calendar. We don't want you to miss it! 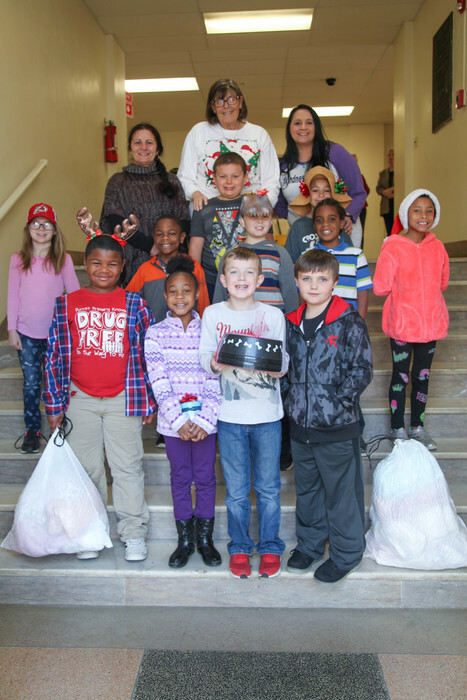 Central students raised over $100 and collected items to give to the Humane Society of Clark County, Arkadelphia. They presented their donations to Dr. Virginia Anderson. 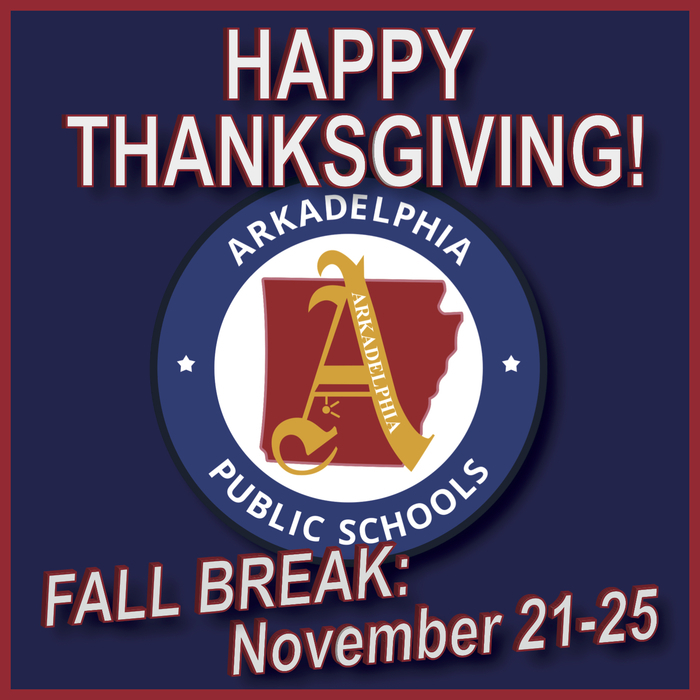 Arkadelphia Public Schools wishes you a safe and wonderful holiday! We will see you all on January 3, 2018. 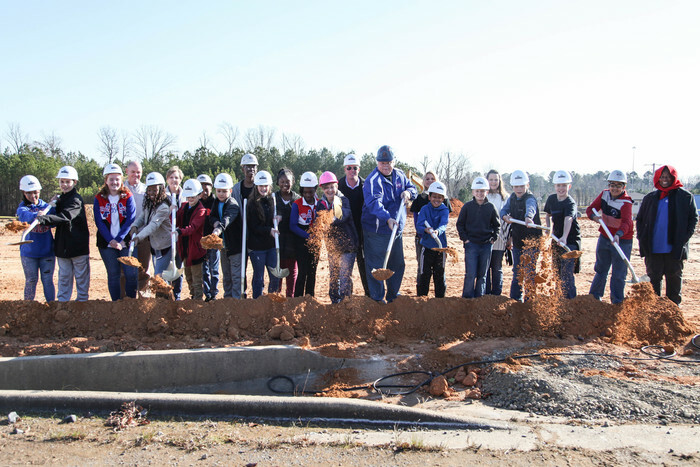 Thank you to everyone who joined us at the Groundbreaking Ceremony for Goza Middle School. 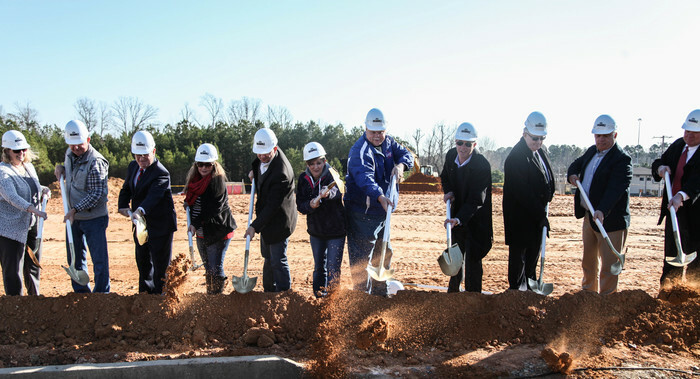 You can view more photos on the Arkadelphia Public School Facebook. 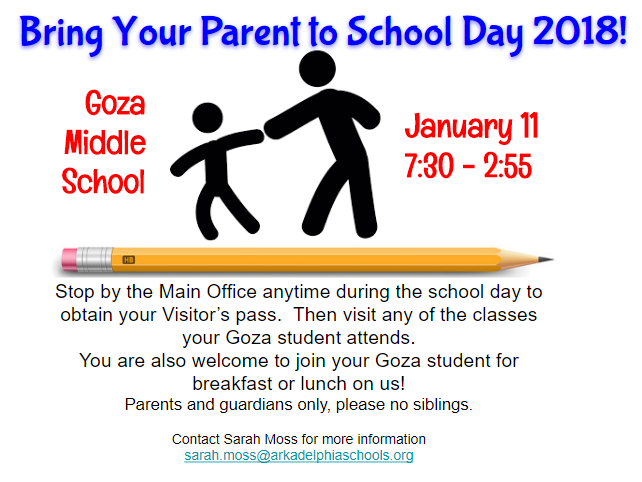 Goza Parents- AMI Days assignments will be sent home with students, Dec. 14. 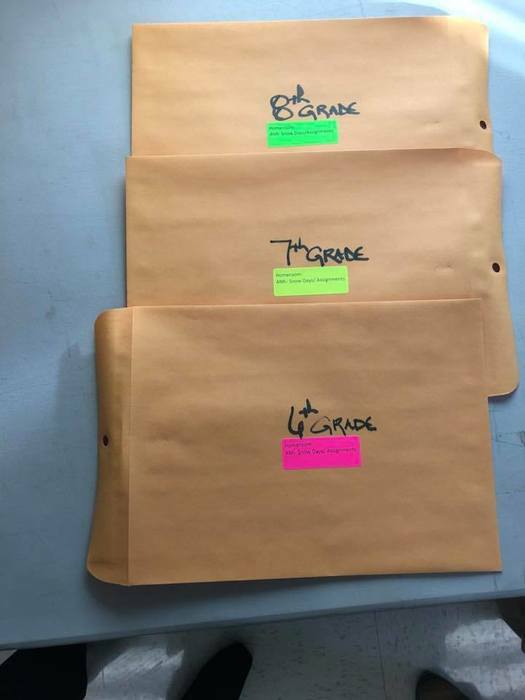 Please store the assignments in a safe place for a future snowy day! A Badger pop-socket would make a great stocking stuffer! Contact Sarah Moss or a Goza cheerleader to purchase! 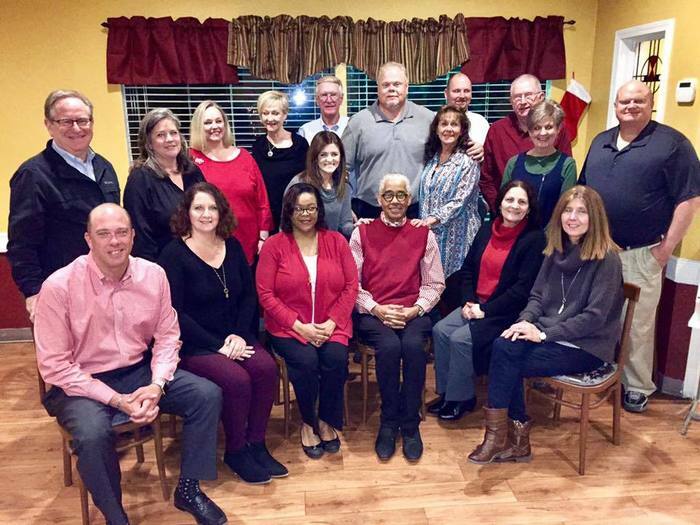 The APS Board of Education and Administrative Team had their Annual Christmas Dinner last night. There are only three more days until the holiday break. Let's finish this semester strong! 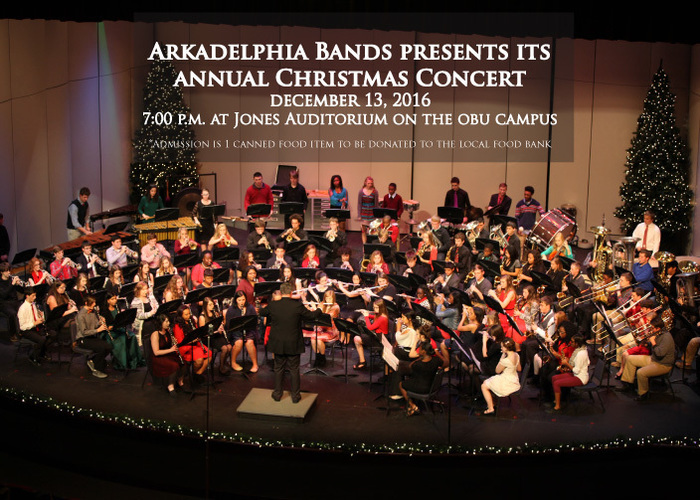 Arkadelphia Bands will be performing their annual Christmas Concert tonight at Jones Center at OBU. The concert will begin at 7 p.m. Come enjoy the holiday music and support our state champions! 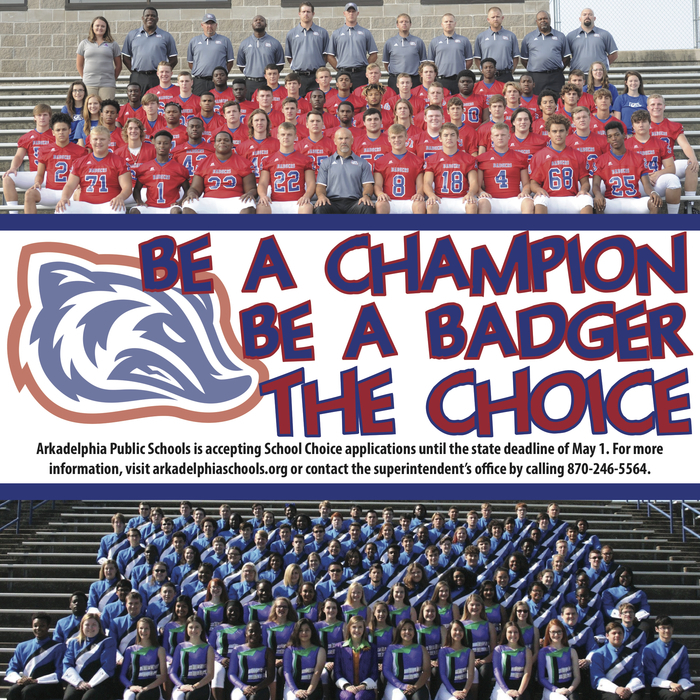 Arkadelphia High School will be having its Report to the Public meetings this week on Wednesday and Thursday. These meetings will be very informative, and the public is encouraged to attend. 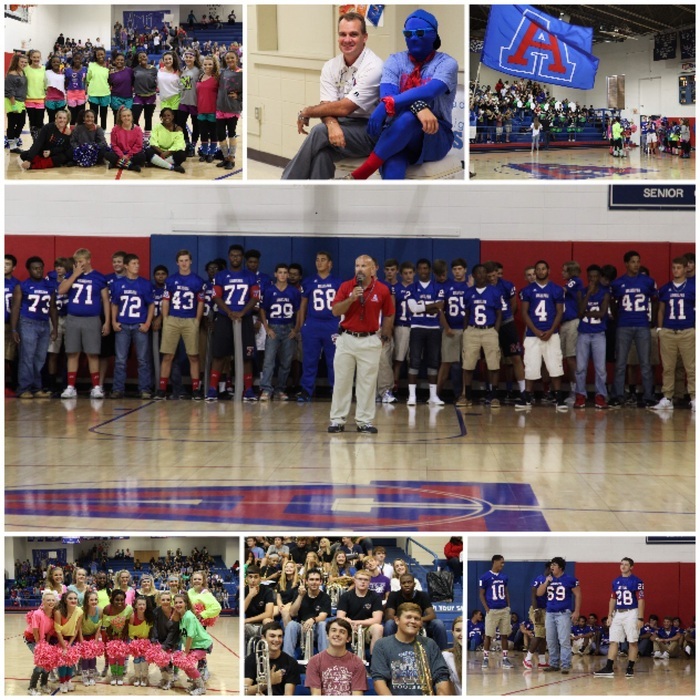 Great pep rally today at Arkadelphia High School before the State Championship Game tomorrow! We loved having Goza Middle School come over and participate. 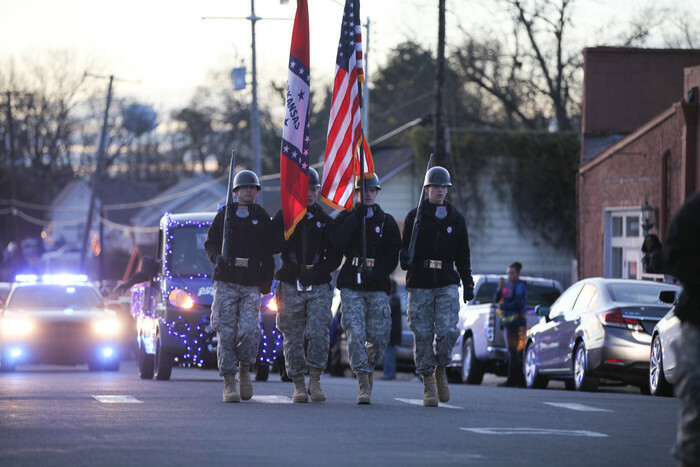 It was great seeing so many of our students and staff participating in the Arkadelphia Christmas Parade tonight! 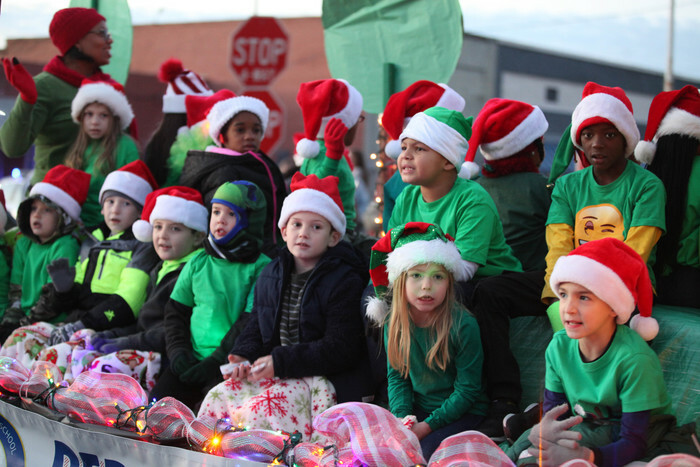 The Arkadelphia Christmas parade begins at 5 p.m. tonight on Main Street. There will be a community pep rally on Clinton Street immediately following. 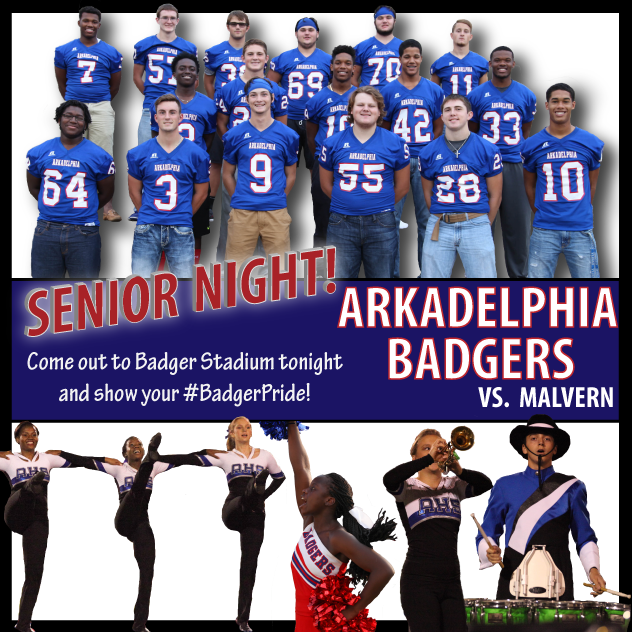 Come out and enjoy a great night in Arkadelphia! 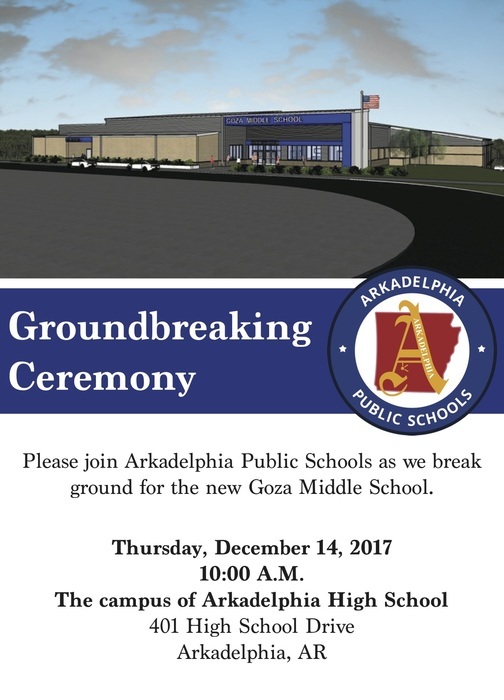 The Arkadelphia Public School District will host a Groundbreaking Ceremony for the new Goza Middle School on Thursday at 10 a.m. We invite the Arkadelphia community to join us on this historic day! The Goza Middle School and Arkadelphia High School choir students will be performing their Winter Spectacular concert tonight at 7 p.m. in the AHS Little Theater! We would love to see you there! 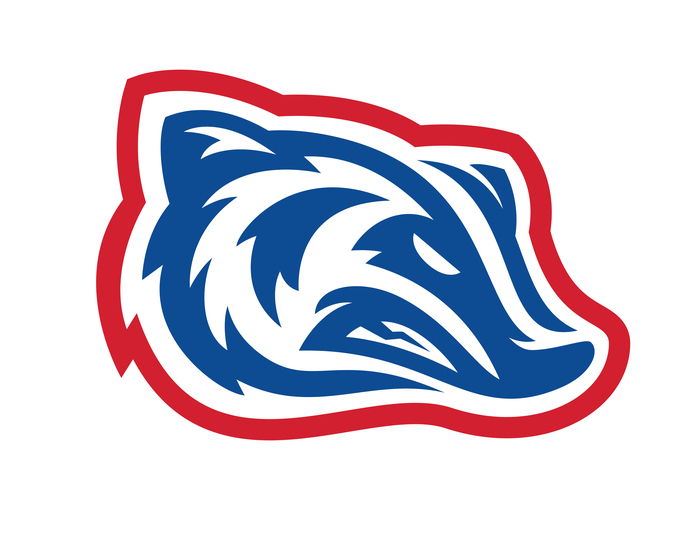 Good luck to the Badger football team as they compete in the 4A State Semifinals against the Pea Ridge Blackhawks tonight! Kickoff is at 7 p.m. The Board of Education will meet tonight at 6 p.m. in the Board room at the administration building. 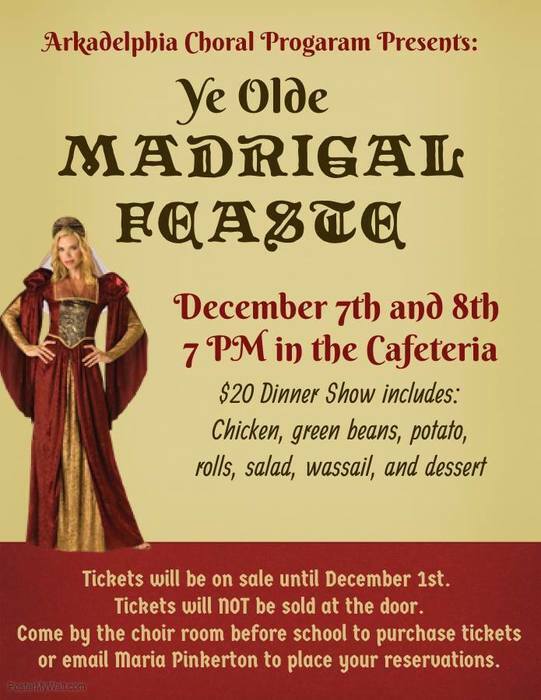 The last day to purchase tickets for Arkadelphia Choral Program's dinner show is Friday, Dec. 1. 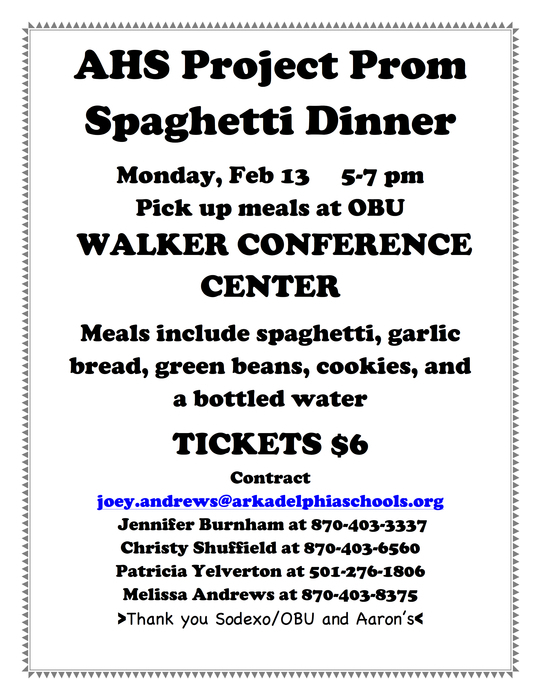 Please email maria.pinkerton@arkadelphiaschools.org to place a reservation or come by the choir room before school to purchase tickets. 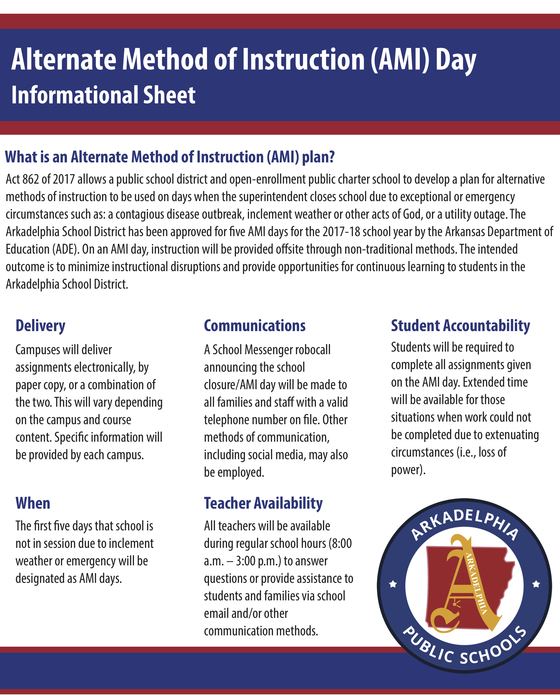 The Arkadelphia School District has been approved for five AMI days for the 2017-18 school year by the Arkansas Department of Education. See flyer for more information on AMI days. Need a great stocking stuffer? 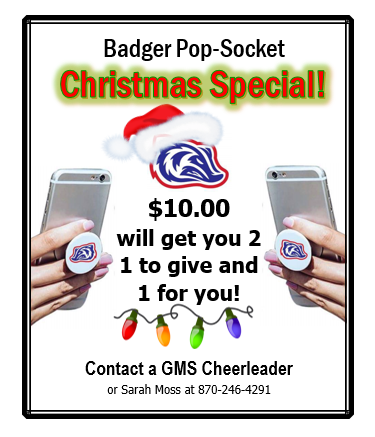 Contact Sarah Moss or Goza cheerleader for a Badger pop-socket! 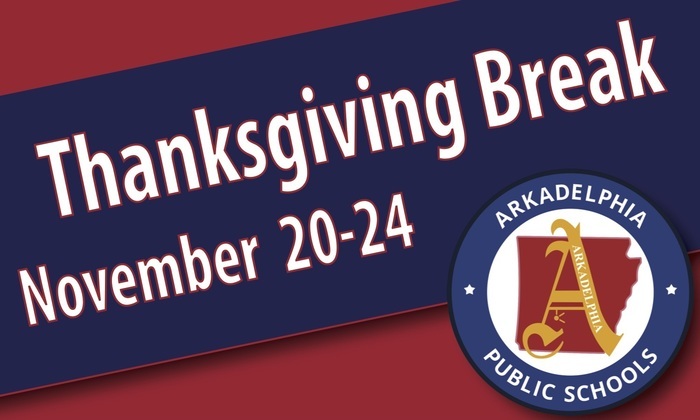 Arkadelphia Public Schools will be closed Nov. 20-24. We hope everyone has a wonderful Thanksgiving break! The Project Prom Chili Supper Fundraiser is tonight from 5-7:00 p.m. Have you purchased your tickets yet?! BOARD MEETING DATE CHANGE: The Nov. Board meeting will be on Tuesday, Nov. 28. at 6 p.m.
Don't forget to purchase your tickets for the Project Prom Chili Supper! 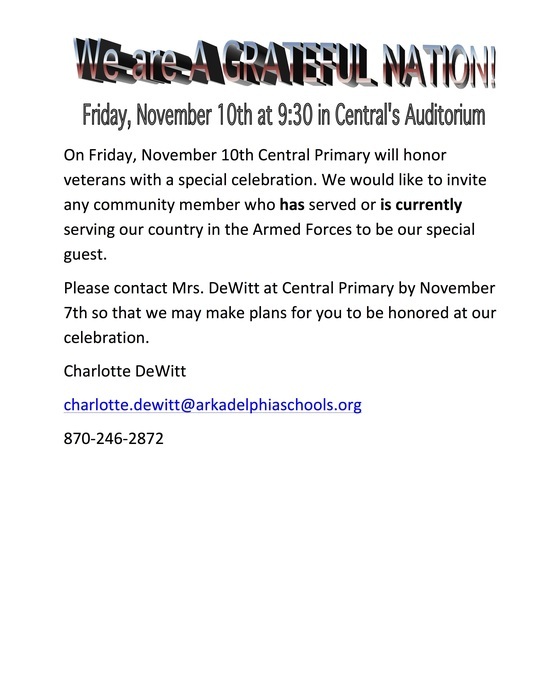 Central's Veterans Day Assembly will be on Nov. 10. If you have served/are currently serving in the Armed Forces, please contact Mrs. DeWitt today! 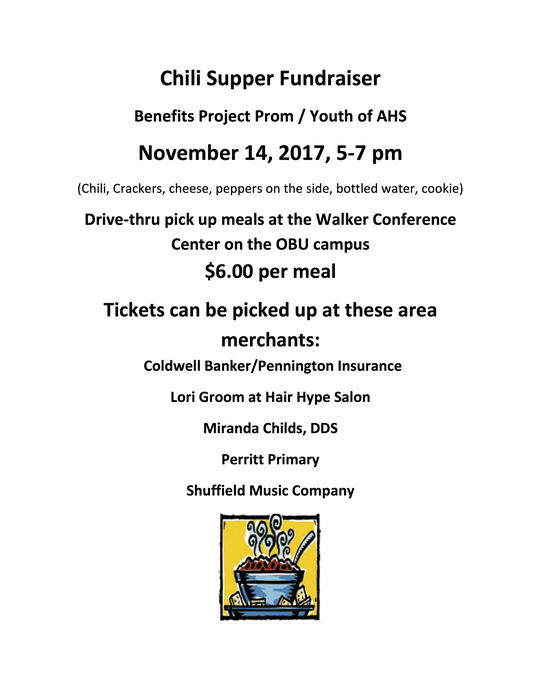 Don't forget to purchase your tickets for the Project Prom Chili Supper! See flyer for details. 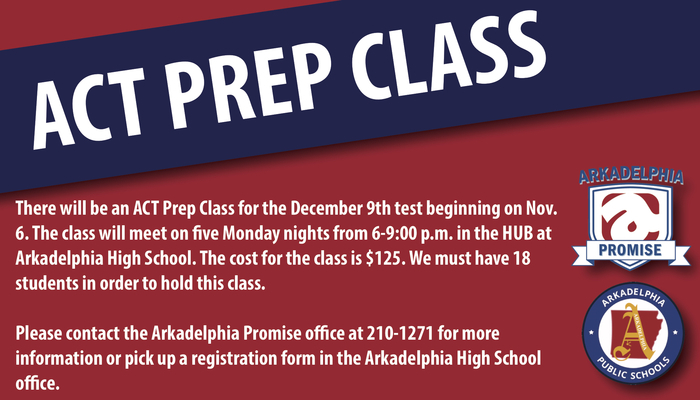 AHS students: Have you reserved your spot in the ACT Prep Class? Good luck to the Badger Pride Marching Band as they compete in the State Marching Band Contest today! 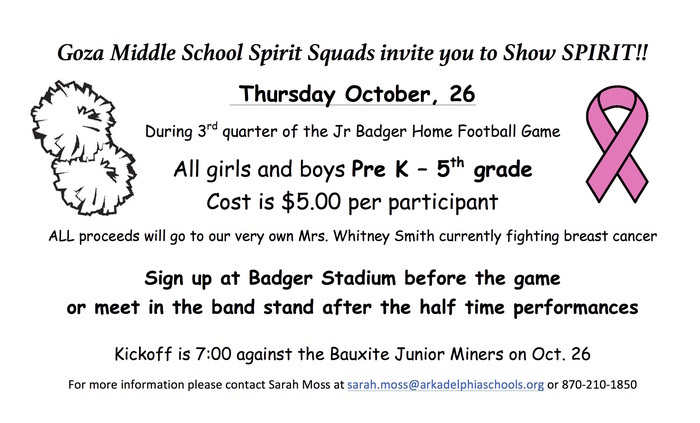 Arkadelphia will perform at War Memorial Stadium at 6:15 p.m. 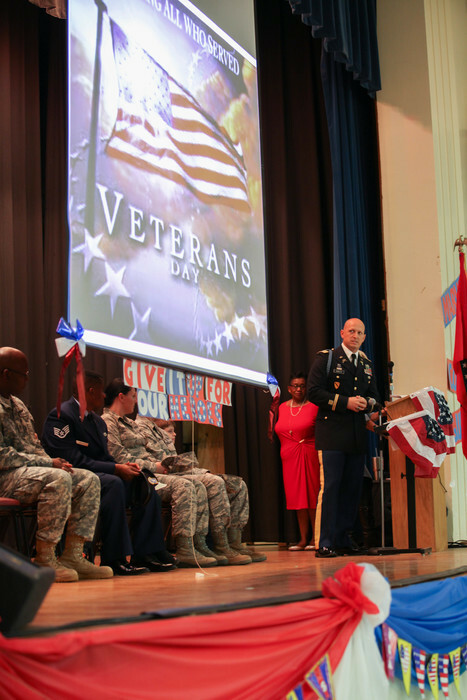 Awards will follow at 6:45 p.m.
Central Primary School will be hosting its annual Veterans Day Celebration on Nov. 10. We would love to honor anyone who has served/is serving in the Armed Forces. Please contact Mrs. DeWitt. 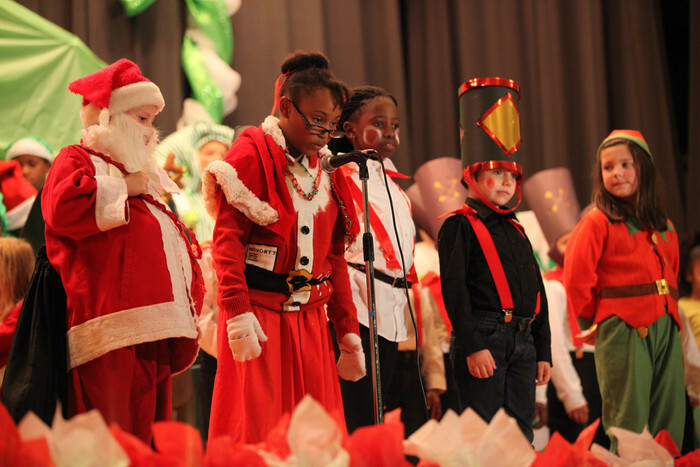 Reminder: Peake Elementary School will perform "Patriotic Phantasy" today at 1:30 and 6 p.m. We hope to see you there! Fun opportunity for PreK - 5th grade students! Come cheer on the track during the 3rd quarter of the Jr. Badger game! Dont forget! Tomorrow is our "Pink Out" game to support Breast Cancer Awareness Month. 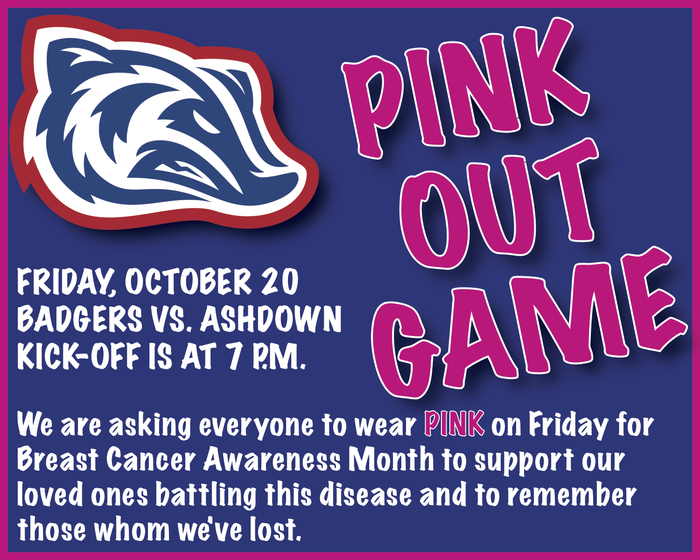 Wear your pink and come support the Badgers! This Friday's football game against Ashdown is going to be the AHS Pink-Out Game. We are asking everyone to wear PINK on Friday to show our support for Breast Cancer Awareness Month! 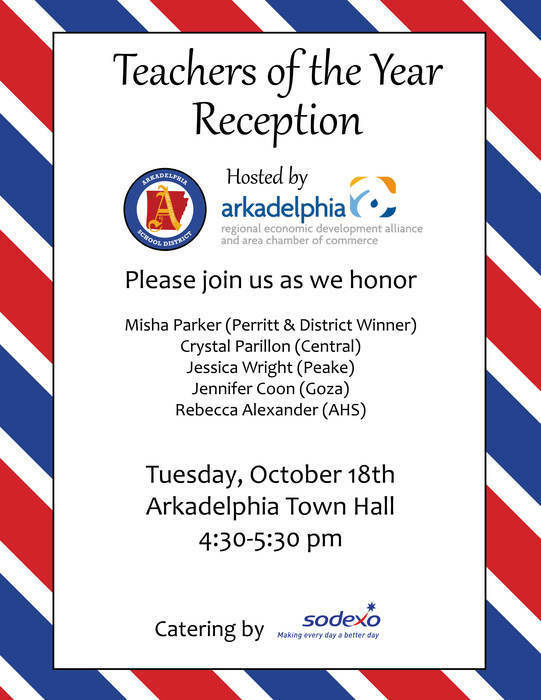 The Teachers of the Year Reception is this afternoon at 4:30 p.m. at Arkadelphia Town Hall. We hope you will make plans to join us. 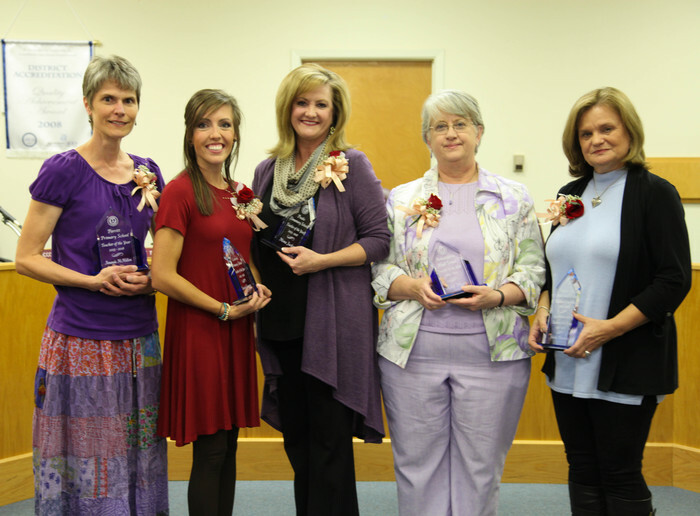 The Arkadelphia Board of Education will meet tonight, following the Teachers of the Year Reception at Town Hall. AHS Seniors: GREAT opportunity to get your questions answered and receive help filling out FAFSA information. 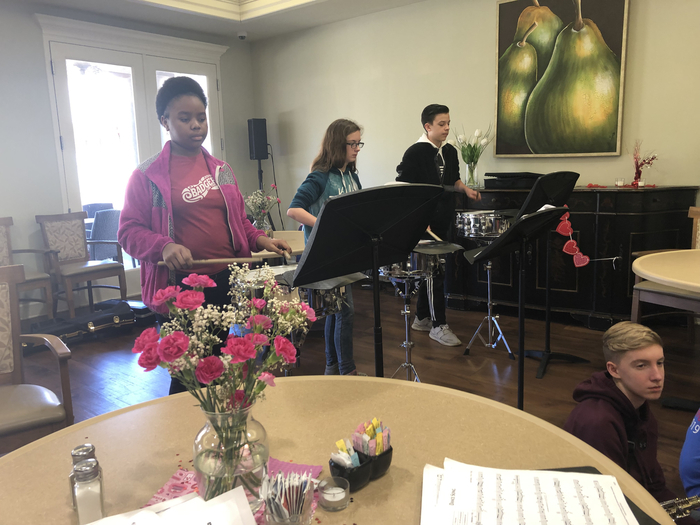 Seventh and eighth grade students will perform their Fall concert this evening in the Arkadelphia High School Little Theater at 7:30 pm. 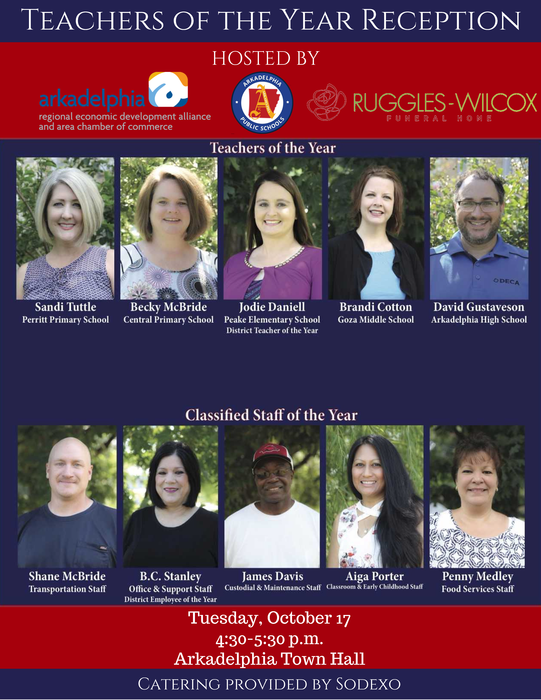 The Annual Teachers of the Year Reception will be on Tuesday, October 17, at Arkadelphia Town Hall from 4:30 to 5:30 p.m. Please join us as we honor our certified/classified staff of the year. The countdown is over! Homecoming is TOMORROW! We can't wait to welcome alumni back to campus for our homecoming events. 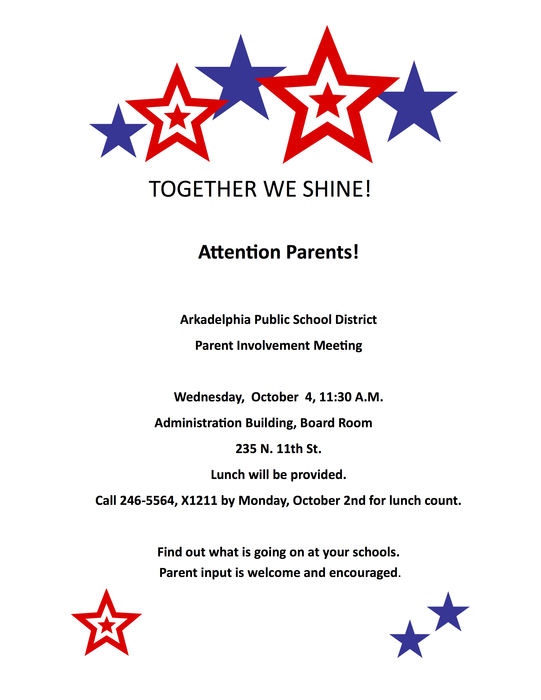 Reminder: The Parent Involvement Meeting will be tomorrow at 11:30 a.m. in the Board room. We would love for you to join us! 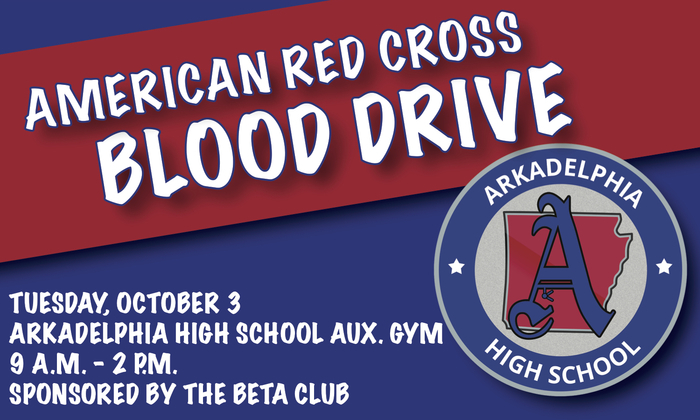 American Red Cross will be in the auxiliary gym at AHS tomorrow for a Blood Drive. Please consider coming and donating blood. 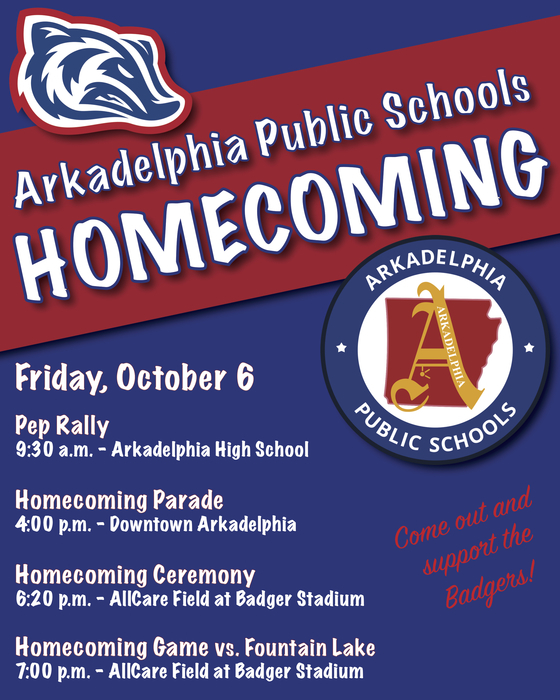 We are pleased to welcome Arkadelphia alumni and guests on campus for our exciting homecoming events this Friday! It's going to be a great week. 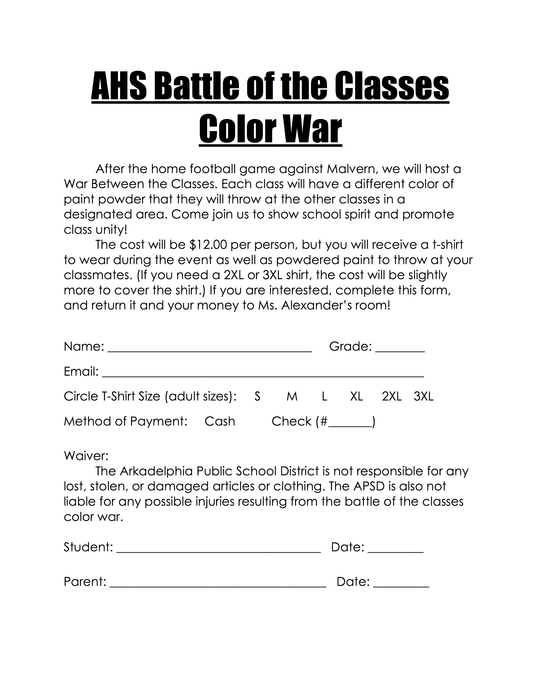 The Student Advisory Committee is raising money for Lighthouse Ministry by having a Battle of the Classes Color War. 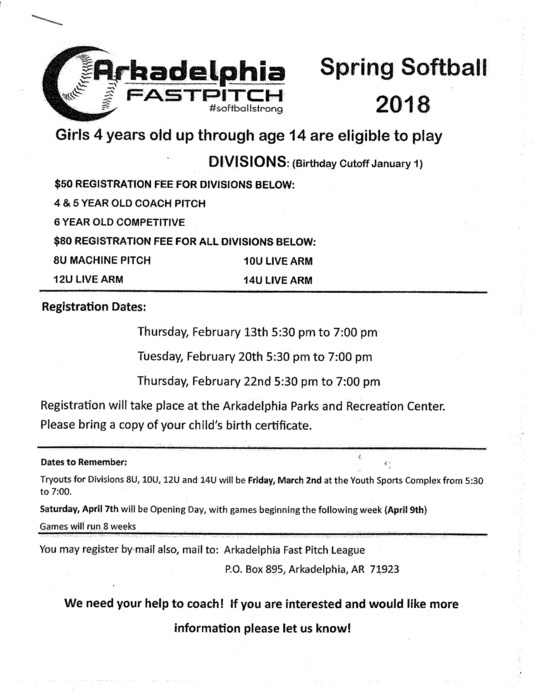 See the attached flyer for all the information. 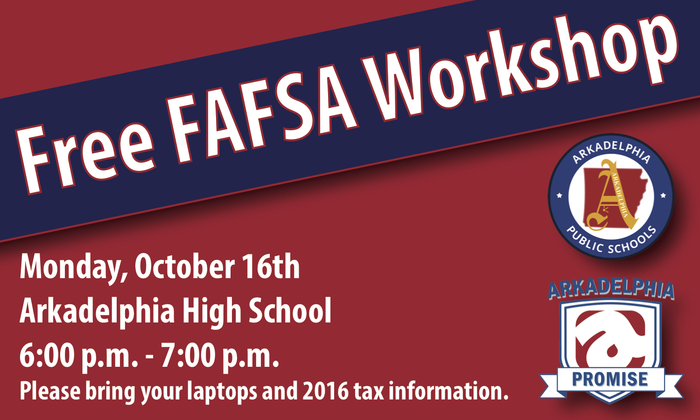 Reminder: There will be a Financial Aid Workshop for all AHS seniors and parents tonight at 6 p.m. This will be very informative. Please come with any questions you have! 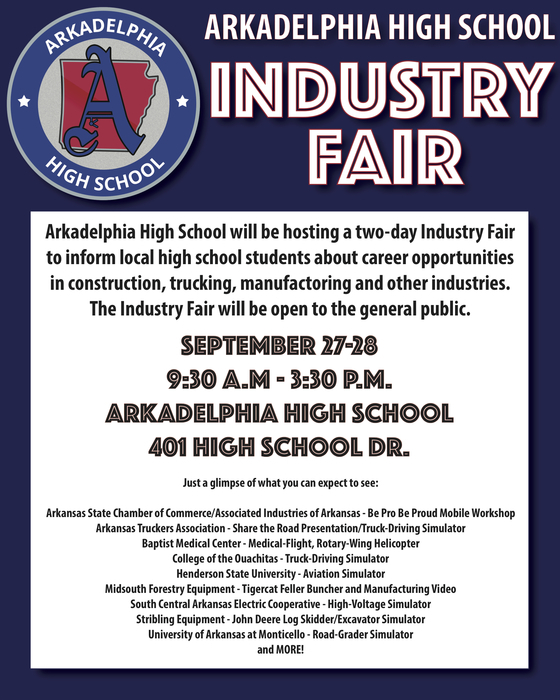 On Sept. 27-28, AHS will be hosting a Industry Fair in the high school parking lot. The event is open to the public, and we hope you will join us! Reminder: Parent-Teacher Conferences are tomorrow! There will be no school for students Thursday or Friday. Have a great four-day weekend! Reminder: The Report to the Public is scheduled for tonight at 5:15 p.m. The Board of Education meeting will follow at 6 p.m.
Calendar Change! The Report to the Public/Board of Education meeting will be Sept. 19, beginning at 5:15 p.m.
Parent-Teacher Conferences are Thursday, Sept. 21. There will be no school for students Thursday or Friday. Have a great four-day weekend! 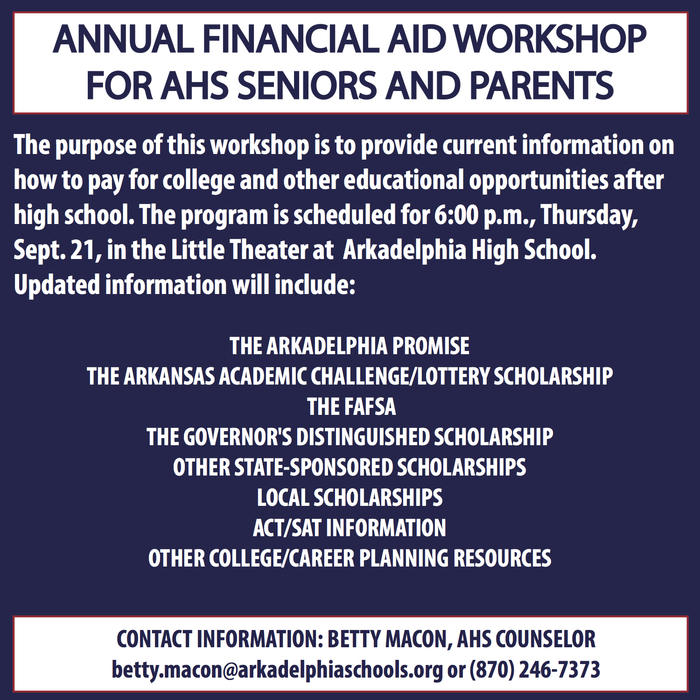 There will be a Financial Aid Workshop for all AHS seniors and parents on Thursday, Sept. 21. This will be a very informative meeting. Please come with any questions you have! 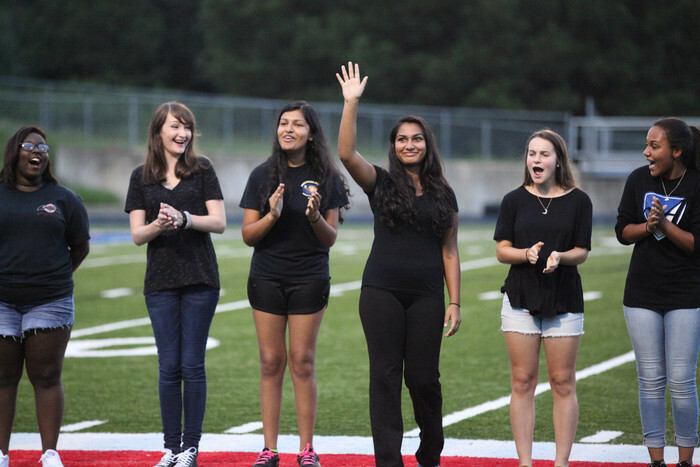 AHS seniors want YOU to come to the Badgers first home game TONIGHT! 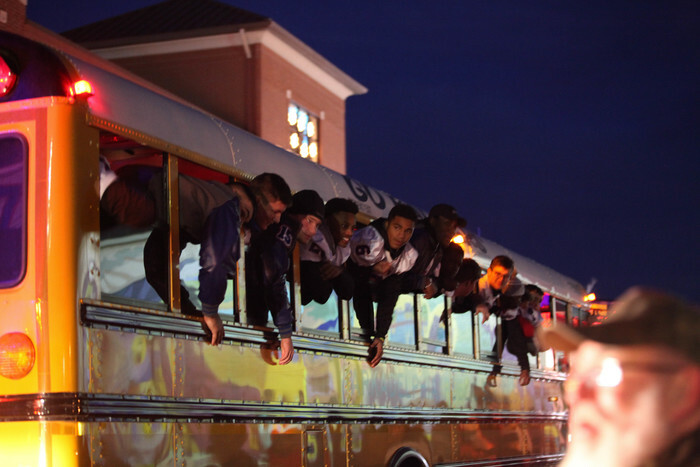 Kickoff is at 7 p.m. against Hot Springs! Wear your Badger blue! 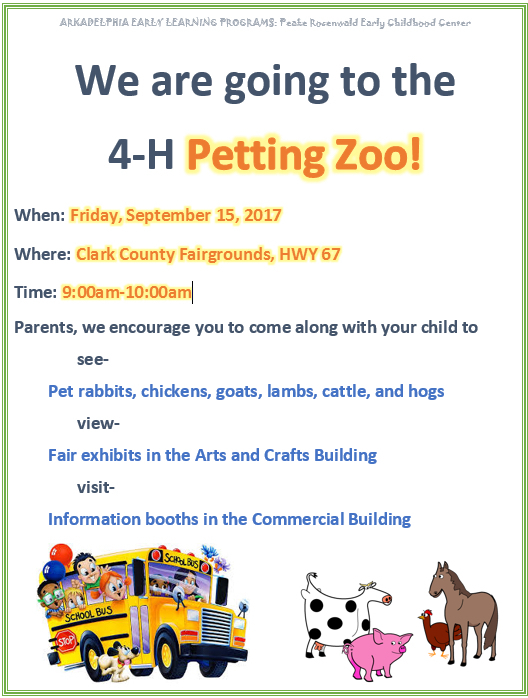 Peake Rosenwald and Perritt PreK students will be going to the 4-H Petting Zoo tomorrow at the Clark County Fairgrounds! 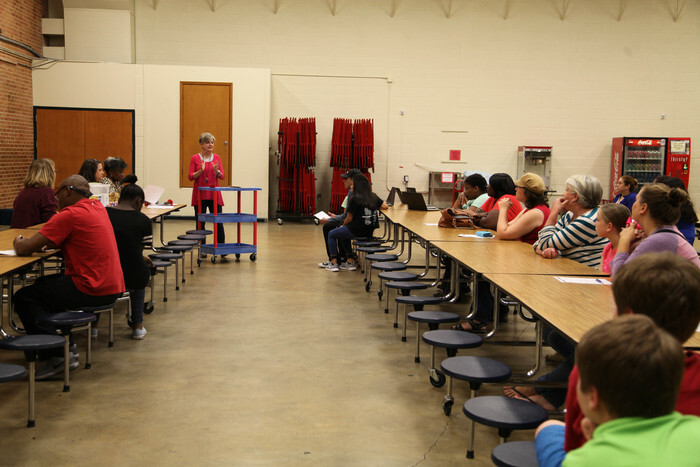 Thank you to all of the parents that attended Goza's Report to the Public and "Sixth Grade Survival Strategies Night." We hope you found all of the information helpful! 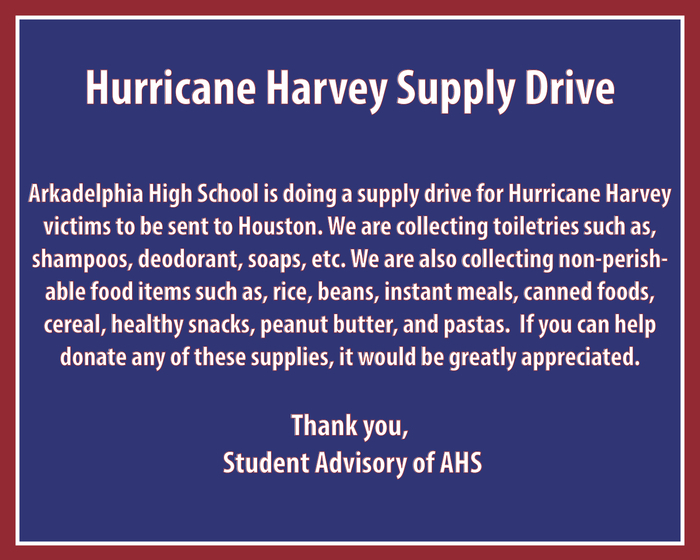 If you are interested in sending helpful items to Houston, AHS Student Advisory is holding a supply drive for Hurricane Harvey victims. You may drop of donations at the high school. Don't forget, parents! There will be a Parent Involvement Meeting on Oct. 4 at 11:30 a.m. Lunch will be provided. Please reserve your spot by Oct. 2. 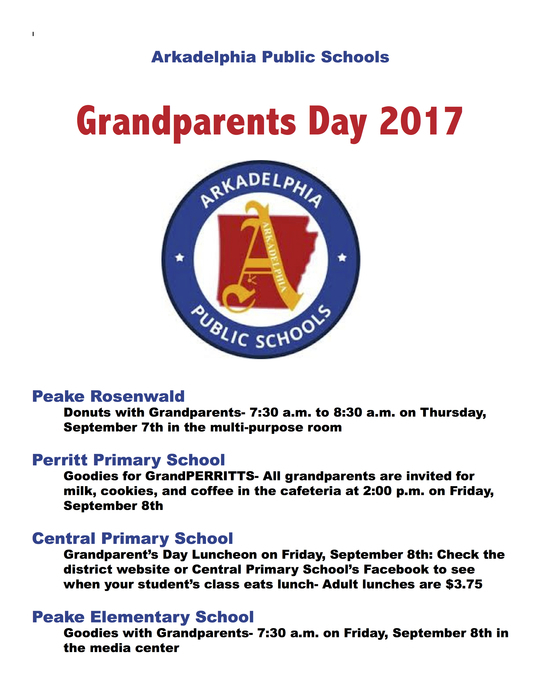 APSD Grandparents- We would love to celebrate you this week for Grandparents Day 2017! 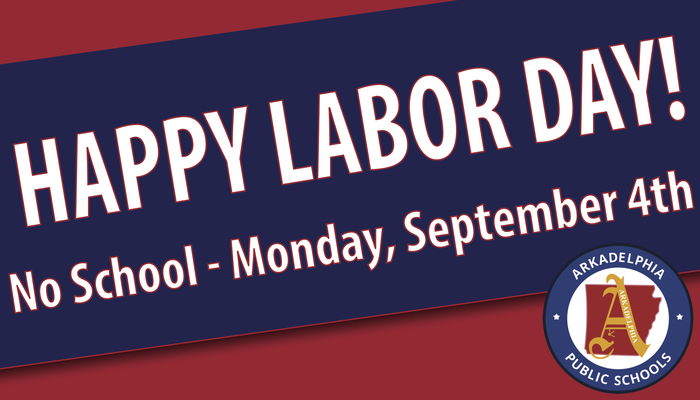 In honor of Labor Day, Arkadelphia Public Schools will be closed on Monday, September 4th. Have a great and safe holiday weekend! Please join us for lunch on October 4 for our Parent Involvement Meeting. Please call and reserve your spot by October 2. Attention AHS Seniors - Senior pictures will be made by Lifetouch on Monday, September 11, 2017. 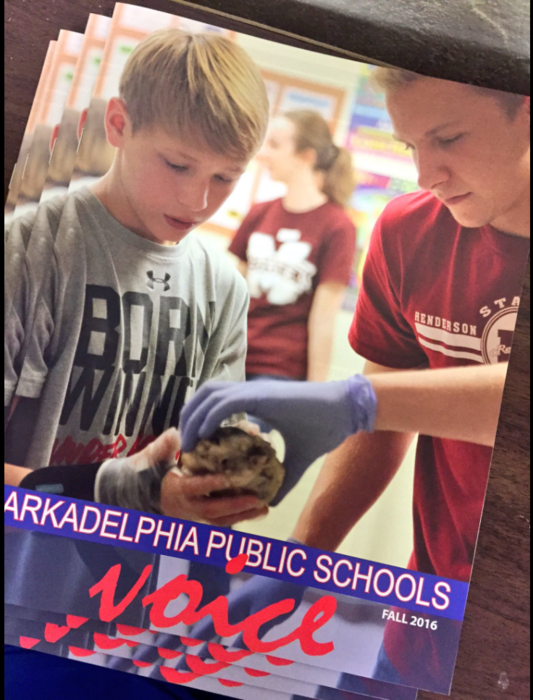 What a memorable learning experience for students at Arkadelphia Public Schools! 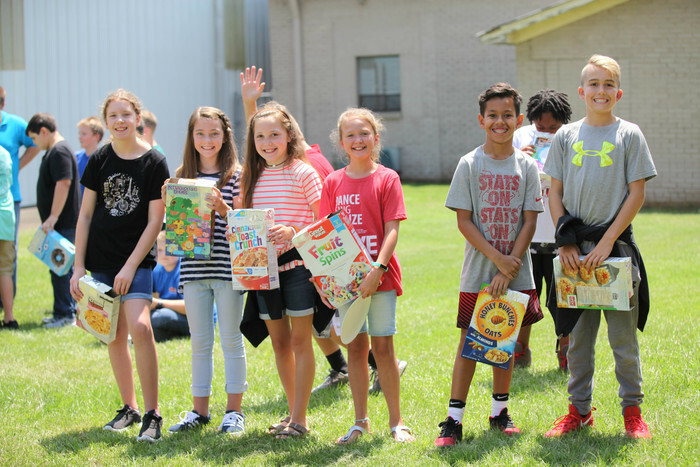 It was a great day viewing & learning about the Solar Eclipse today. 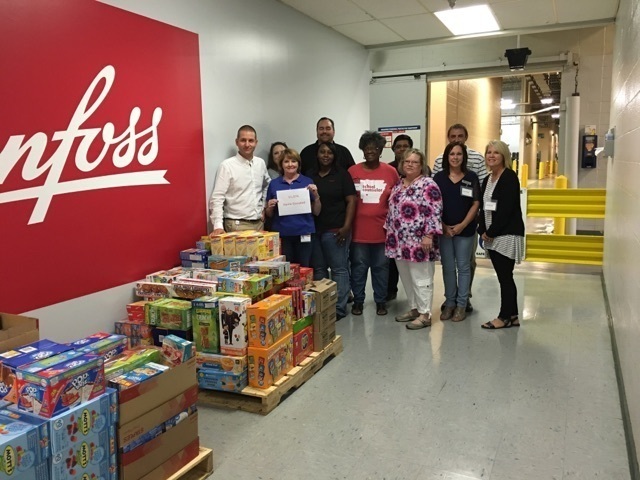 Danfoss partnered with Patterson Federal Credit Union and hosted the first food drive for the 2017-18 school year. They contributed 11,074 food items. We are so grateful for these partnerships! Reminder: August's Board of Education meeting is tonight at 6 p.m. in the board room at the administration building. The first day of the 2017-18 school year is in the books for APSD. We are looking forward to an exciting year full of accomplishments! Welcome back, students! We hope all of you have a great first day of the 2017-18 school year! 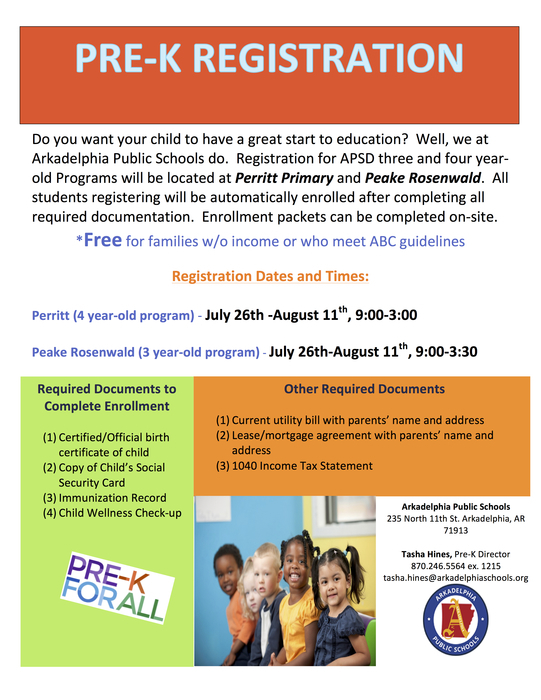 Registration is still open for Arkadelphia's pre-k programs! SCHOOL STARTS IN 4 DAYS! APSD teachers are getting excited to see their new students. It's going to be a great school year! Reminder: Open House is TONIGHT! See flyer for your school's designated time. Goza students & parents, be sure to bring $10 to Open House tomorrow night to get one of these great t-shirts (the models are great, too)! 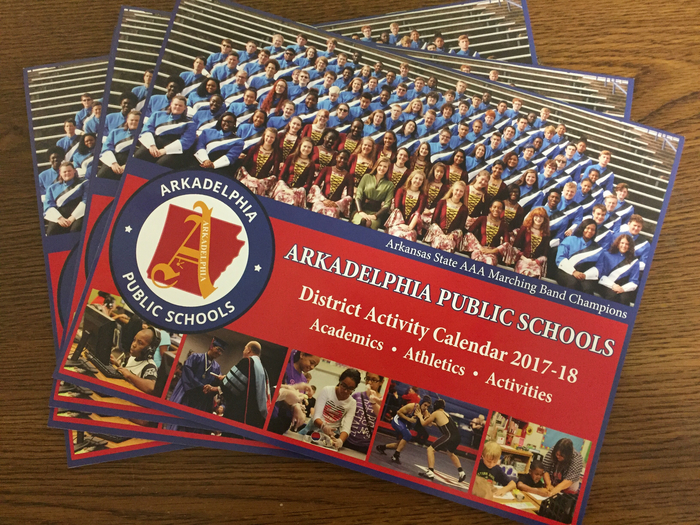 Grab your copy of the 2017-18 APS District Activity Calendar on Thursday at Open House! 3 days until Open House. 7 days until the first day of school. We are excited to kick off the 2017-18 school year! 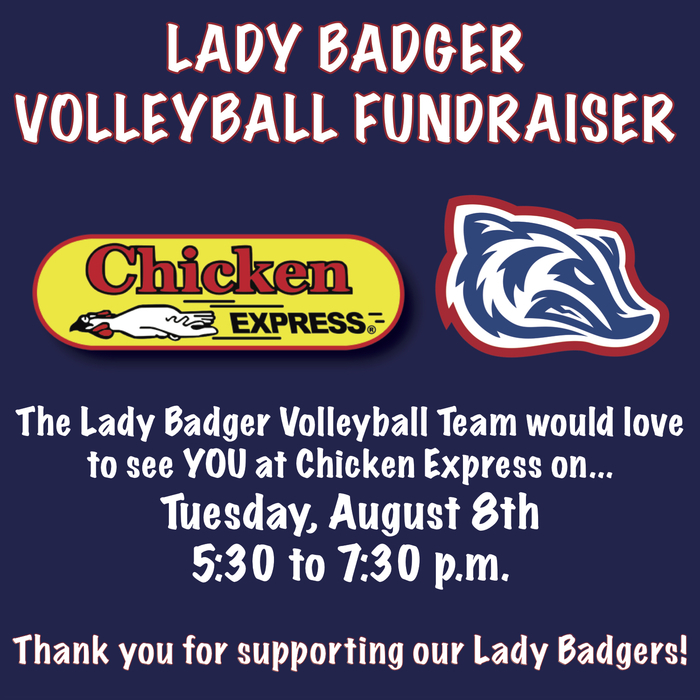 Come out and support Lady Badgers Volleyball at Chicken Express tomorrow night! 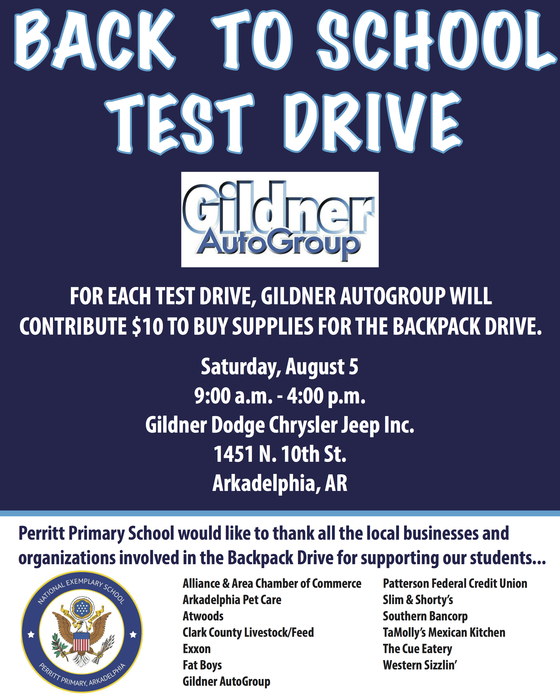 This Saturday, Gildner AutoGroup is donating $10 for EVERY test drive taken to Perritt Primary School for school supplies for students! See flyer for details. Today is the first day for Pre-K Registration! 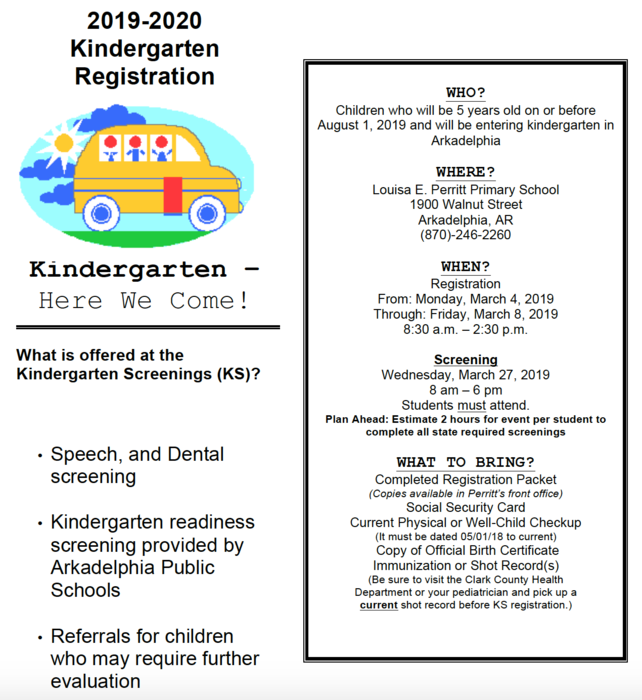 Pre-K Registration begins July 26th! 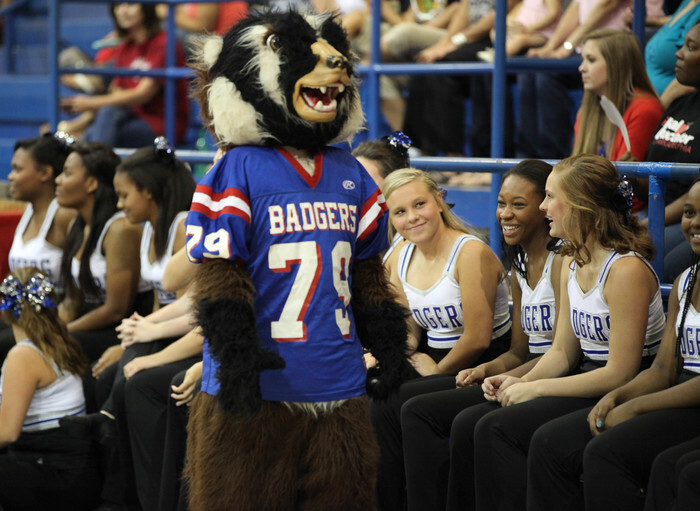 We can't wait to meet all of our new Arkadelphia Badgers! 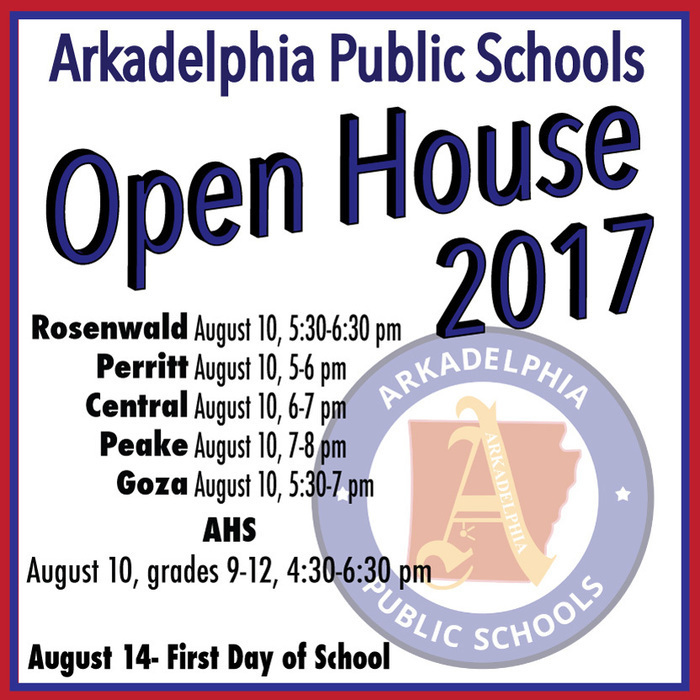 APS Open House 2017 dates and times announced. See photo for details. 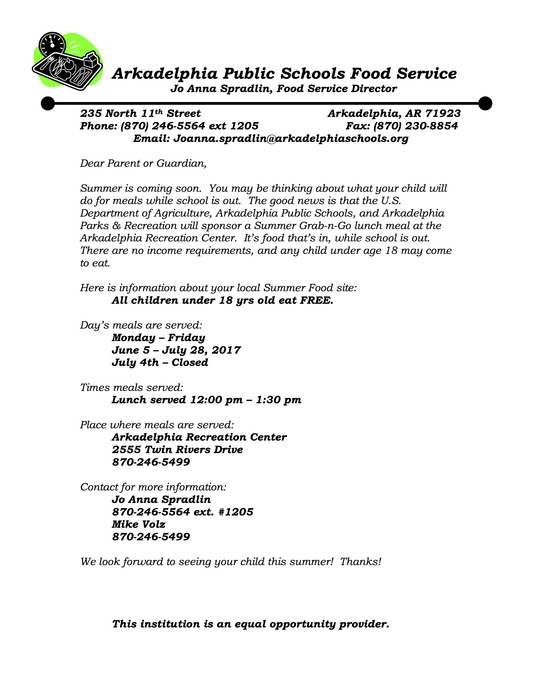 Don't forget - All children under 18 years old eat FREE for lunch at the Arkadelphia Recreation Center this summer! Please spread the word. 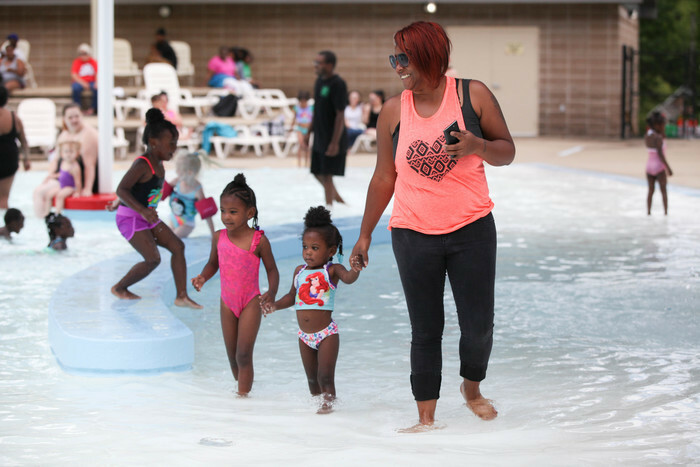 Our Peake Rosenwald students and Parents as Teachers group enjoyed a fun day at the Arkadelphia Aquatic Waterpark yesterday! 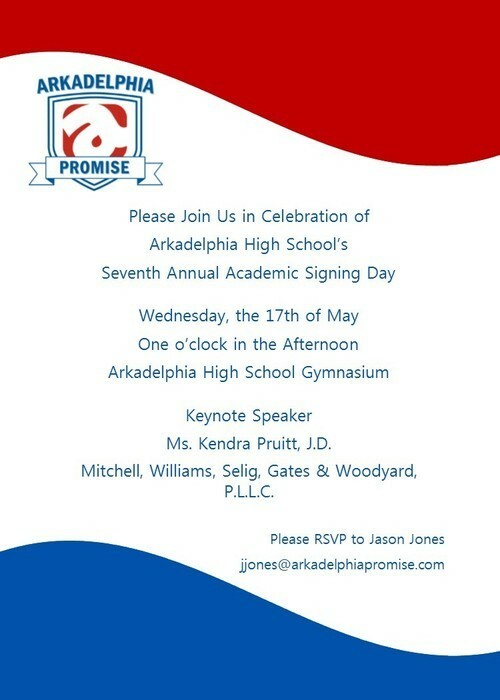 The Arkadelphia Promise Signing Ceremony is TODAY at 1 p.m. Bring your friends and family and come celebrate our seniors with us! 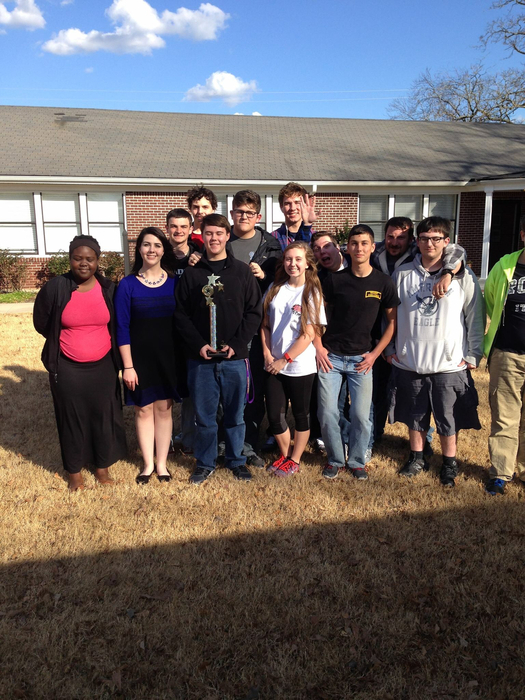 Arkadelphia High School's 9th grade GT students are hosting "Big Science Day" today at Perritt Primary School! 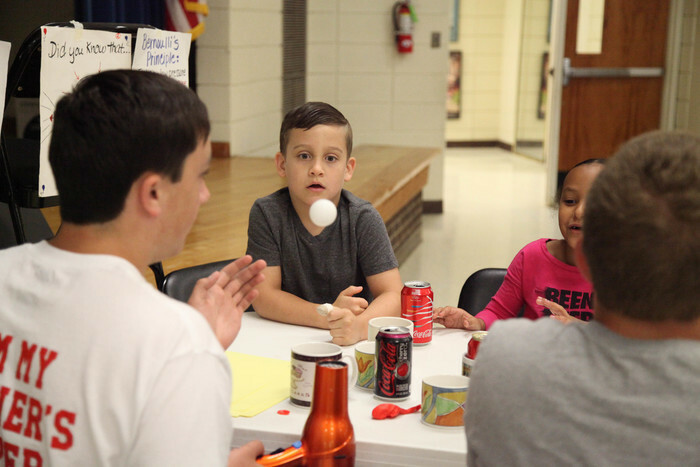 Perritt students are learning about inertia, coding, Bernoulli's Principle and bubbles through fun experiments! 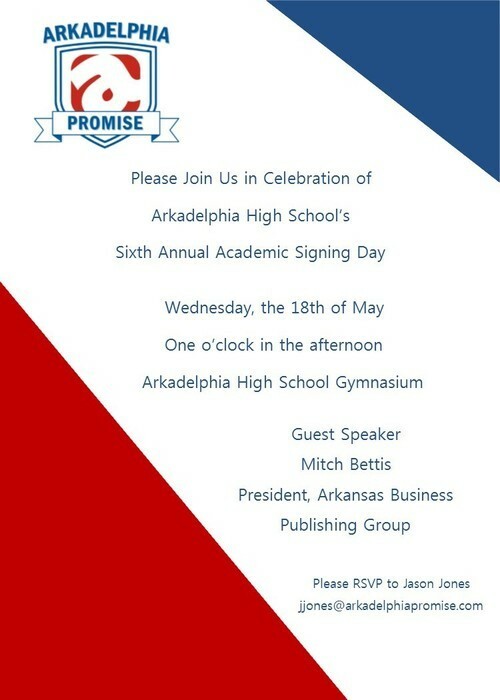 We are looking forward to celebrating our seniors on Wednesday at the Arkadelphia Promise Signing Ceremony! We hope to see you there! The Arkadelphia Arts Center will be hosting a reception this afternoon from 4:30 to 5:30 p.m. featuring some of our Goza artists! Please join us and see all the beautiful work & enjoy refreshments. The Goza & AHS Jazz Bands will present their spring concert tonight at 7:00 in the AHS Little Theater. Please come and join us for a great evening of jazz music! Admission is free! 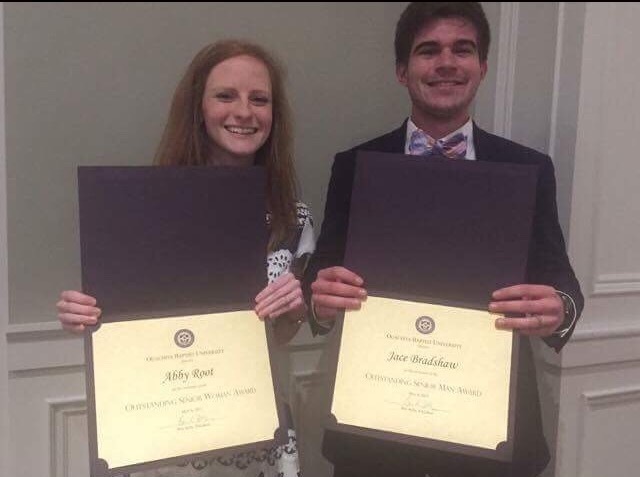 Congratulations to Arkadelphia High School Graduates Jace Bradshaw and Abby Root for being named Senior Man and Woman at Ouachita Baptist University's academic banquet! 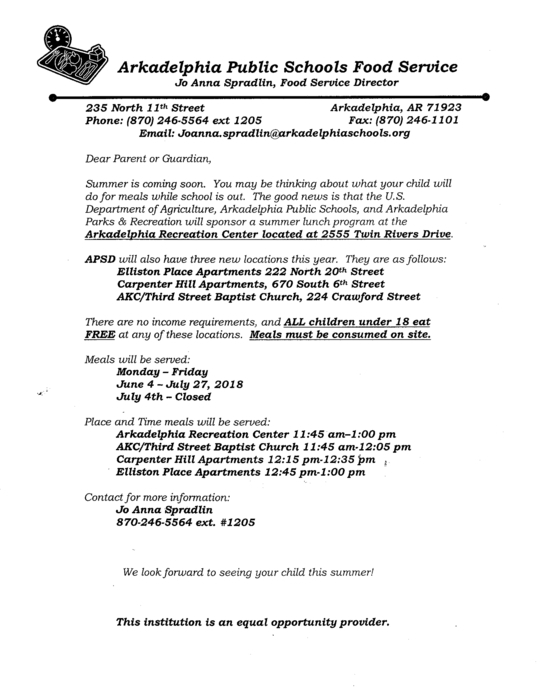 APSD will be partnering with the U.S. Department of Agriculture and Arkadelphia Parks & Recreation to serve free lunch to children under 18 years old this summer. See flyer for more information. 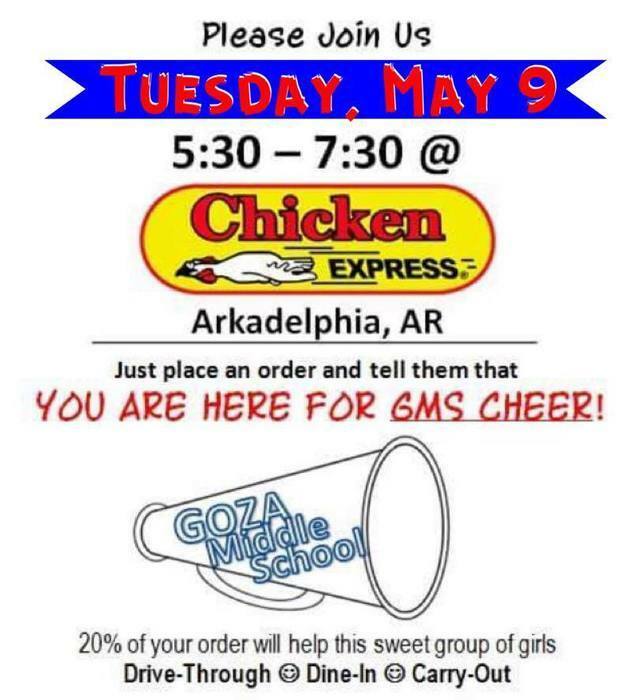 Come to Chicken Express TONIGHT from 5:30 - 7:30 and support our Goza Middle School cheerleaders! 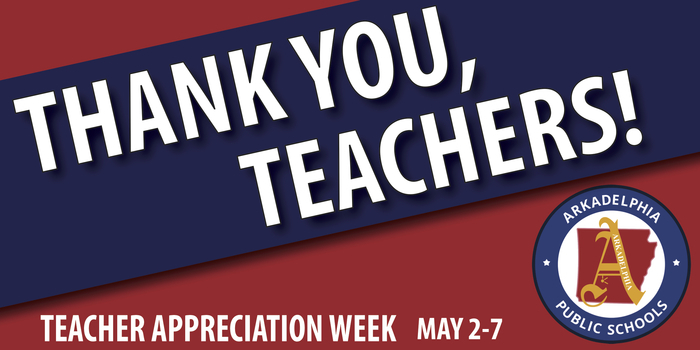 This week is Teacher Appreciation Week! Thank you, APSD teachers, for your hard work and commitment to our students. We appreciate you! 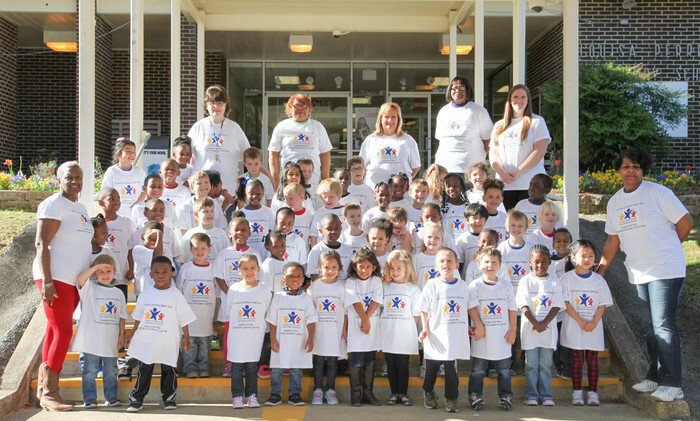 Perritt PreK students celebrated Arkansas Children's Week with a "Fun Day" on Friday. 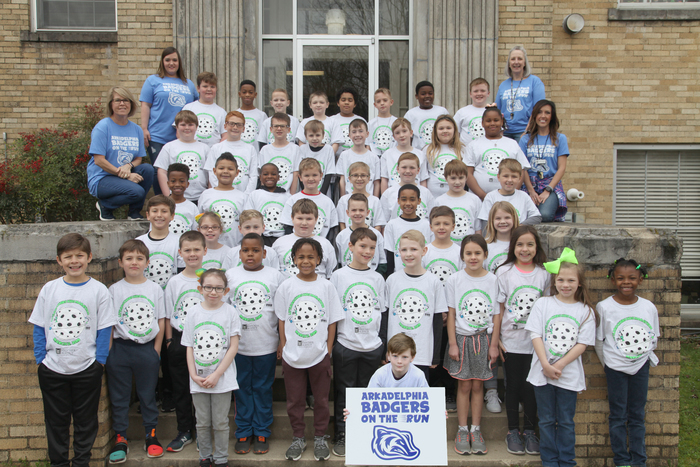 Peake Rosenwald students loved celebrating Arkansas Children's Week with a fun day on Friday! TONIGHT is the first performance of "The Butler Did It, Singing!" We hope to see you there at 7 p.m.! Come support the Arkadelphia Choral Program as they present "The Butler Did It, Singing!" this weekend! It's going to be great! Don't forget about the Parents as Teachers Diaper Drive this week! Central Primary is getting ready for their musical today! Shows are at 1:30 and 6 p.m. in the auditorium. We hope to see you there! 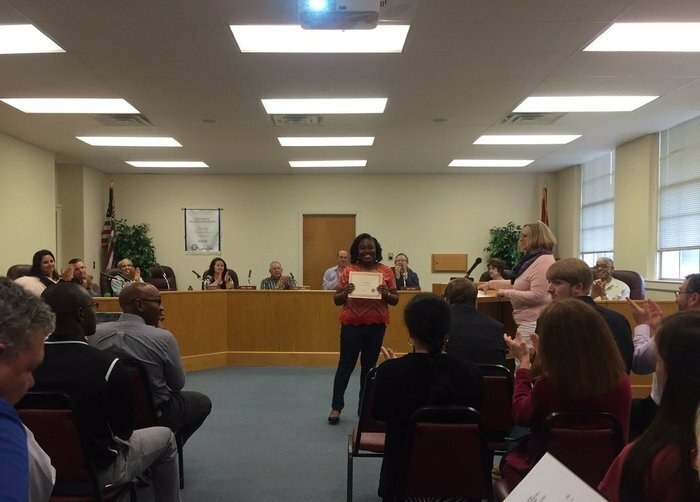 The Board of Education recognized AHS Senior Tierra McRaney at Tuesday's meeting for making All-State Wind Symphony. Seniors Preston Crowder & Hayden Spells presented their DECA project, Humane Society Outreach, to the Board of Education on Tuesday. 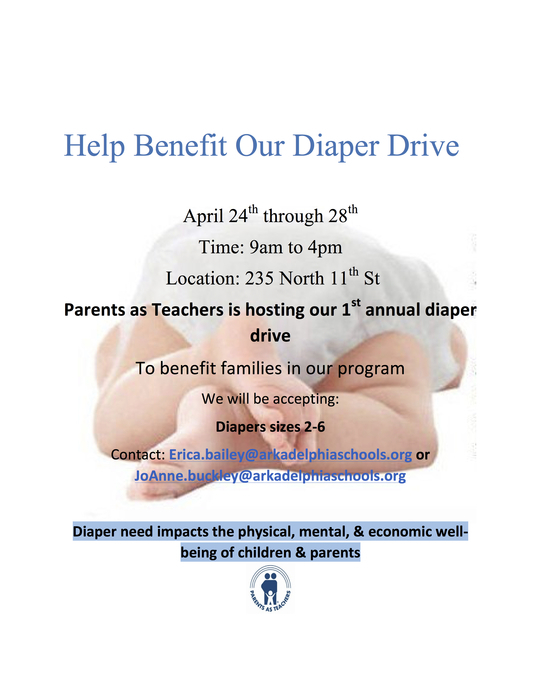 Parents as Teachers will be hosting a Diaper Drive next week! You may drop off donations at the administration building. 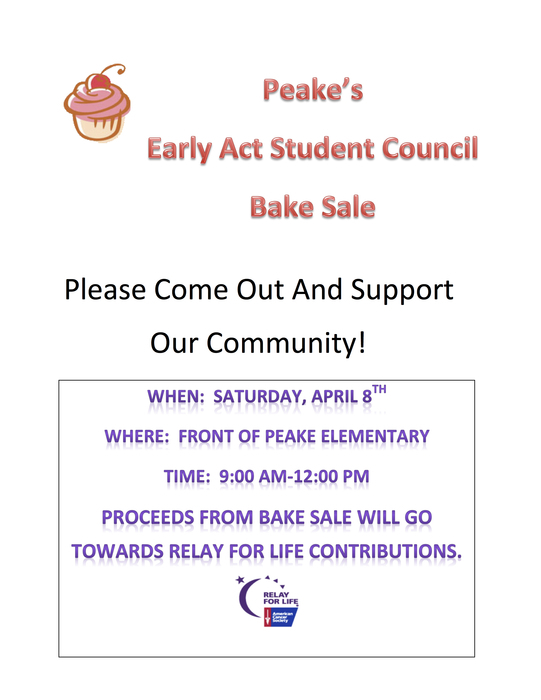 Peake Elementary will be hosting a bake sale this Saturday! All proceeds go to Relay for Life. Have a wonderful and safe spring break! We will see you back on March 27! 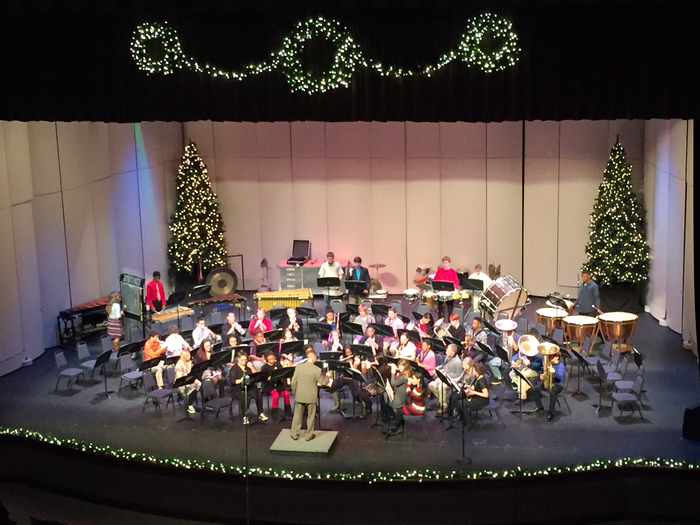 Arkadelphia Bands presents its Winter Concert TONIGHT at 7 p.m. We would love for you to join us! Don't forget! 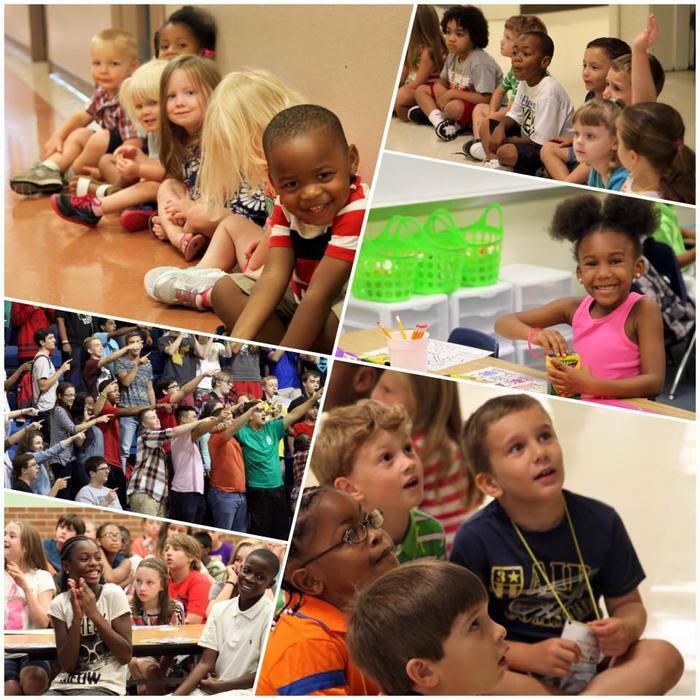 Kindergarten Registration continues each day this week from 8:30 a.m. to 2:30 p.m. at Perritt Primary School! 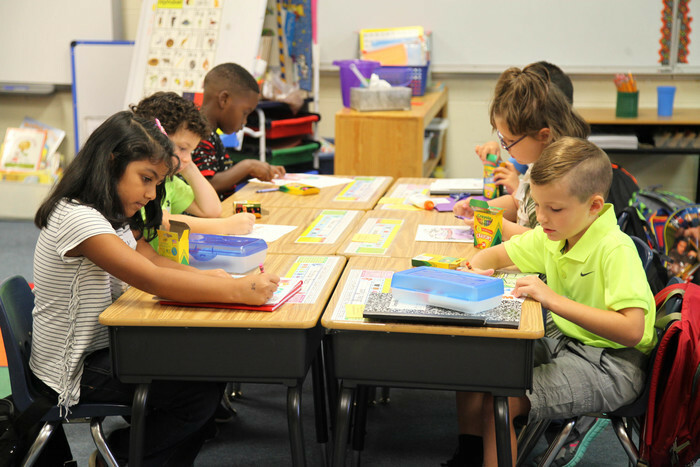 Kindergarten Registration is this week from 8:30 a.m. to 2:30 p.m. each day! The Winter Voice is here! Grab your copy tomorrow at Parent-Teacher Conferences from 2-7 p.m.
We hope to see you at Parent-Teacher Conferences tomorrow from 2-7 p.m.
Today is the day! 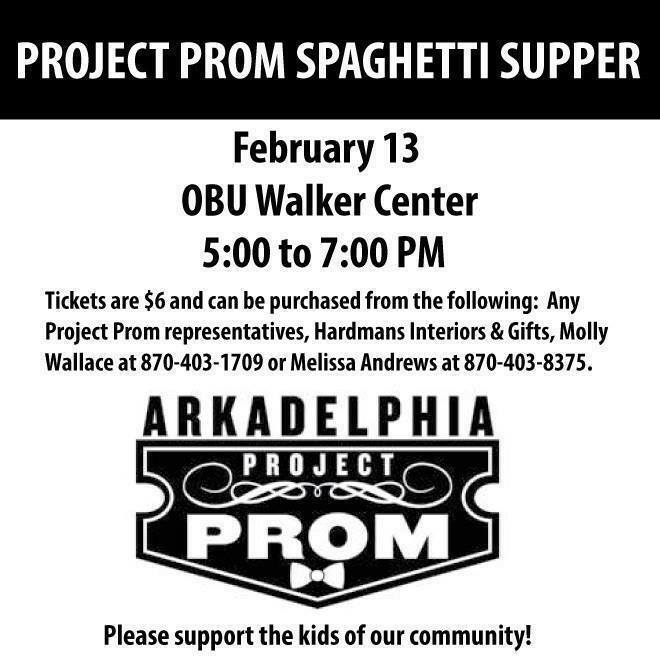 Don't forget to come out and eat some spaghetti in support of Arkadelphia Project Prom! 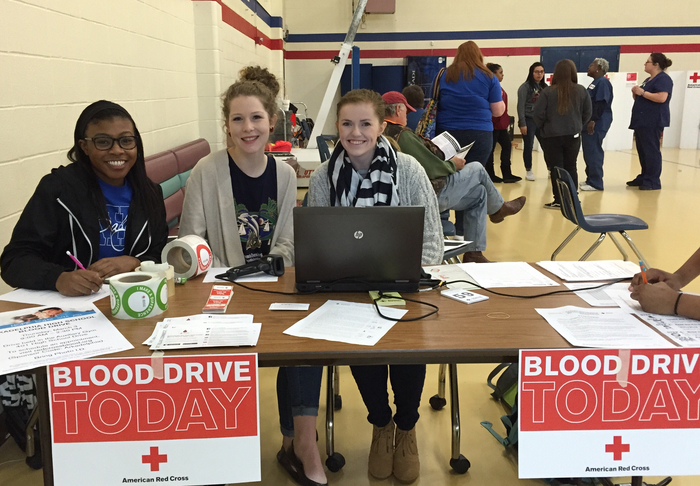 The Red Cross is at AHS today until 2 p.m. Come donate and help save a life! Don't forget about this great (and yummy!) opportunity to help AHS Project Prom! 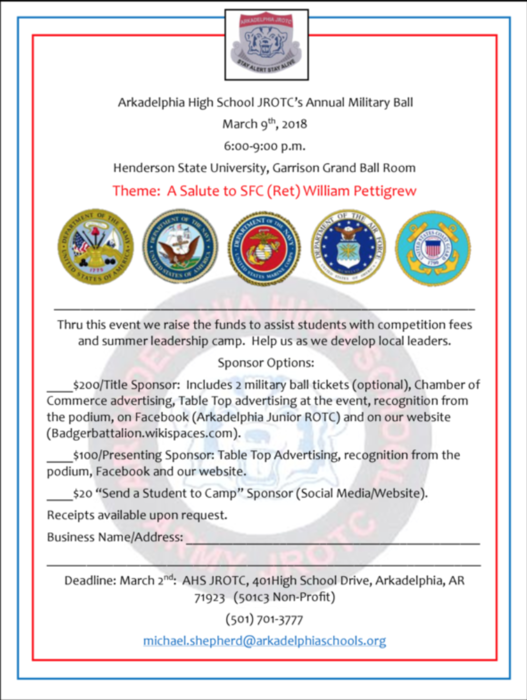 Great opportunity to help our JROTC program - be a sponsor for the Annual Military Ball on March 10! Don't forget to thank your school counselors this week! 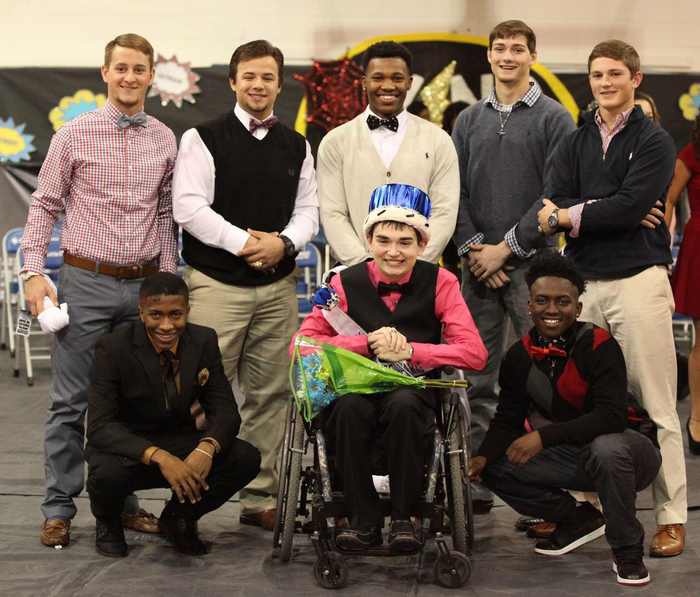 The King of Hearts ceremony begins at 9:30 a.m. in the AHS gym! 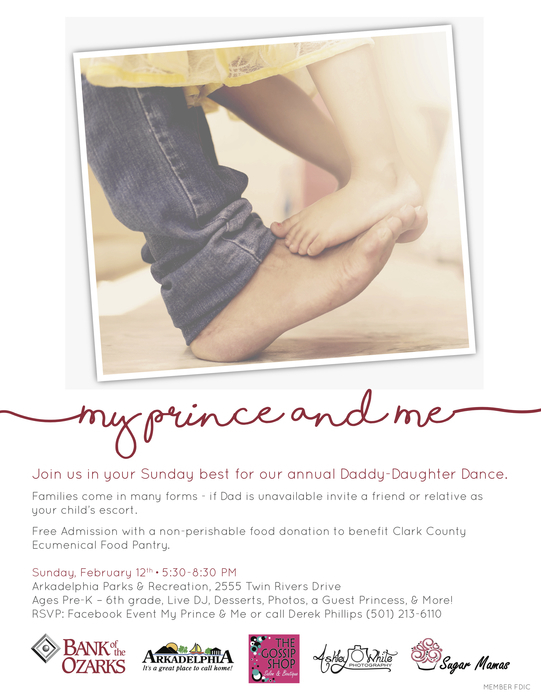 The annual Daddy-Daughter Dance at Arkadelphia Parks & Rec is right around the corner! 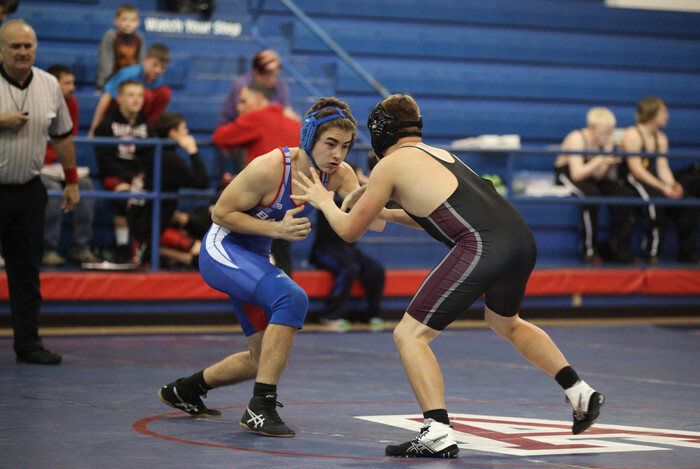 Last night was the first home match for our Badger wrestling program on the new mat! Come support these guys at home next Monday, January 30! 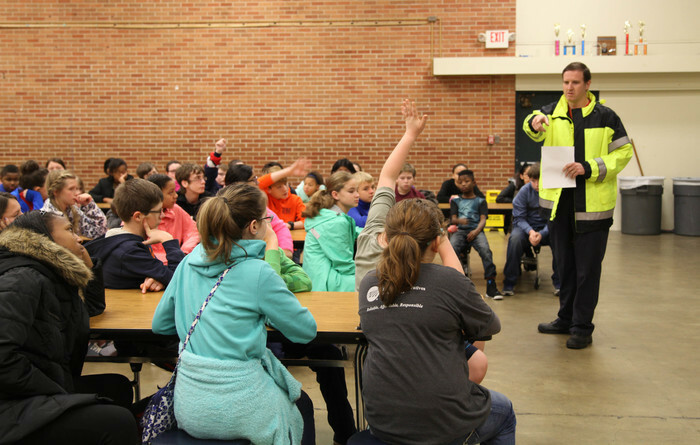 Thank you South Central Arkansas Electric Coop and Magician Scott Davis for presenting an electrical safety magic show, "Making Accidents Disappear", to our Peake students today! 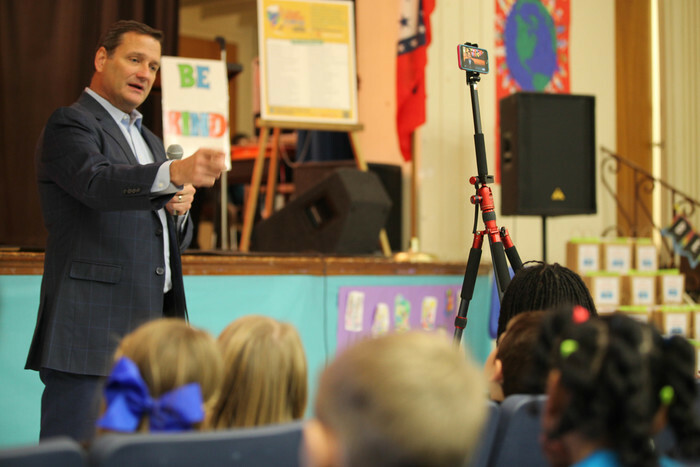 APS would like to thank Chief Meteorologist Ed Buckner for coming to encourage Central Primary students as they prepare for the Great Kindness Challenge this week! Andy Neel from the Arkadelphia Fire Department came to speak with Goza's 6th grade literacy students this morning. The students are currently reading The Great Fire by Jim Murphy. APS campuses will be closed on Monday in recognition of Martin Luther King, Jr. Day. 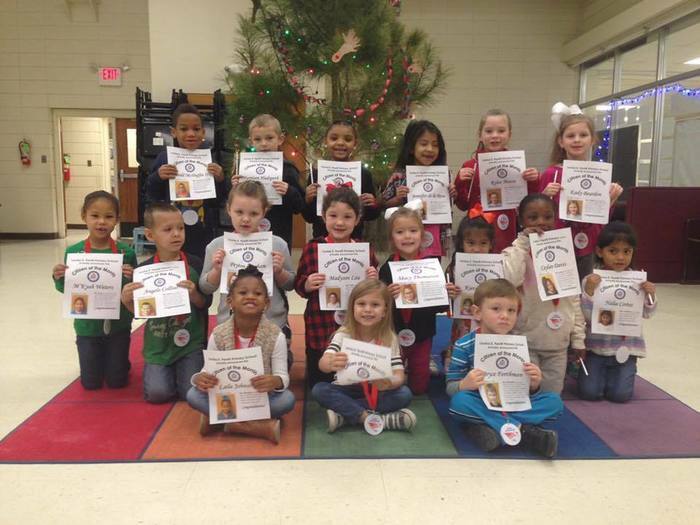 Congratulations to Perritt Primary's December Good Citizens! They were treated to breakfast with their families by Brookshire's! Happy holidays! We wish you a safe and wonderful holiday season. See you on January 4, 2017! 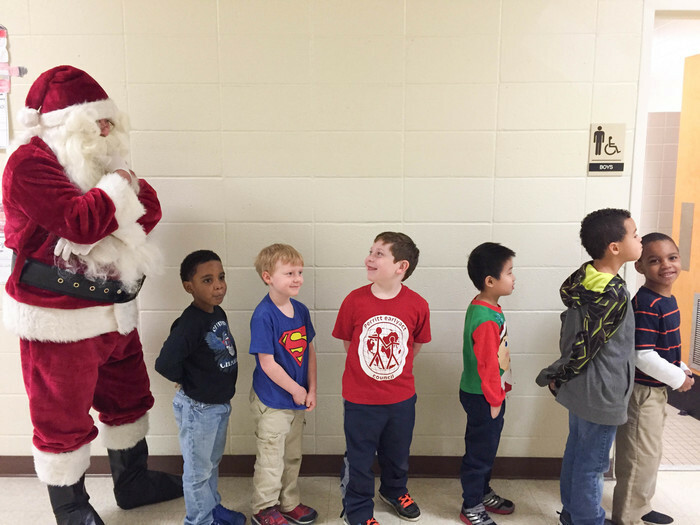 Peake Rosenwald had a special visitor today... SANTA! 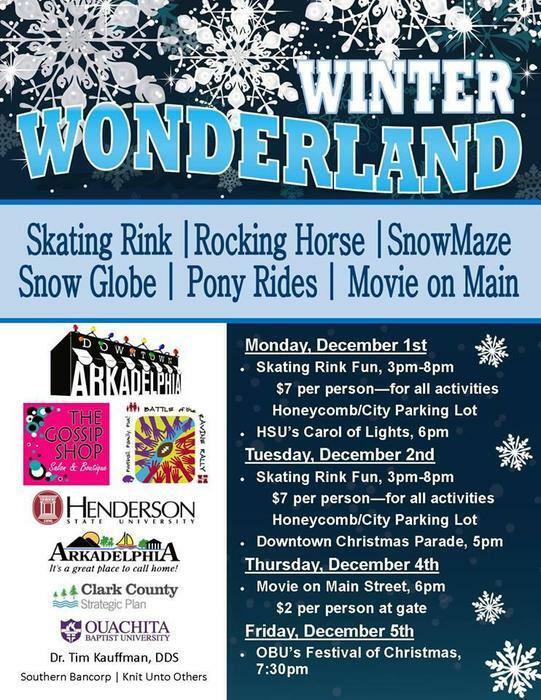 Come celebrate the holidays with Arkadelphia Bands TONIGHT! You don't want to miss this. 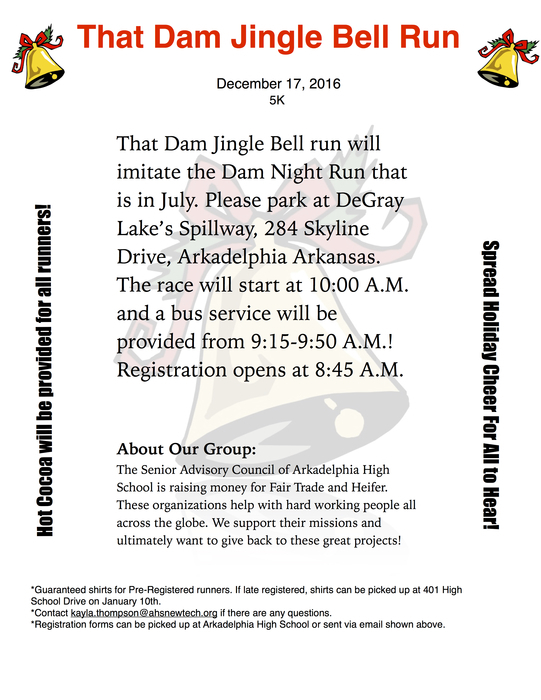 The AHS Senior Advisory Committee is hosting the Jingle Bell Run 5K to raise money for Fair Trade and Heifer. Tell your friends! 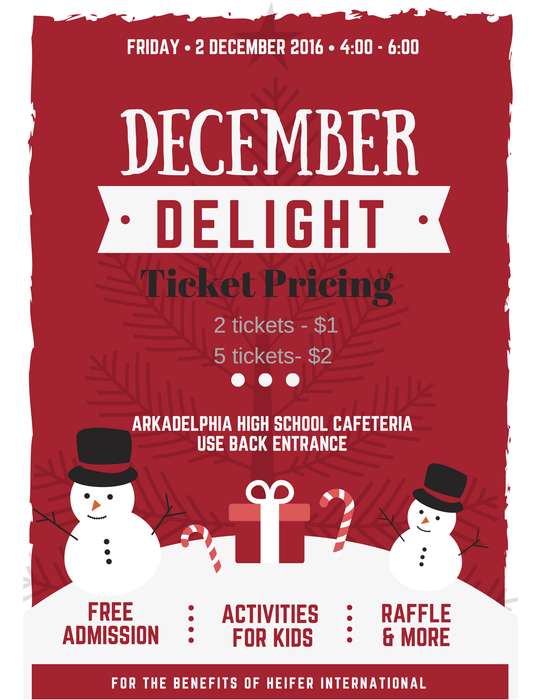 The Senior Advisory Committee will be hosting December Delight this Friday! Kids of all ages are welcome to participate. Don't miss out! We hope everyone has a wonderful Thanksgiving break. We will see you back at school on Nov. 28! Arkadelphia Public Schools would like to thank all of the men and women who are serving/have served our country. Thank you for the sacrifices you have made in order to protect our freedom! 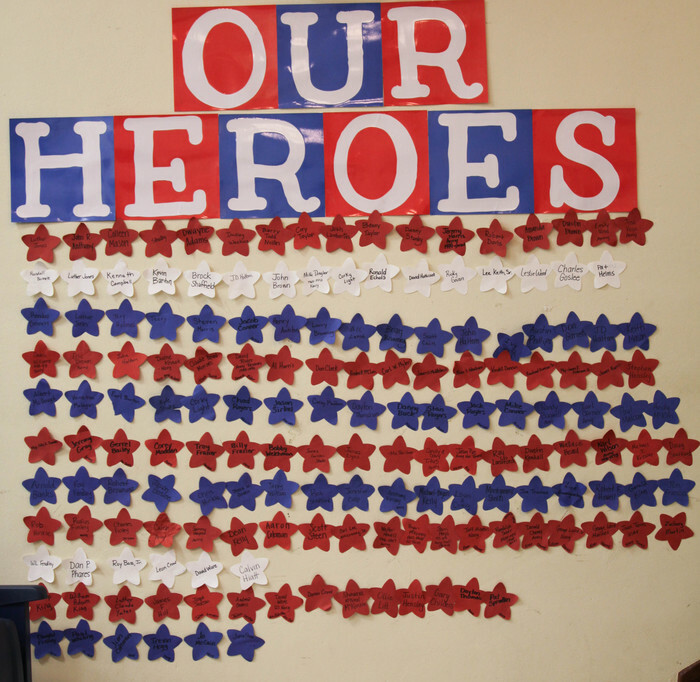 Central will host its Veterans Day program today at 9:30 a.m. We hope you will join us and celebrate our heroes. Family night at "Camp Perritt" was a huge success! 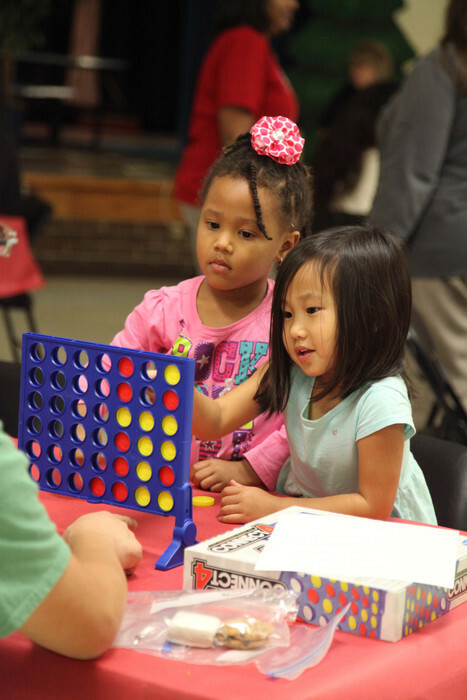 We had a lot of fun playing games with our Perritt families and the OBU students. Thank you to everyone who participated! 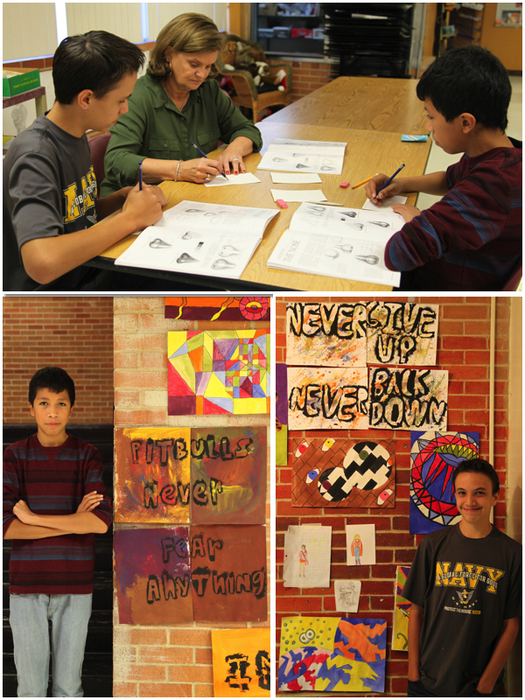 Central's Fall Festival photos are up on our Facebook! 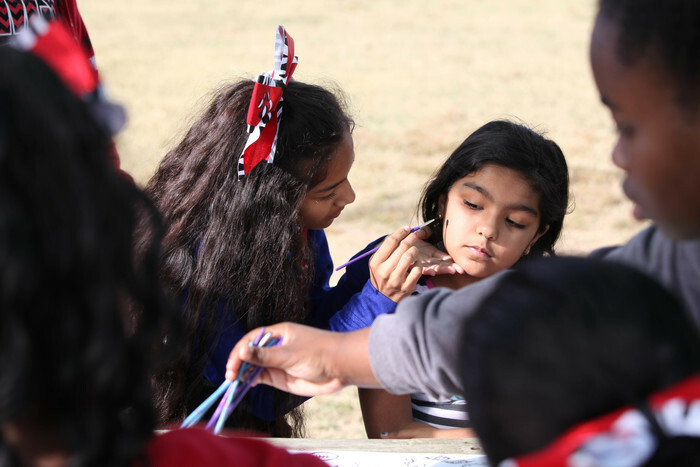 We had a great Saturday playing games, getting our face/nails painted, riding the hayride, and dunking the JROTC students in the dunking booth! 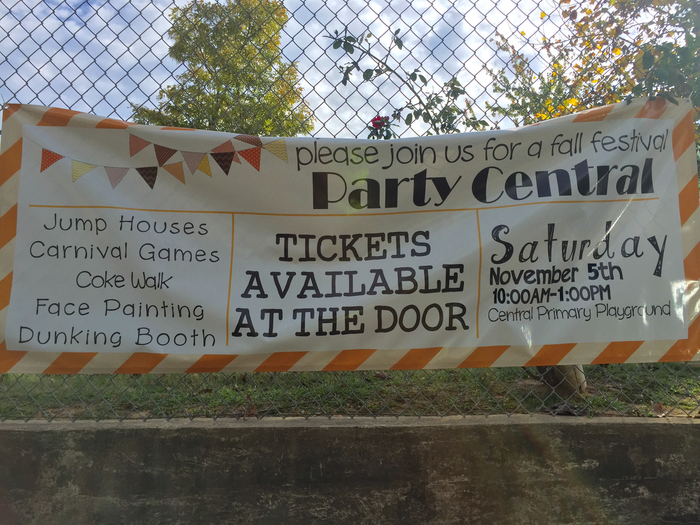 Come out to Central's Fall Festival today for jump houses, games, face painting and much more! We will be here until 1 p.m. The Badger Pride Marching Band competes in the State Marching Contest tonight at North Little Rick High School! They are scheduled to perform at 5:15 p.m. Good luck, Badgers! 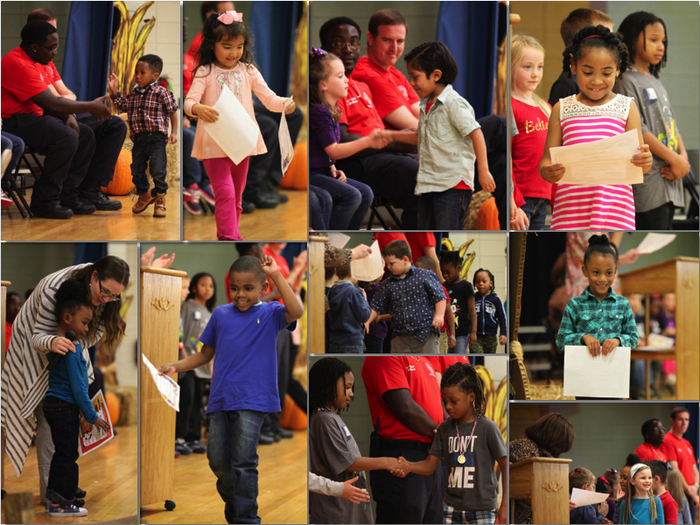 "American Voices" was presented by the homeroom classes of Ms. Snowden, Ms. Rocole & Mr. Helms on Oct. 25 at Peake Elementary. 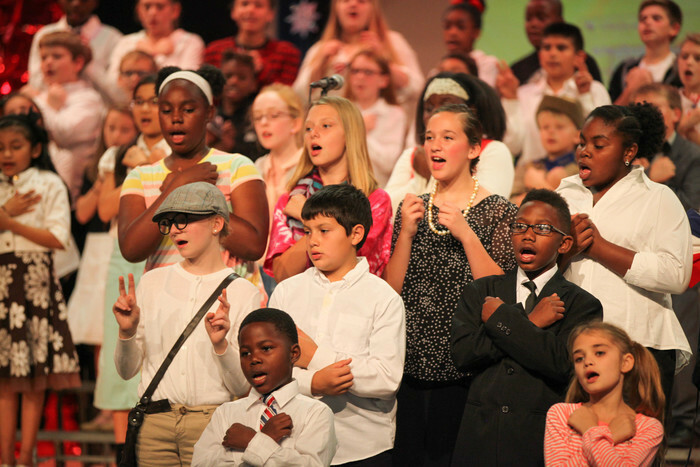 These students put on a outstanding performance full of great history! The 2016 Fall Voice is HERE! Get your copy at Parent-Teacher Conferences today! 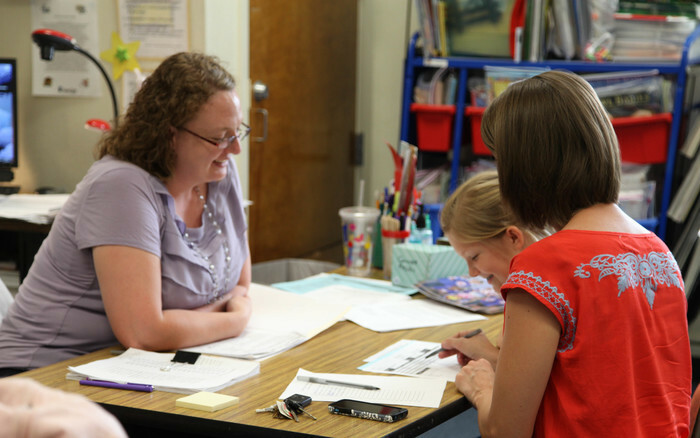 2-7 p.m.
Parent-Teacher Conferences are TODAY from 2 to 7 p.m. There will be no school tomorrow. We hope you are enjoying your four day weekend! 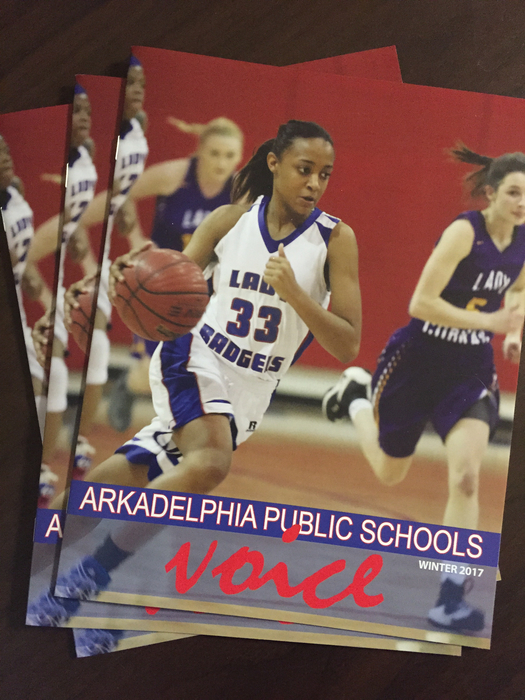 Arkadelphia High School will host its Report to the Public TONIGHT at 5:30 p.m. in the Little Theater. We hope to see you there. 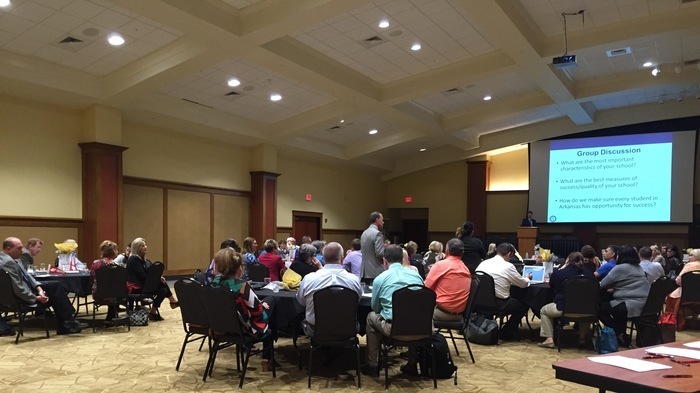 APS enjoyed co-hosting the AR Department of Education Community Listening Forum last night at HSU. Commissioner of Education Johnny Key generated great discussion among all those who were present. We will be honoring our Teachers of the Year today at 4:30 p.m. at City Hall. We hope you will celebrate with us. 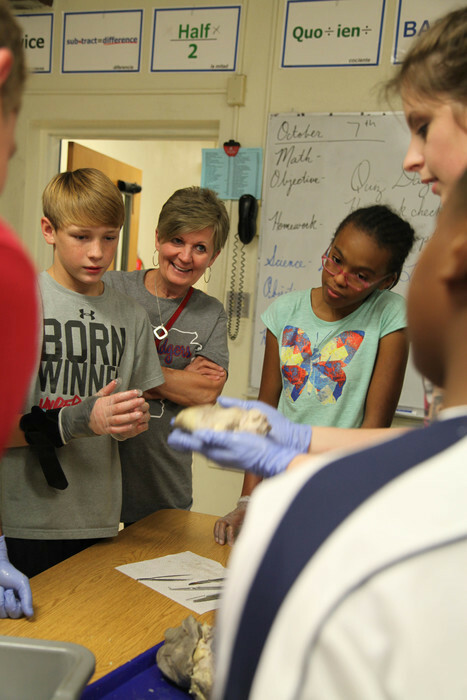 This past Friday was Dissection Day at Goza Middle School! Our students had a blast working alongside biology students from Henderson State University and Ouachita Baptist University! 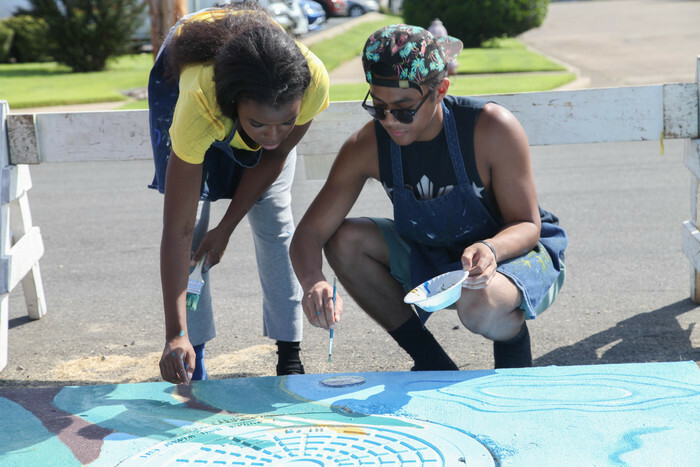 Some of our AHS students from Ms. Hornsby's class had the opportunity to paint storm drains downtown yesterday as part of the Storm Drain Awareness Project. 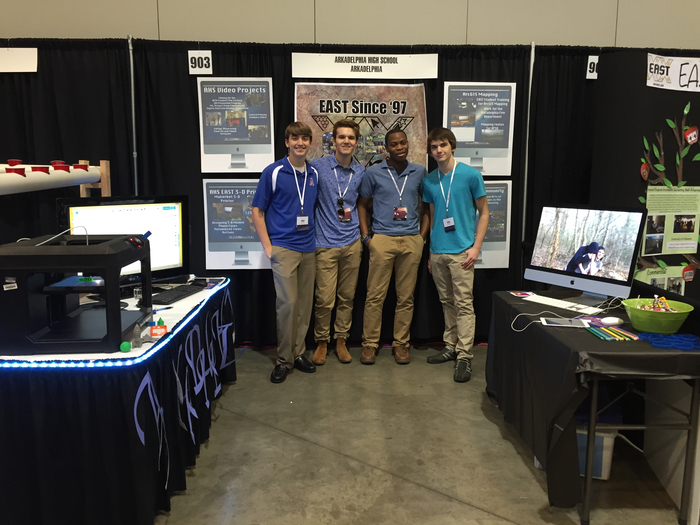 These students did a fantastic job! 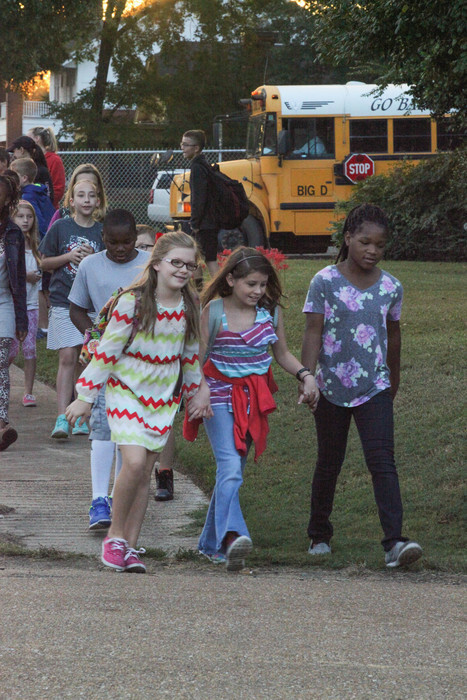 Peake Elementary students and parents participated in "Walk to School Day" this morning. Check out the photos on our Facebook. FCCLA will hold a fundraiser at Chicken Express TONIGHT from 5:30 to 7:30. Please support their efforts to raise money to donate to the Special Olympics and to attend the National FCCLA Meeting. 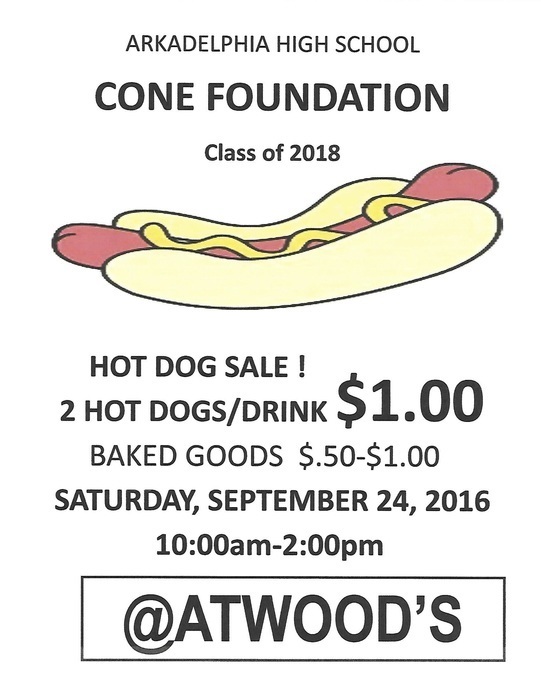 The AHS Cone Foundation will be selling hot dogs and other goodies this Saturday from 10 a.m. to 2 p.m. at Atwoods! Come show your support! 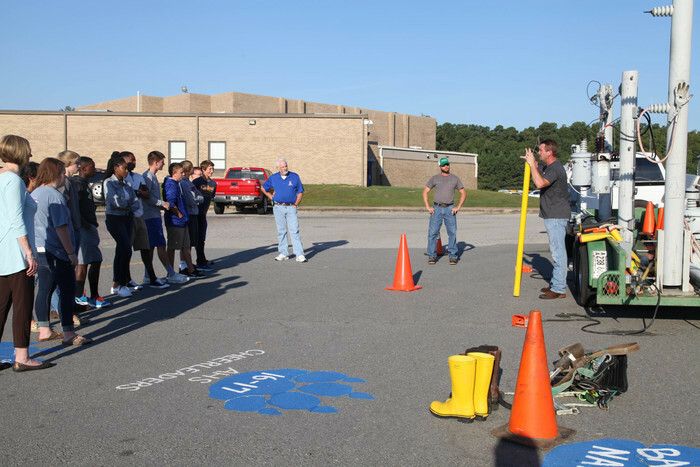 South Central Arkansas Electric Cooperative is spending the day at Arkadelphia High School teaching our engineering and technology students about electrical safety. Come buy a hot dog and support the AHS Cone Foundation on Sept. 24 at Atwoods! 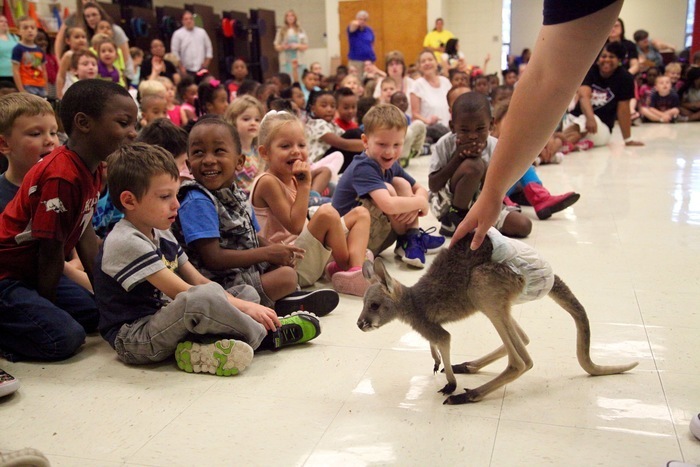 The Barnhill Preserve visited Perritt Primary today and brought several baby animals for the students to see! Parents, don't forget! 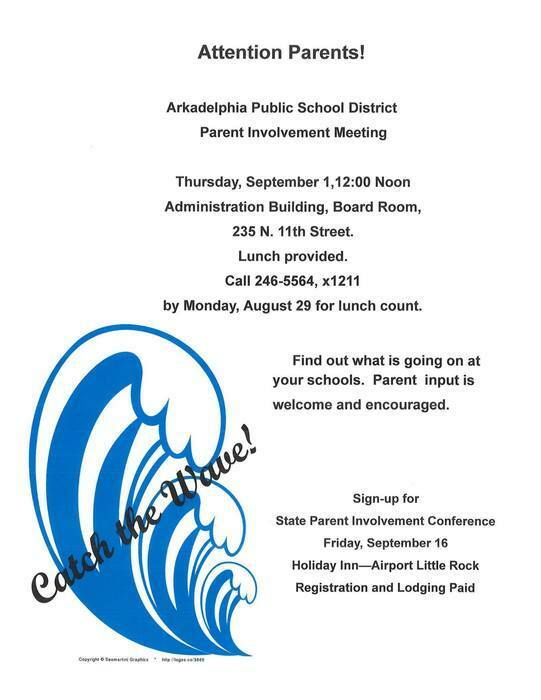 You have to register by Monday, Aug. 29 for lunch count for the Parent Involvement Meeting on Sept. 1. 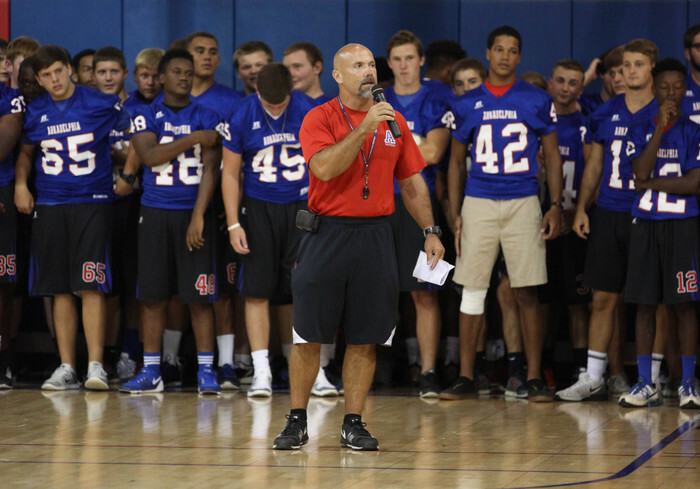 Meet the Badger photos are up on our Facebook! This album makes us EXCITED for 2016-17 activities! Good luck this year to all of our Badgers! Mark your calendars - APS Parent Involvement Meeting will be September 1 in the Board Room! 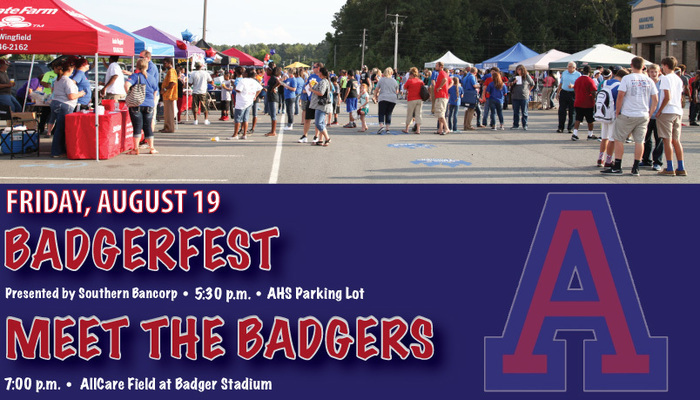 Badgerfest/Meet the Badgers is tomorrow night! Come out and show your support for the 2016-17 Badger teams! Don't forget - Open House for Peake Rosenwald, Perritt, Central, Peake and Goza is today! 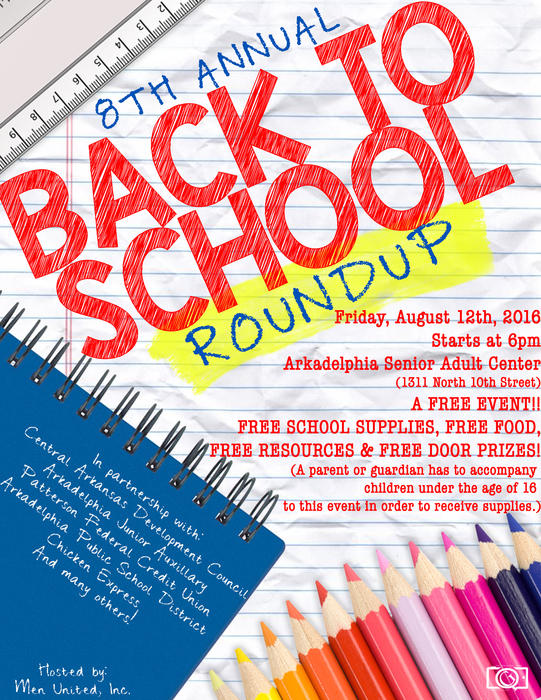 Men United, Inc. is hosting the 8th Annual Back to School Roundup this Friday at 6 p.m. at the Arkadelphia Senior Adult Center. FREE school supplies available! 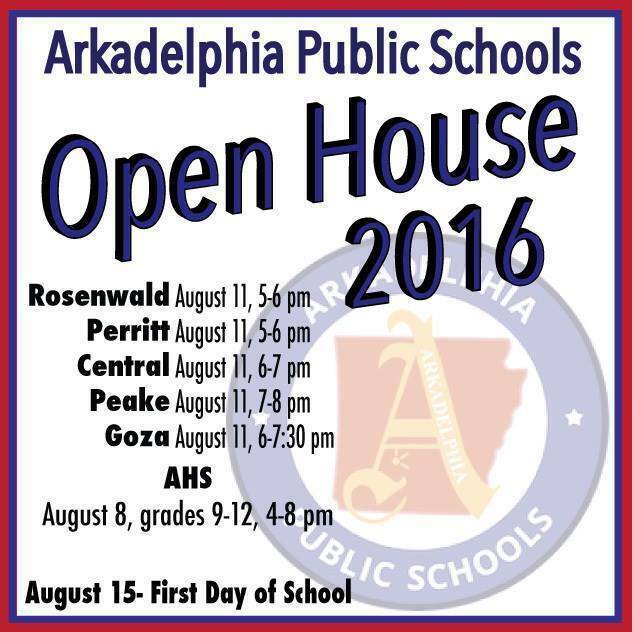 Open House for Peake Rosenwald, Perritt, Central, Peake Elementary and Goza is TOMORROW. Come meet your new teacher! The annual Back-to-School Celebration for the APSD faculty has begun! We are excited to welcome our students back! 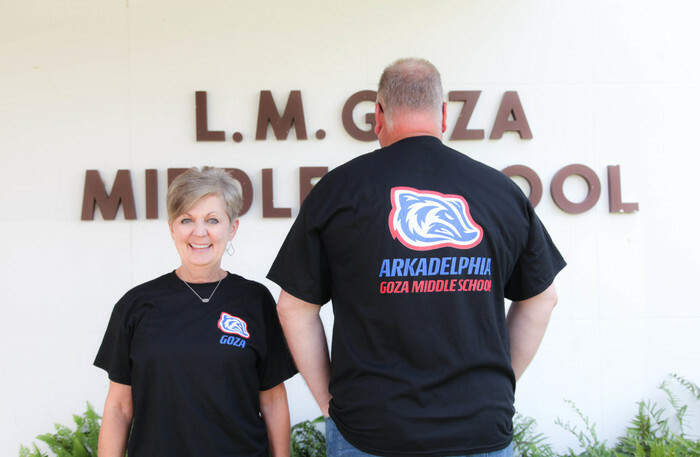 Arkadelphia High School's Open House is TODAY from 4 - 8 p.m.
Connect with us on Instagram! 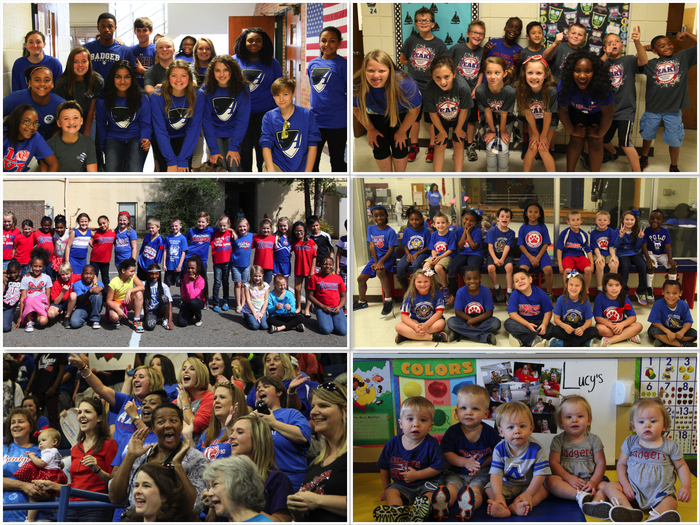 We are excited to share photos with you throughout the 2016-17 school year! New Teacher Orientation is today! 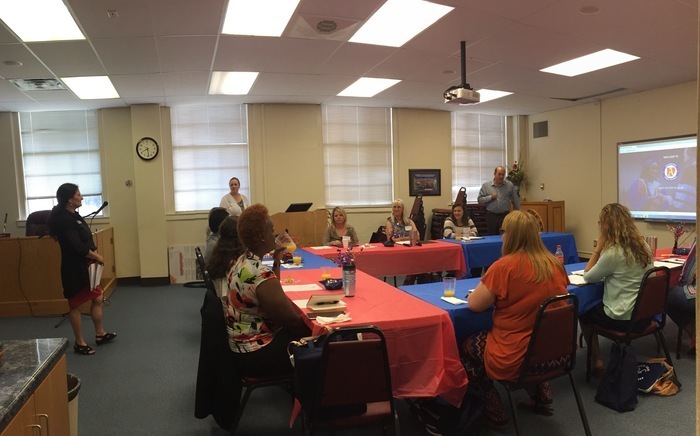 We are excited to welcome our new teachers to APSD for the 2016-17 school year! The first day of school is right around the corner! Here is the 2016 Open House information. We are excited for the 2016-17 school year! Stay updated during the 2016-17 school year by connecting with us through social media and the APS mobile app and website! 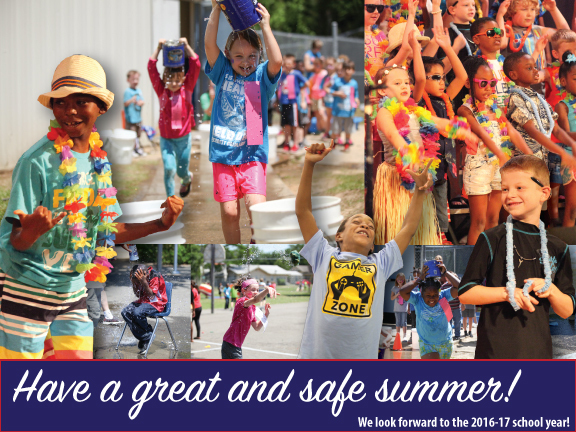 We hope all of you have a great and safe summer! See you on August 15 for the 2016-17 school year. 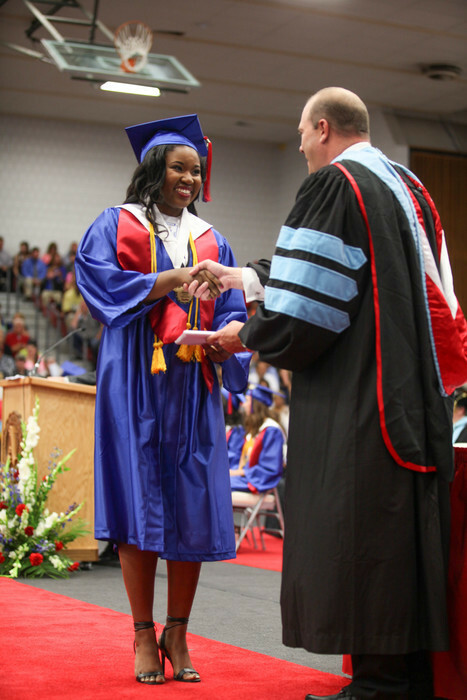 Graduation photos are posted on our Facebook, "Arkadelphia Public Schools". Congratulations Class of 2016! Congratulations to the AHS Class of 2016! We would love for you to join us in celebration of our graduates. 133 AHS seniors participated in the Sixth Annual Academic Signing Day yesterday. 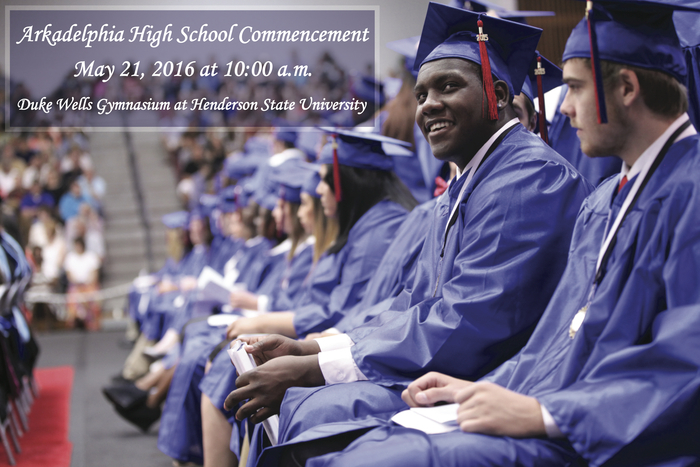 We are so proud of the Arkadelphia Promise Class of 2016! The Sixth Annual Academic Signing Day is TODAY at 1 p.m. in the AHS gymnasium. Come celebrate with us! 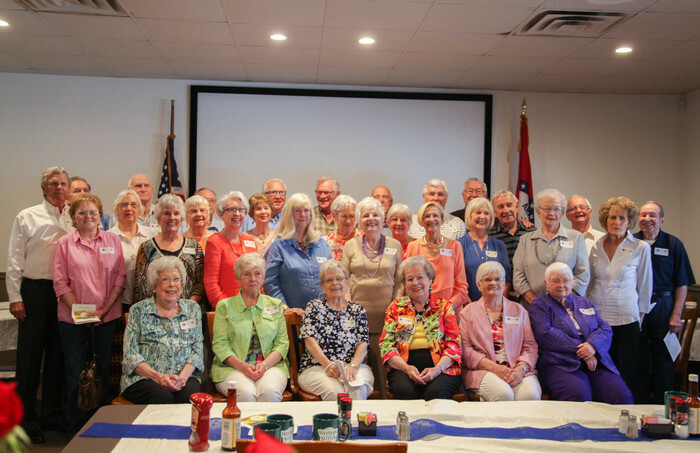 The Arkadelphia High School Class of 1956 celebrated its 60th anniversary today! The Sixth Annual Academic Signing Day is tomorrow, May 18, at 1 p.m. in the AHS gymnasium. Our guest speaker will be Mitch Bettis, president of Arkansas Business Publishing Group. The Sixth Annual Academic Signing Day is one week from today! Please join us. 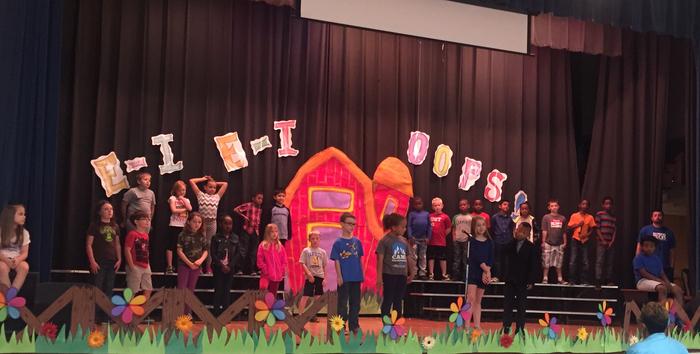 Central Primary's 3rd grade musical, "Hats", will be tomorrow at 1:30 p.m. and 6 p.m.
Don't forget to tune in to KARK 4 News tonight at 10:00 p.m. to watch the Pay-It-Forward segment on Dr. Patricia Wright, director of special programs and Schools of the 21st Century. Goza and AHS Jazz Bands will present their spring concert tonight at 7 p.m. in the AHS Little Theater. Come out and listen to the great concert they have prepared! 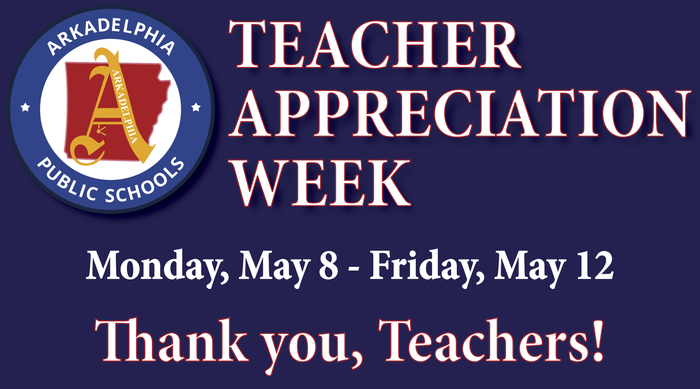 Arkadelphia Public Schools is proud to celebrate our teachers this week. Thank you for your dedication and commitment to our students! We are happy to have Dr. David Bell and the Arkansas Children's Hospital staff at APS today giving dental exams and sealants to students! 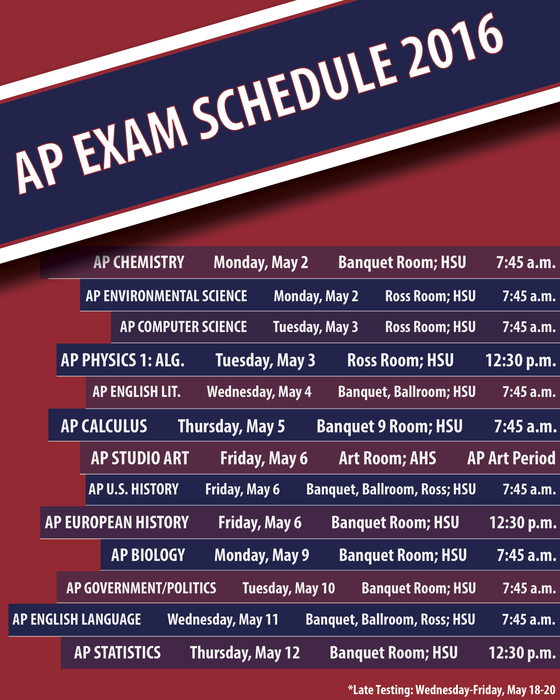 AP test dates are approaching! Here is a list of times and locations. Good luck to our students testing! 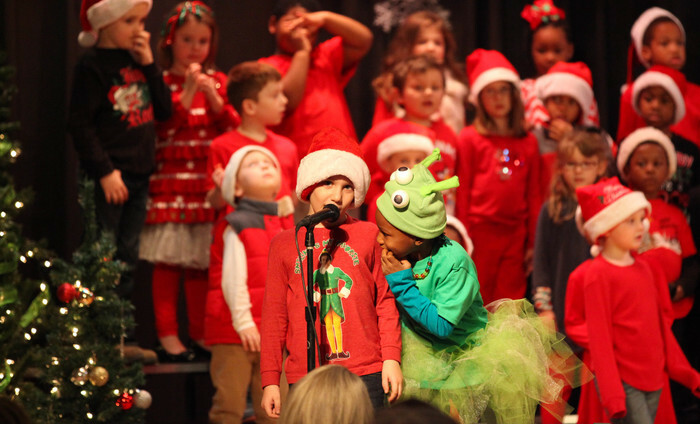 A wonderful performance from Central Primary's 2nd grade students yesterday! Check out the photos on our Facebook. Mark your calendars! AHS Academic Signing Day is coming up soon! Parents do not need to RSVP. 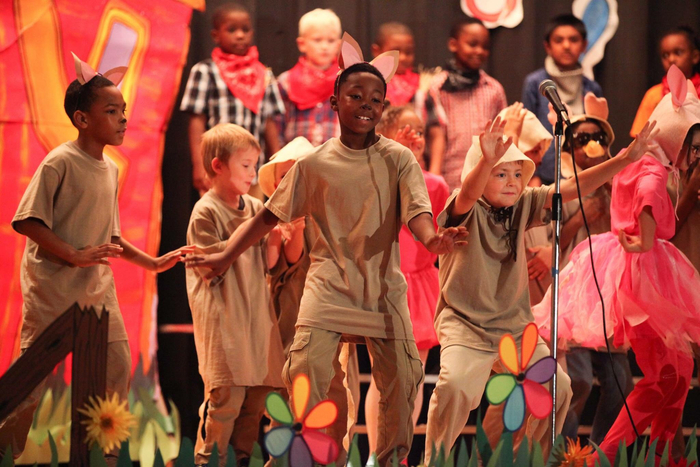 Central Primary students are getting ready for their 2nd grade musical! Productions will be at 1:30 and 6 p.m. tomorrow! Don't miss it. 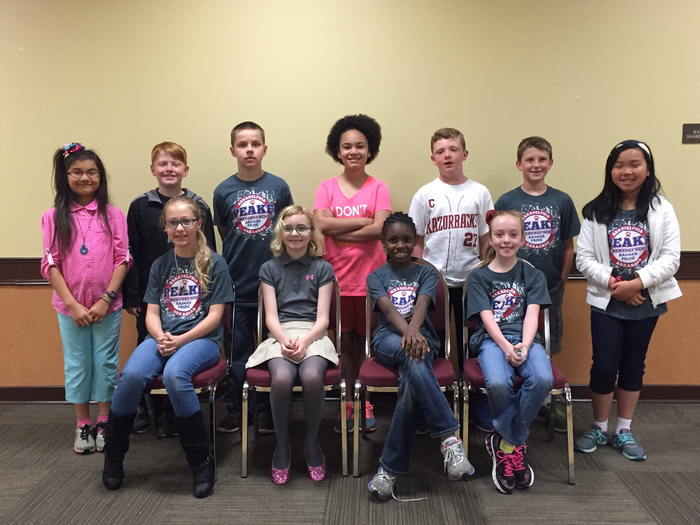 Good luck to the 4th grade quiz bowl team today at their competition! 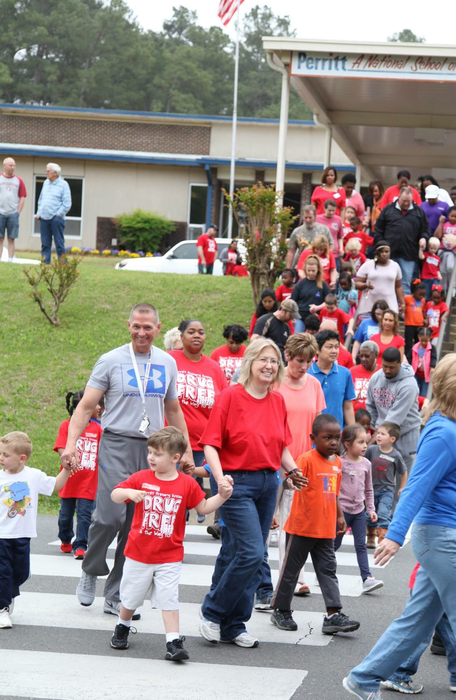 We had a great morning at Perritt's 29th annual drug-free walk! See our photos on Facebook! AHS Quiz Bowl students are in Dover today for the 4A State tournament! Good luck Badgers! 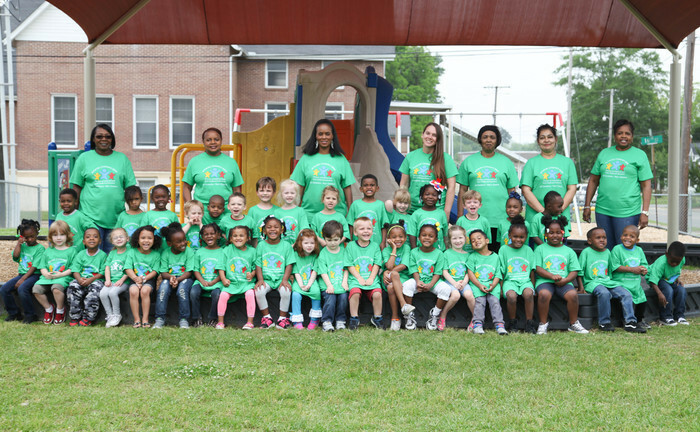 Good morning from Perritt Primary's Pre-K classes! 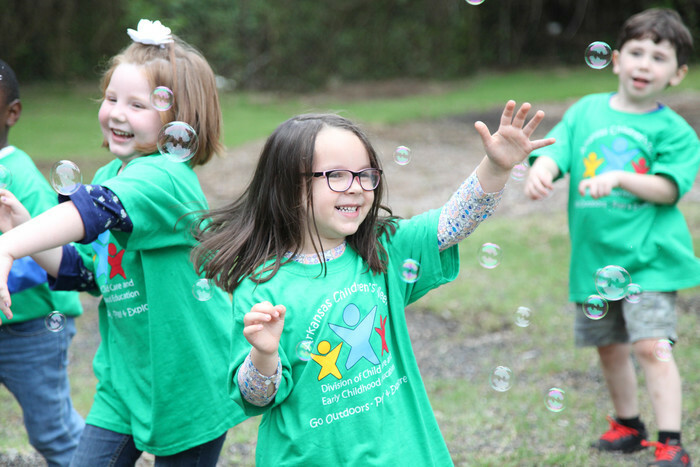 We are excited to celebrate Arkansas Children's Week! Project Prom 2016 is quickly approaching. Help is needed. There will be an informational meeting Tuesday, March 29 at 5:15 at Dawson Cooperative Conference Center. Spread the Word! We hope all of the APSD students have a great and safe spring break! We will see you on March 28! 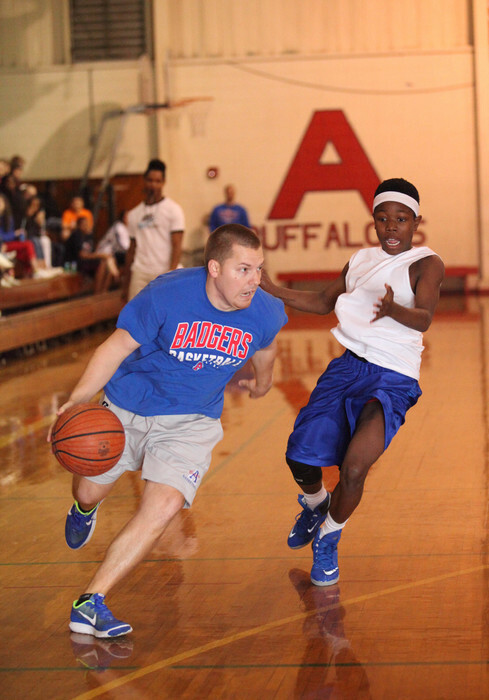 To raise money for Relay for Life, Goza Middle School hosted a students vs. faculty basketball game today! 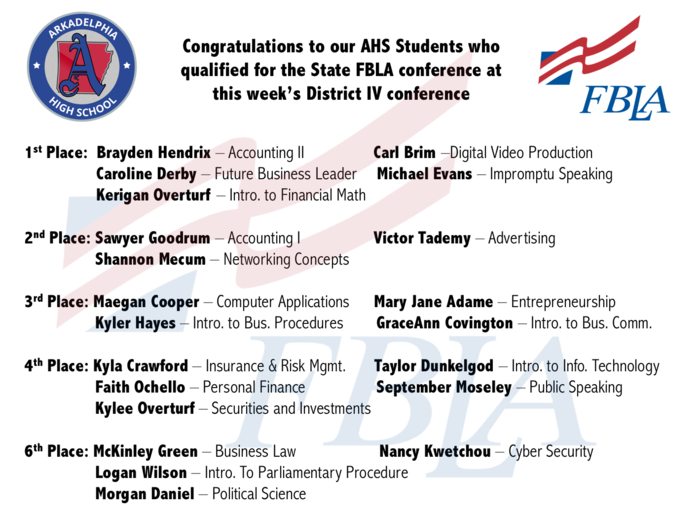 Seven of our AHS students are presenting at #EAST Conference in Hot Springs today! 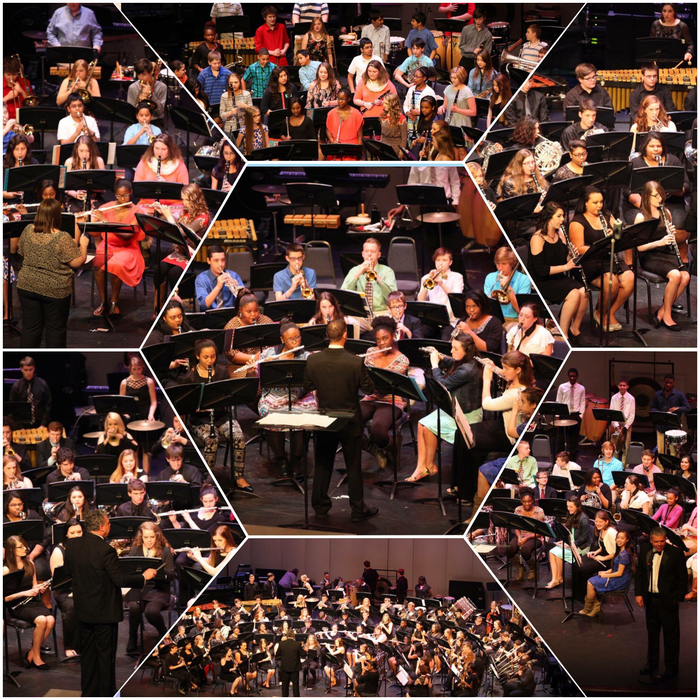 Thank you to everyone who came to support our talented students at the Arkadelphia Bands Winter Concert last night! See more photos on our Facebook. 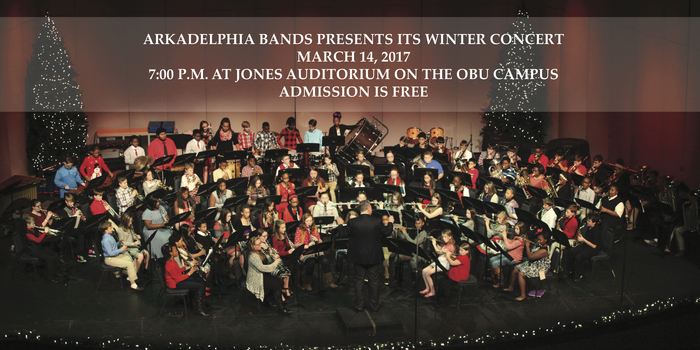 Arkadelphia Bands will perform their winter concert tonight at Jones Auditorium at OBU. The concert begins at 7:00. 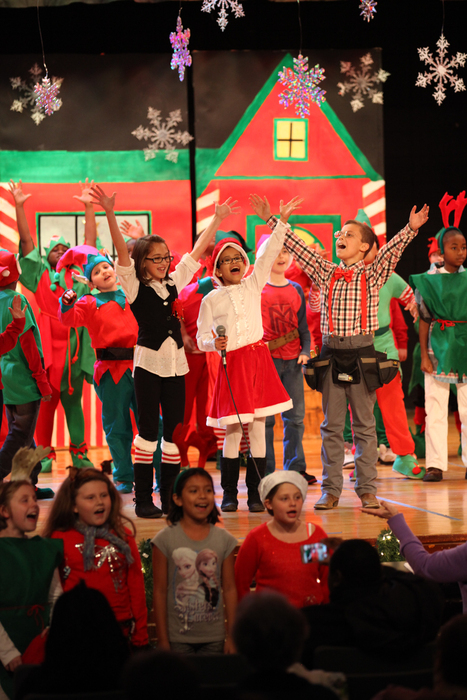 Peake's winter musical, "Mirror Image", will be performed tonight at 6 p.m. for those that couldn't make the first show! 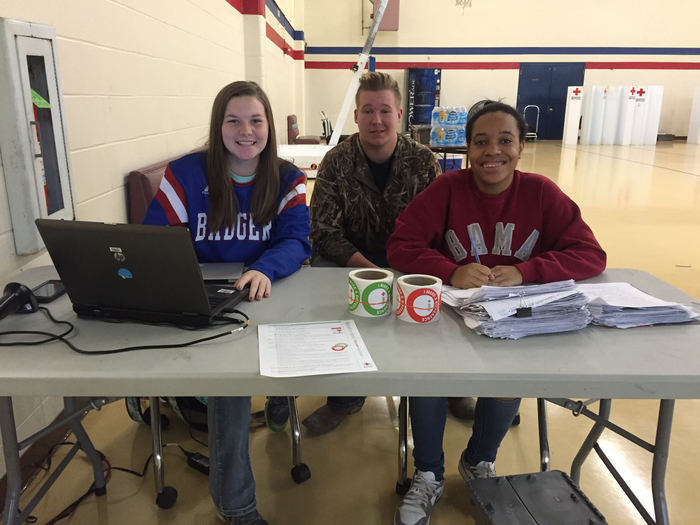 AHS is hosting a Blood Drive today from 9 a.m. to 2:30 p.m. in the Auxiliary Gym! Bring Photo ID if you wish to participate. 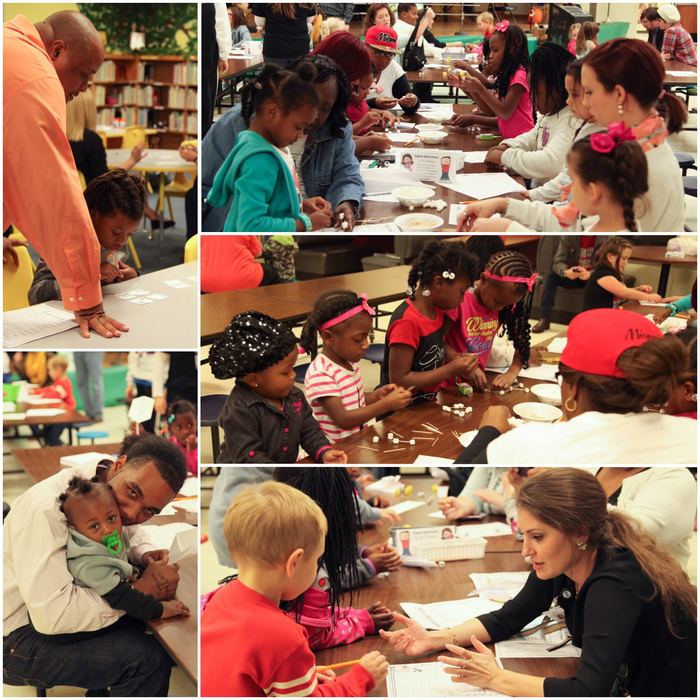 Thank you to all the volunteers and families that came to Perritt Pre-K Family Night last night! We had a great time! 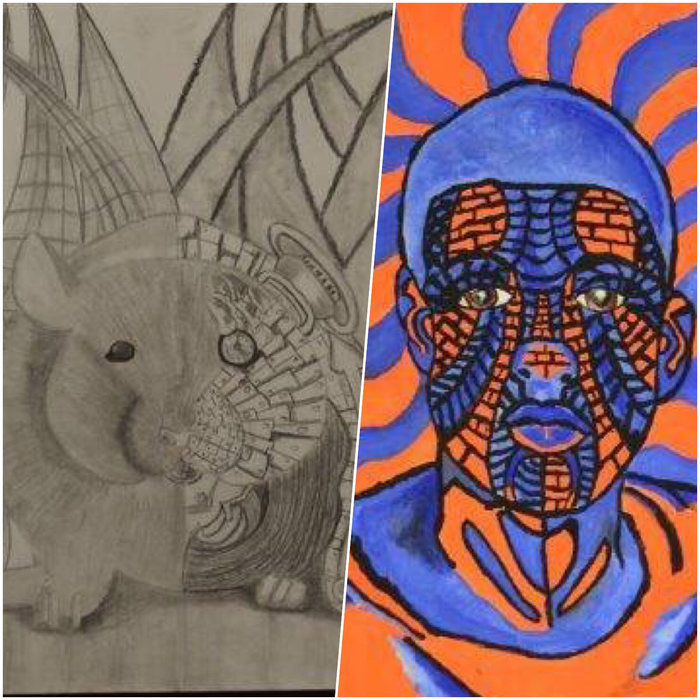 Congratulations to Goza Middle School artists, Terrell and Benny, for the art work that will be judged for possible entry into the Young Arkansas Artist competition. 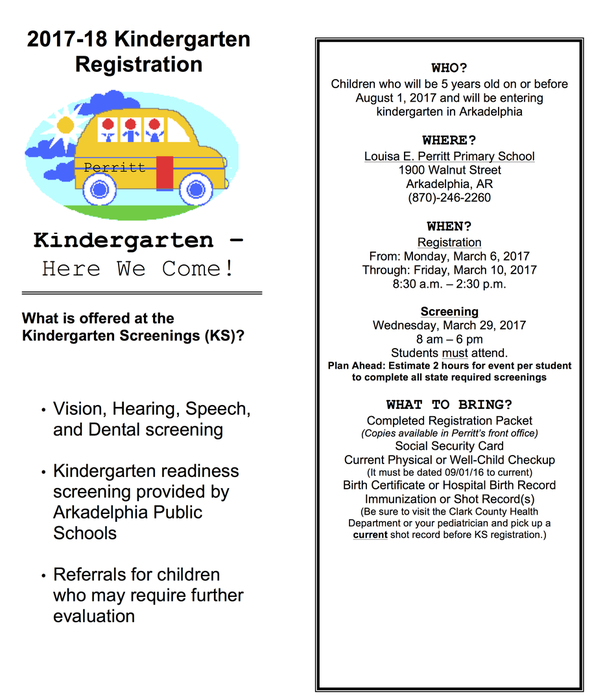 The 2016-2017 Kindergarten Registration and Round Up is right around the corner! Parent-Teacher Conferences will be held today from 2 - 7 p.m. We hope to see you there! The Winter Voice is here, and we are excited! 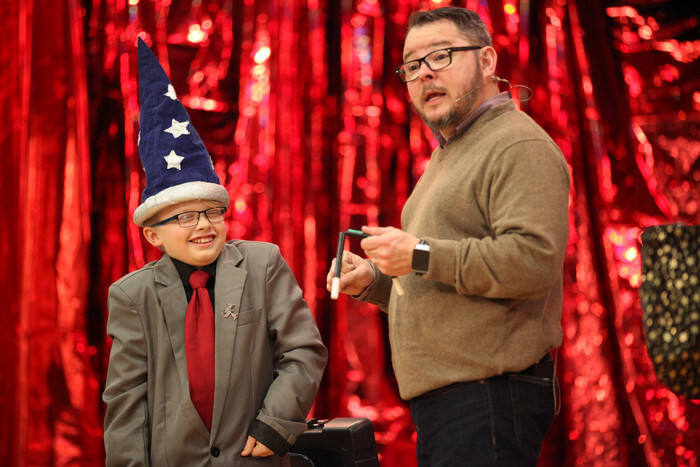 Get your copy at Parent-Teacher Conferences tomorrow from 2-7 p.m.
Congratulations to Mason Archer and the 2016 King of Hearts! Miss Project Prom is tomorrow! Get your tickets for this entertaining event. 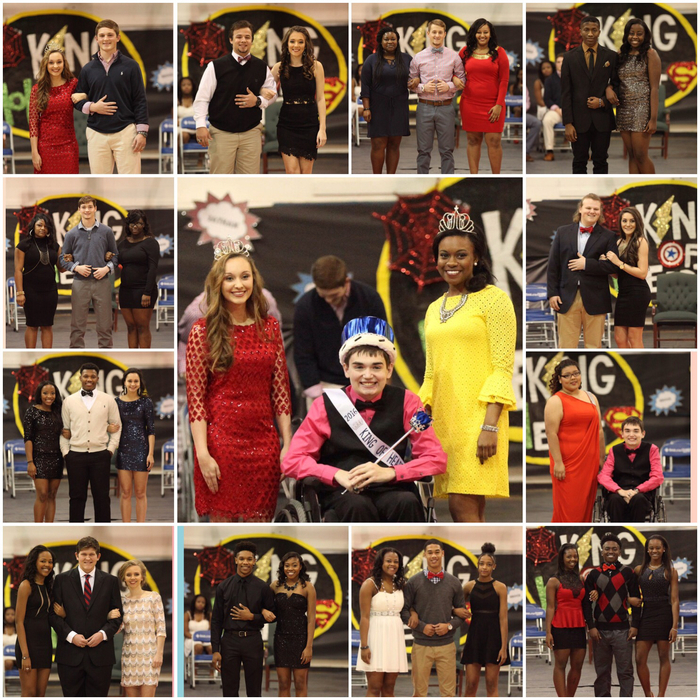 King of Hearts begins at 9:30 a.m. in the AHS gym! Senior Night begins at 5 p.m vs. Mena. Come out & support the Badgers! 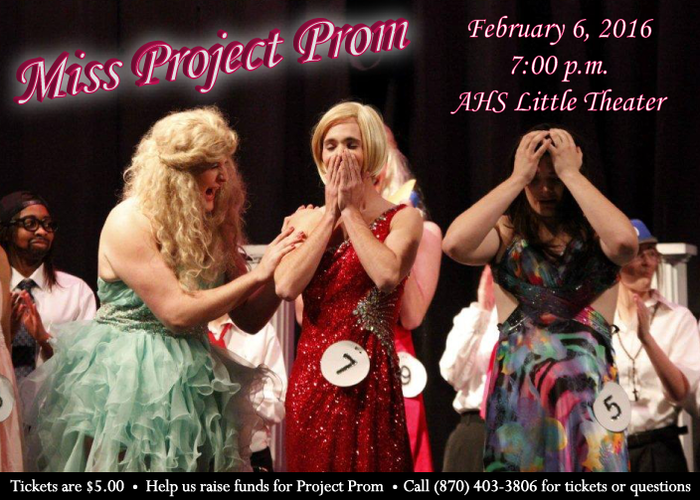 Don't forget: Miss Project Prom this Saturday! Be sure to get your tickets! Congratulations to three football Badgers, Brannon Rogers, Bailey Goza and Jeff Blake on signing today! It's National School Counseling Week! 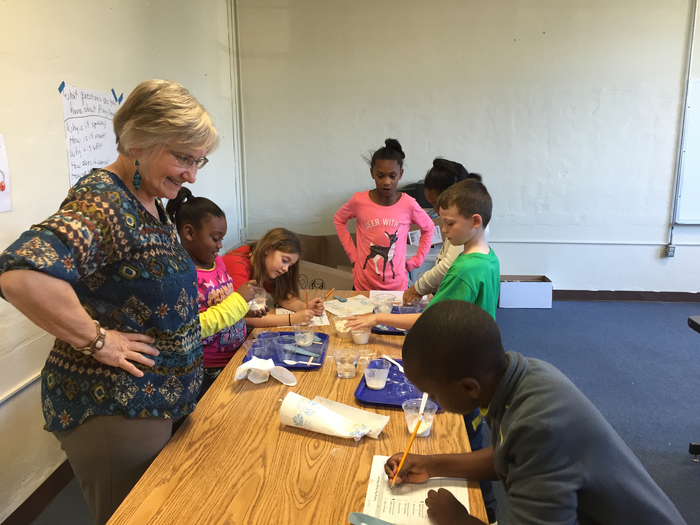 Central students, with help from HSU STEM Director Betty Ramsey, are experimenting and learning how to make playdough today! 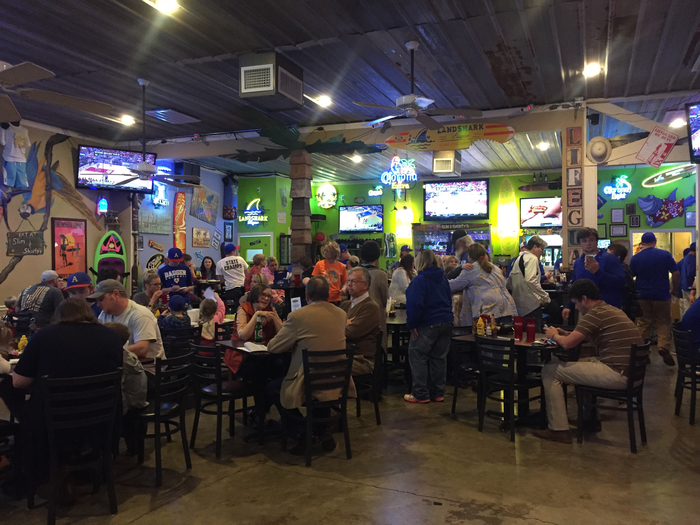 It's a packed house at Slim & Shorty's! Be sure to come by and support Badger baseball. Tomorrow is the day! 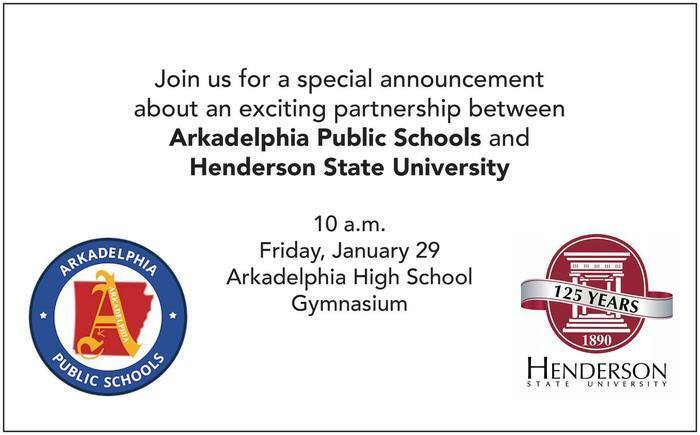 APSD and Henderson State University will announce an exciting partnership. Please join us at 10 a.m. It's almost time for Miss Project Prom! 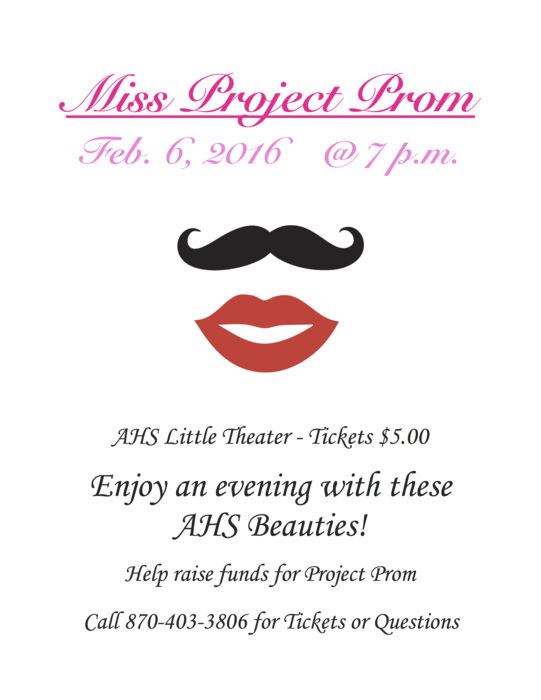 Come cheer on our beautiful participants and help us raise money for Project Prom 2016. 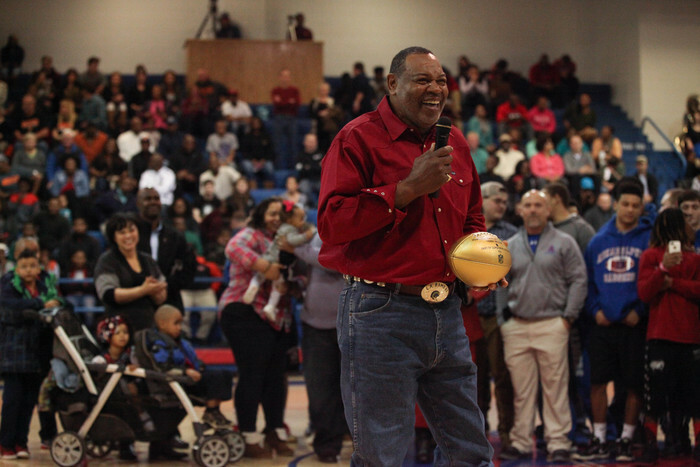 APSD was proud to recognize Terry Nelson, Peake HS alum & former Los Angeles Rams tight end, at last night's game. 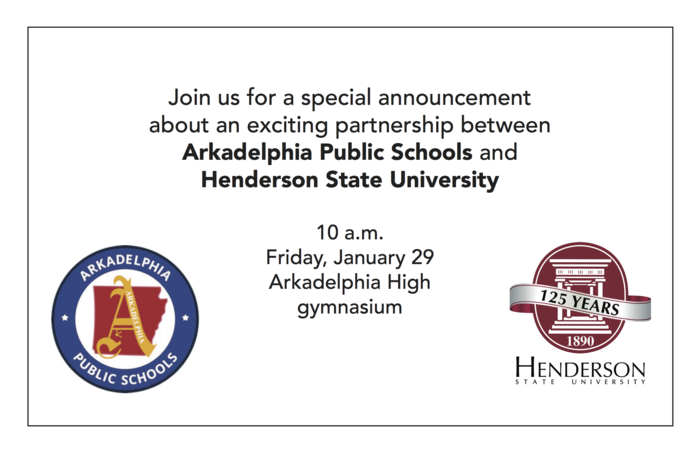 APSD is excited about a new partnership with Henderson State University! Please join us! Members of the Arkadelphia Association of Educational Office Professionals (AAEOP) are taking donations for the Humane Society! 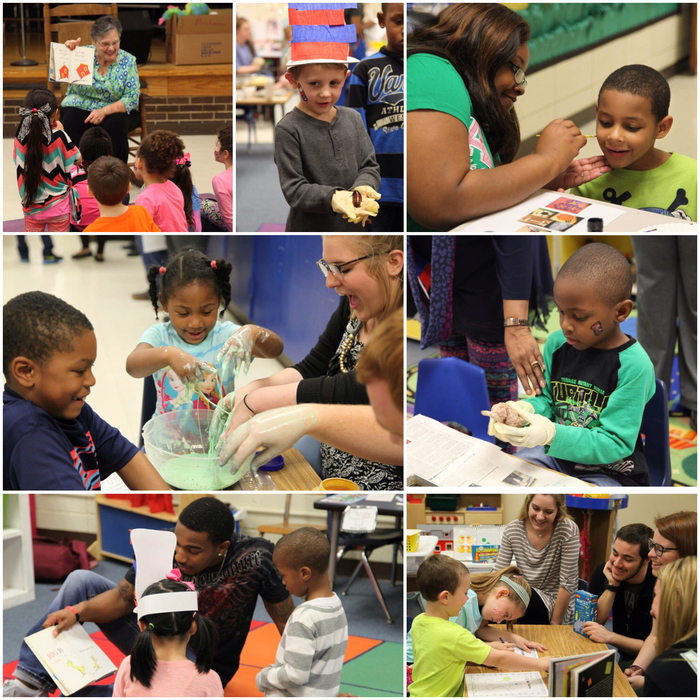 Thank you to everyone who participated in Family Night at Central Primary last night! We hope everyone had a great time! Thank you to Jason Jones and Vicki Taylor from HSU for speaking to students/parents about the Arkadelphia Promise and Financial Aid tonight. 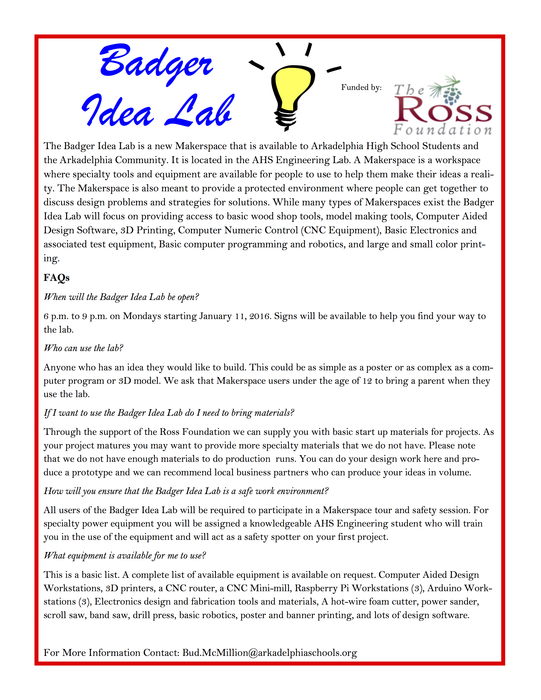 You still have time to drop by AHS to get a tour of the Badger Idea Lab! Open to the public until 9 p.m. 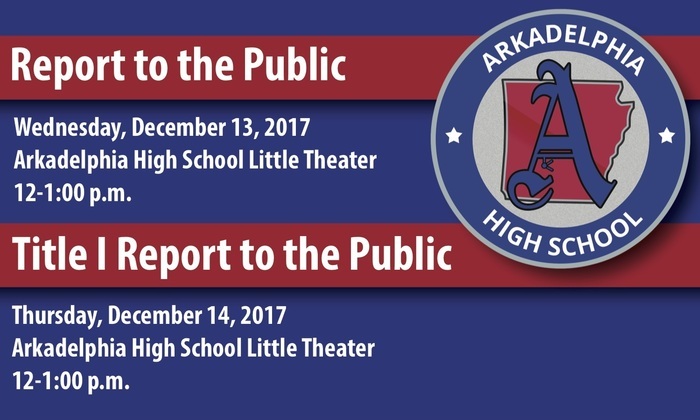 Reminder: Arkadelphia Promise and College Financial Aid meeting tomorrow, Jan. 11, at 6 p.m. in the AHS Little Theater. Parents and students are encouraged to attend. 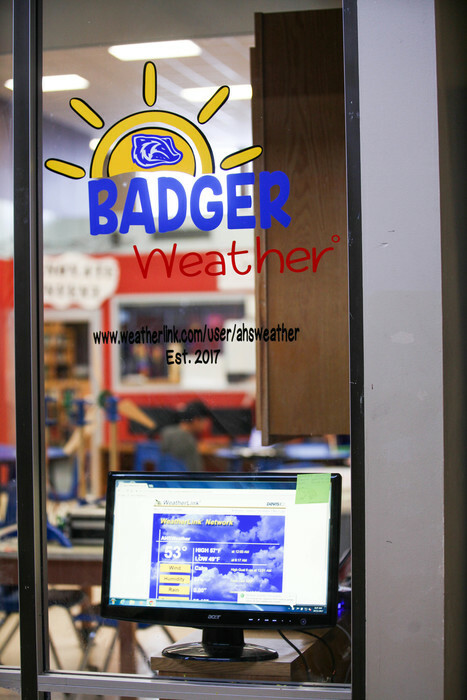 The Badger Idea Lab will open Monday, Jan. 11th. Tours will be given from 6 p.m. to 9 p.m. Come check it out! There's no better way to start the day at Perritt Primary than a visit from SANTA! 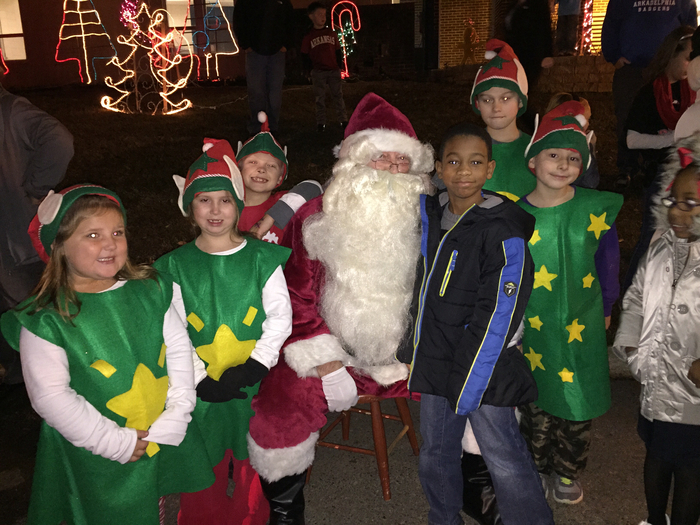 Santa will be at Perritt Primary until 7:00 p.m. Be sure to stop by and see him! 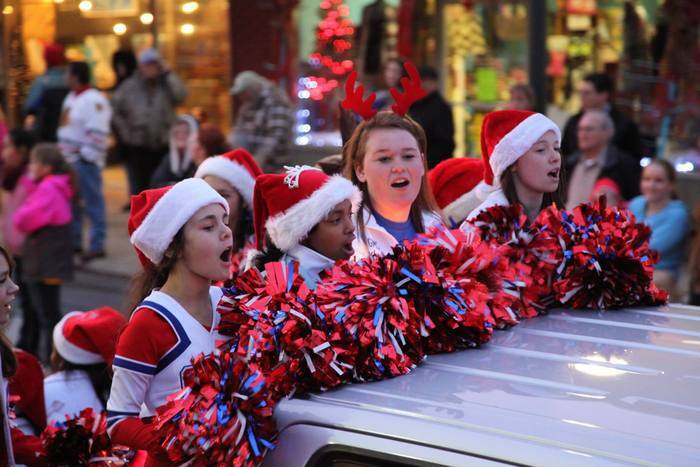 Central's Christmas musical photos are up on our Facebook, so be sure to take a look! Happy Holidays! Celebrate the holidays with APS! 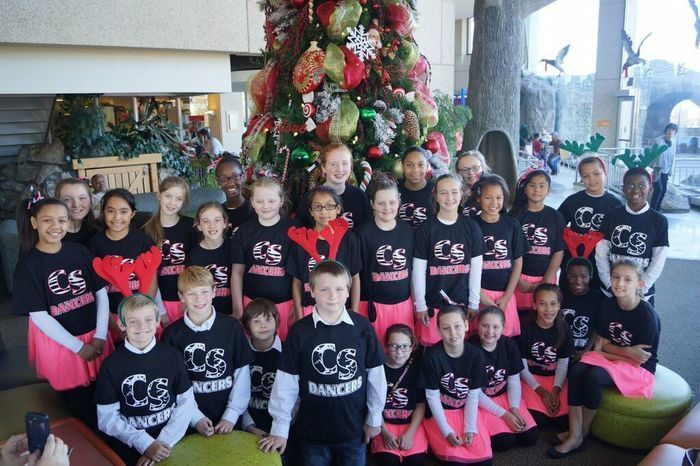 Peake Choir at the State Capital 11 AM, Central Musical 1:30 & 6 PM, and Perritt Extravaganza 6 PM. 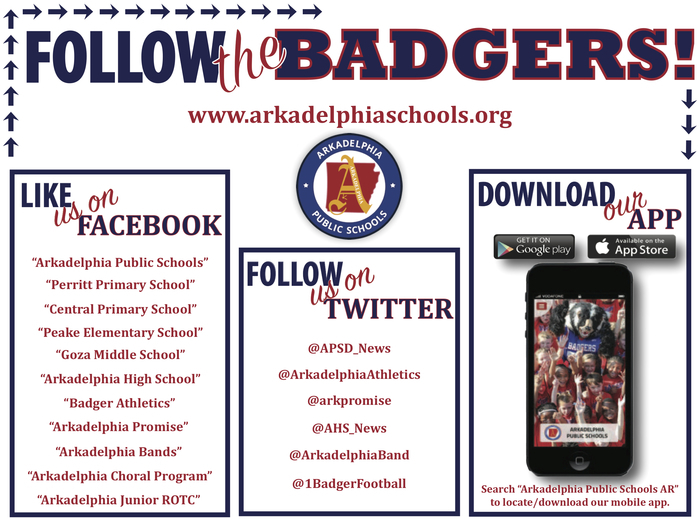 Follow "Arkadelphia Public Schools" on Facebook to see all of our photos from the APS Band Christmas Concert. An outstanding performance from our 7th and 8th grade bands tonight! Next up, AHS Band! 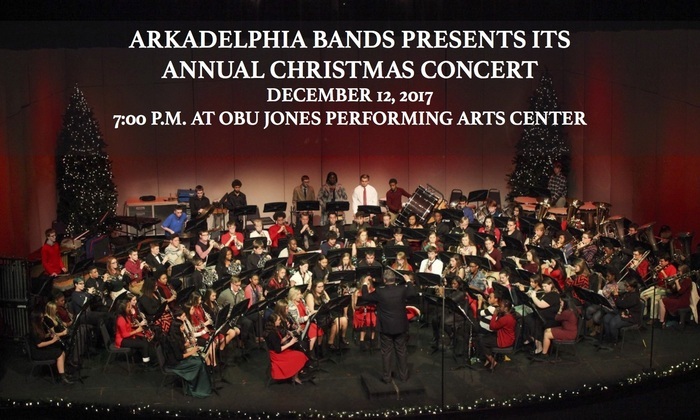 The AHS and Goza bands will present a Christmas Concert tonight at 7:00 at Jones Auditorium on the Campus of Ouachita Baptist University. 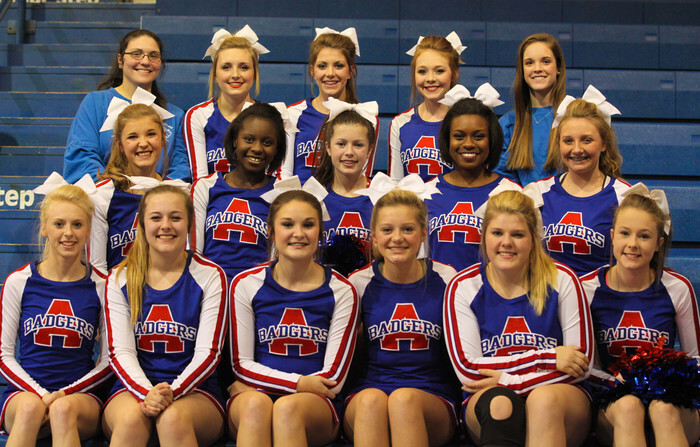 Congratulations to AHS Cheer on an outstanding performance and placing second in their division at yesterday's competition! Congratulations to the AHS Jazz Band on a wonderful performance last night! 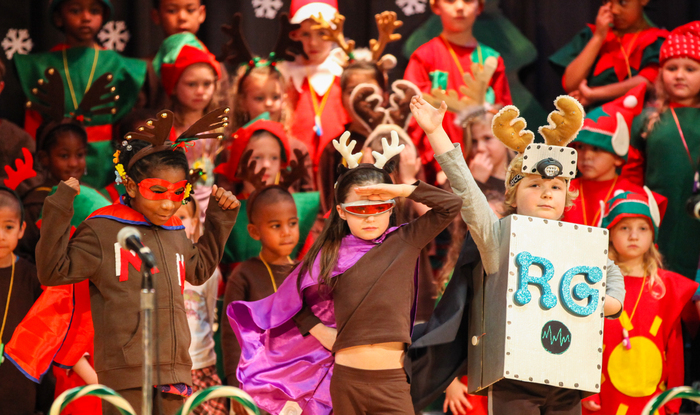 Check out the photos from Perritt Primary's "A Martian Christmas" on our Facebook. What a great performance! Congratulations to Becky Morgan's AP Environmental students, Madison House, Kayla Goshen and Heather Jester, on their Storm Drain Presentation at the City Board meeting tonight. Wonderful job! 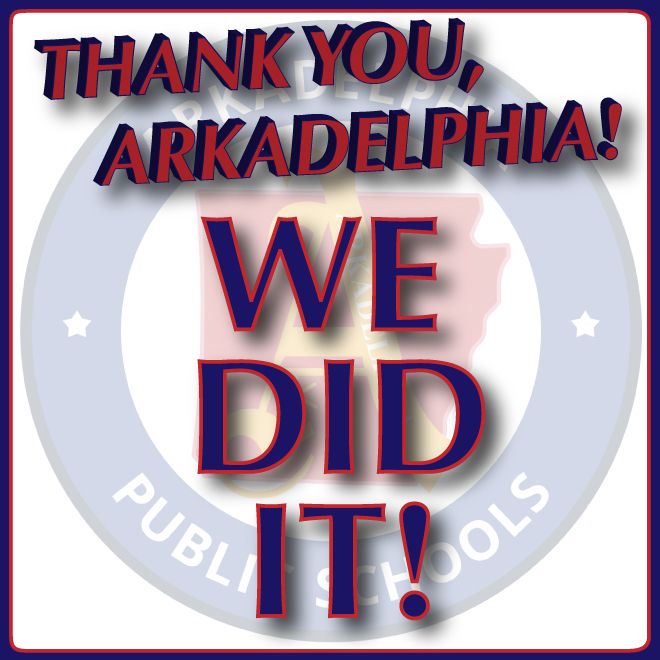 The Arkadelphia Badgers are going to the state semifinals after a 21-14 victory over Dardanelle! 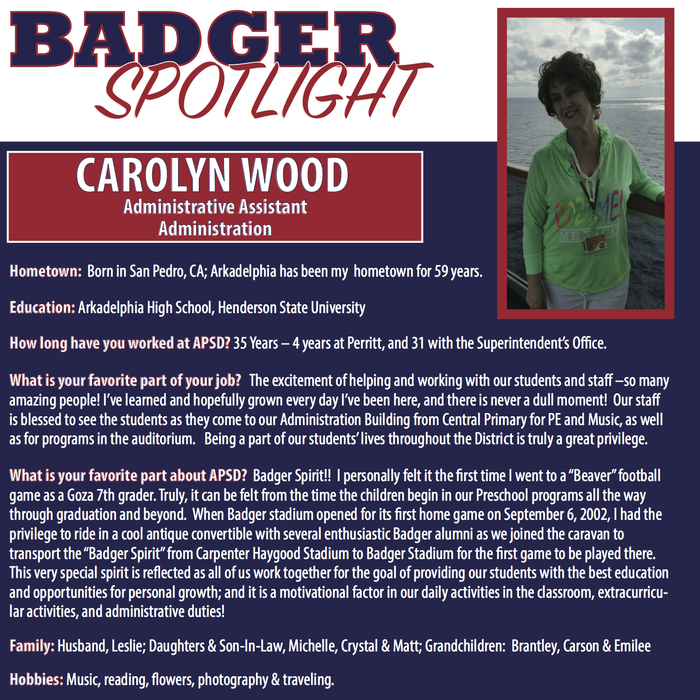 Congratulations to our Badgers! 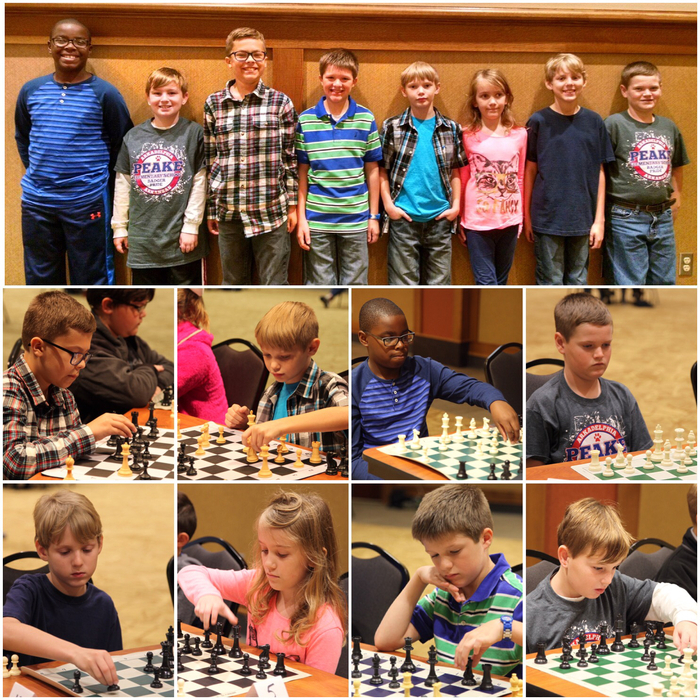 Congratulations to the Peake students that participated in the chess tournament today at Henderson. You all did great! 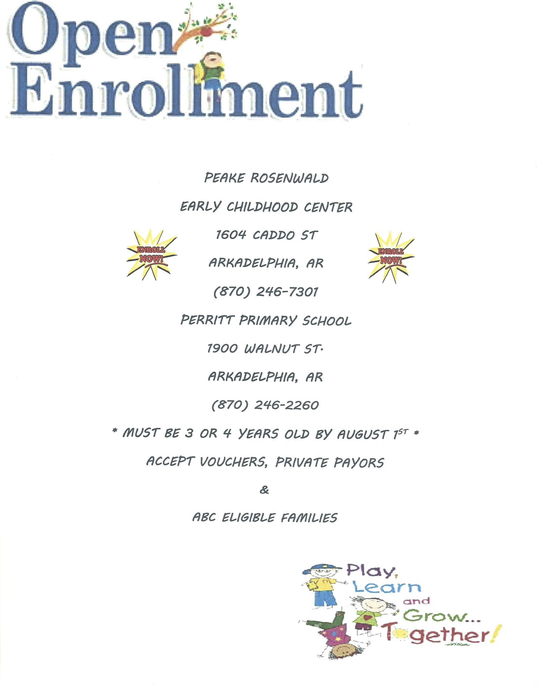 Open Enrollment is now available for the Early Childhood Center, Peake Rosenwald and Perritt Primary! 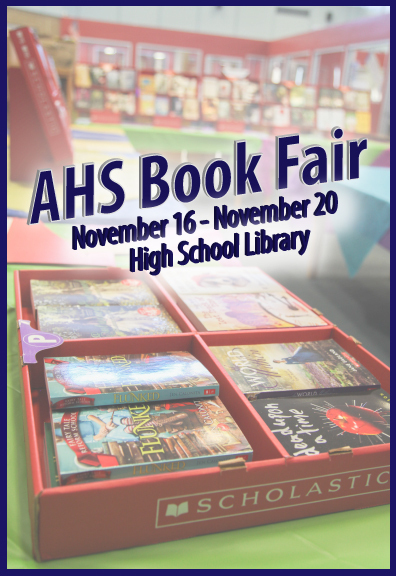 Mr. Sivils is busy getting prepared for the AHS Book Fair next week. Don't forget to stop by and look at all of the great selections! 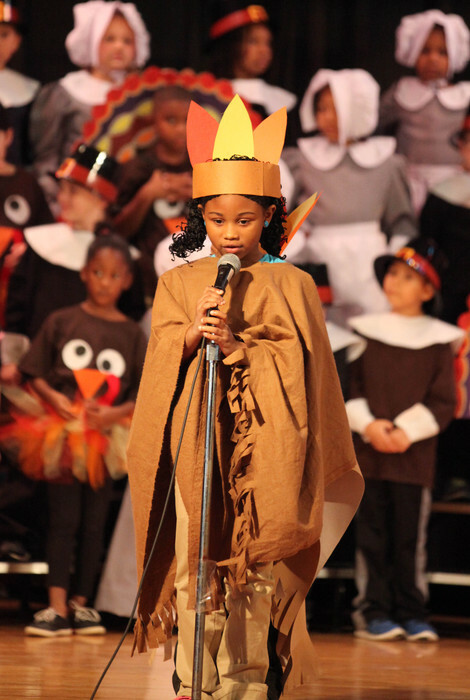 Don't miss Perritt Primary's "Three Cheers for Thanksgiving!" production tonight at 6:00 p.m. 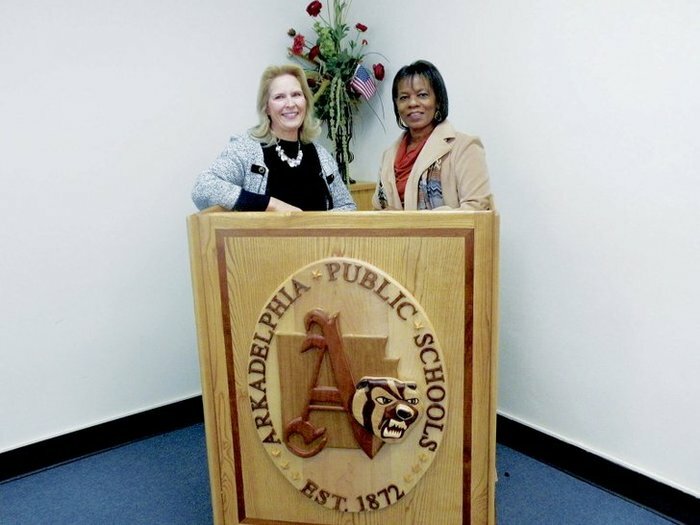 Follow "Arkadelphia Public Schools" on Facebook to see photos from Central Primary's Veterans Day Assembly! 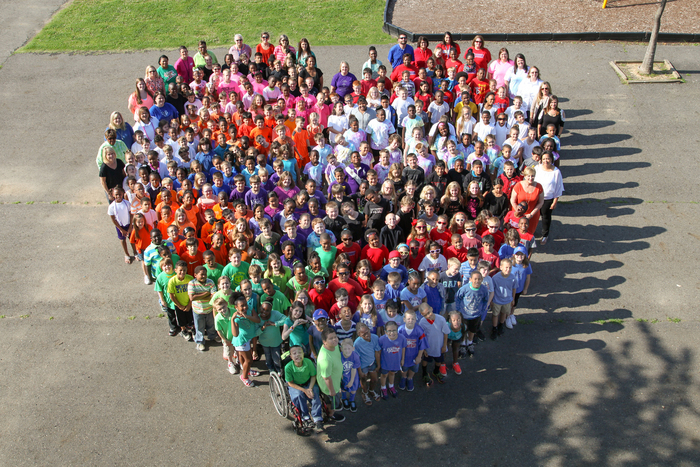 Central kicks off the Jump Rope For Heart fundraiser this week. 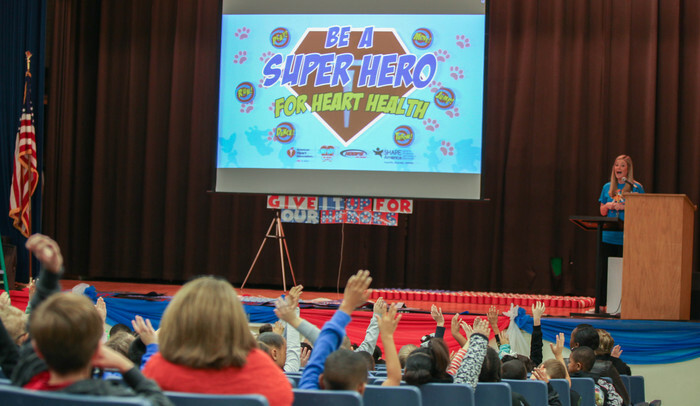 Students will be raising money for the American Heart Association in order to save lives and promote healthy living. 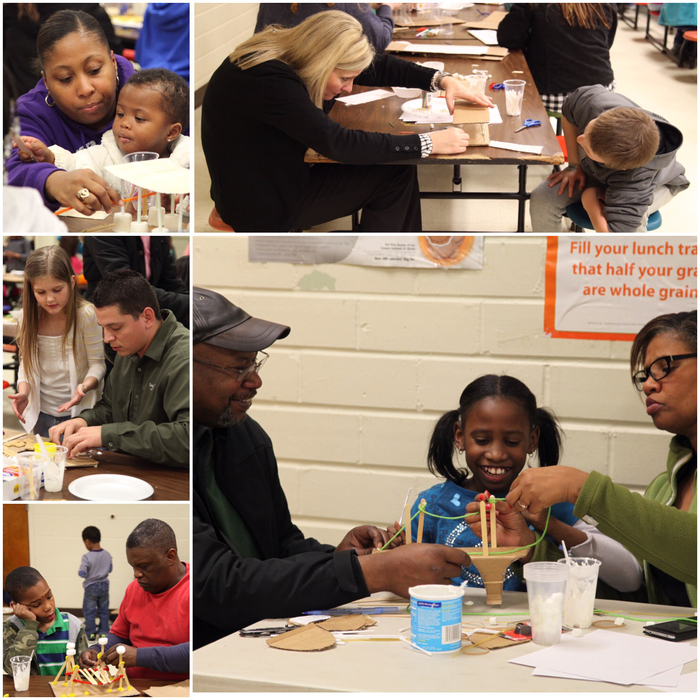 Perritt's Family Night was a success! Thank you to all of the families that participated last night. 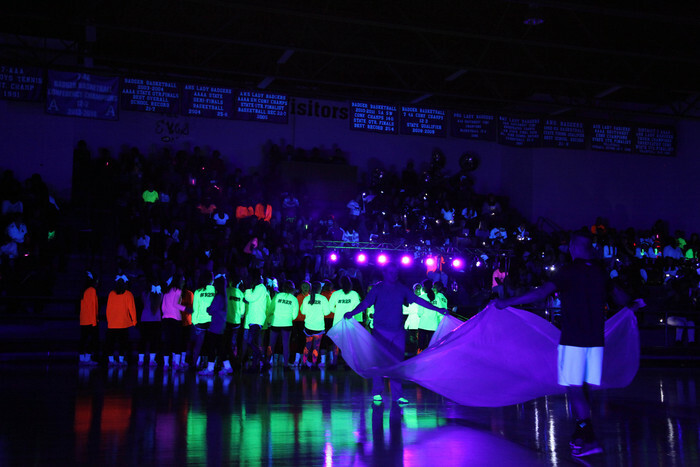 There's no better way to kick off Senior Night than a black light pep rally! Go Badgers! We hope to see you before the game at the Reddie tailgate! Free food and prizes! Thank you to Southern Bancorp and Aramark for sponsoring. We hope to see YOU at tonight's game! 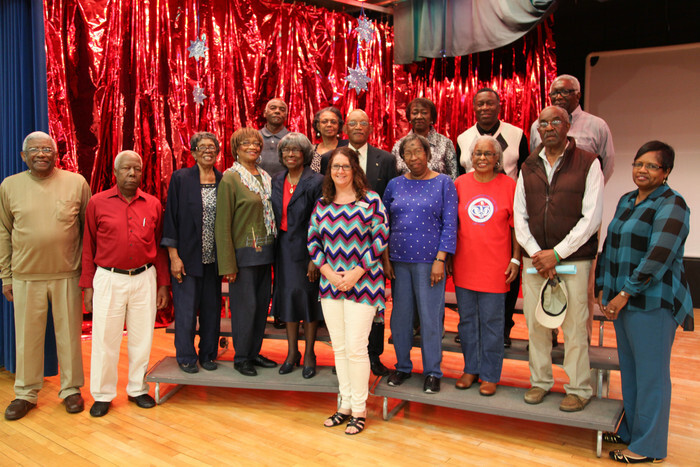 We would like to thank the Peake Alumni Foundation, Guest Speaker Ida Harris and Principal Nikki Thomas for celebrating Peake history with our students today on Mr. J. Ed Peake Day. The Senior Cone Foundation is busy deliberating community and school grants today! 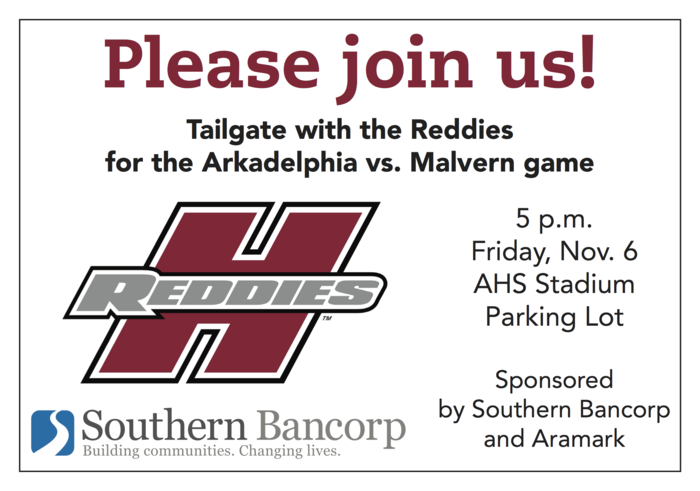 Come tailgate with the Reddies and enjoy free food and prizes! Thank you to the sponsors, Southern Bancorp and Aramark! Congratulations to Jarrett Bell, Anderson Jones, Sydney Motl, Josh Motl, James Daniel, Madison Morris and Lily Kesterson on selling at least 10 poinsettias in the Goza PATHS Living Color Fundraiser! What a great day at Perritt Primary School! Congratulations to all of our students who received awards yesterday. Thank you to the HSU Athletes for coming to speak with Peake students this morning about remaining drug-free! 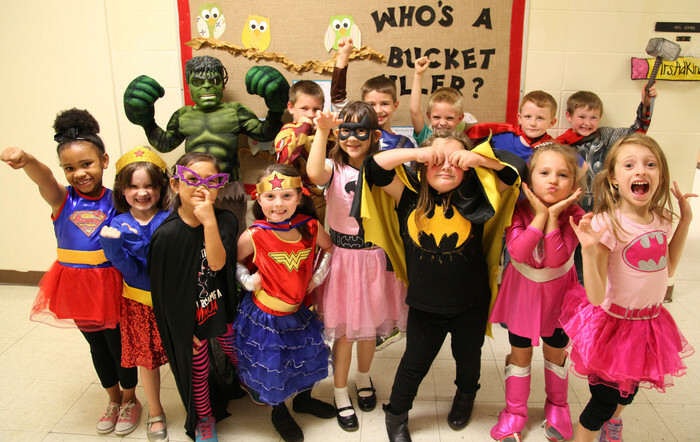 Today is "Team Up Against Drugs" day at Peake, where each class chooses a theme. 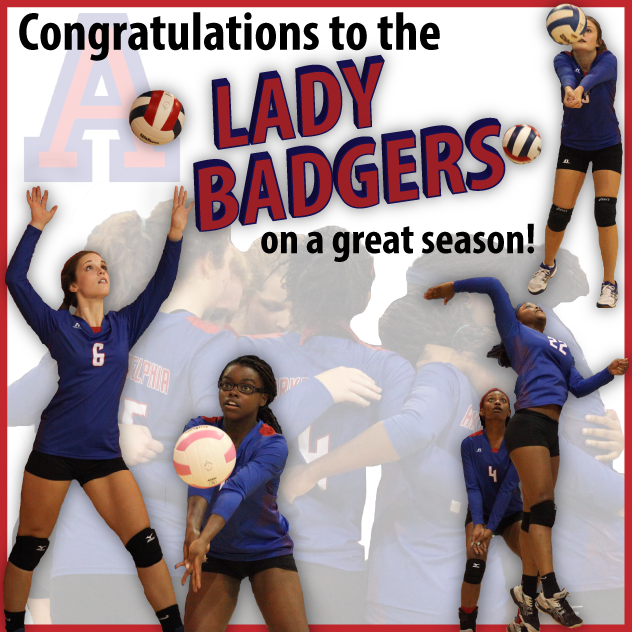 Congratulations to the Lady Badgers on their great season! 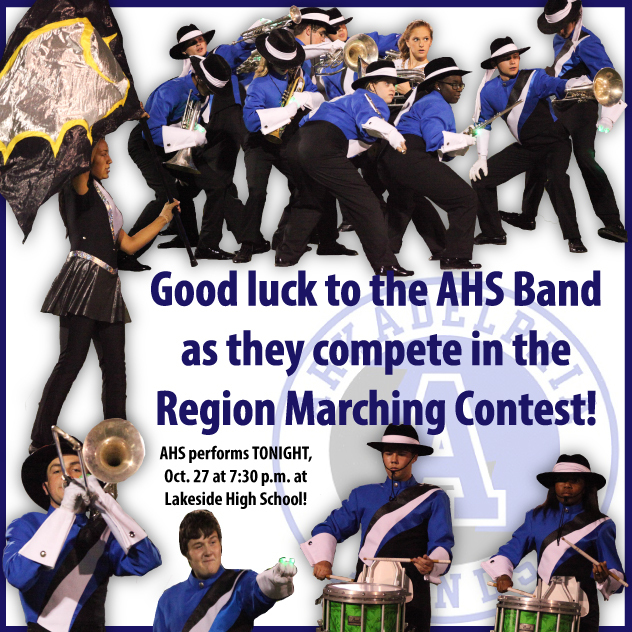 Good luck to the Badger Pride Marching Band as they compete in the Region Marching Contest at 7:30 p.m. at Lakeside tonight! Don't forget! Parent-Teacher Conferences are today from 2:00 p.m. until 7:00 p.m. Please make plans to attend. Perritt celebrated Jumpstart's 10th anniversary of Read for the Record on October 21 by reading Not Norman: A Goldfish Story, written by Kelly Bennett and illustrated by Noah Jones. 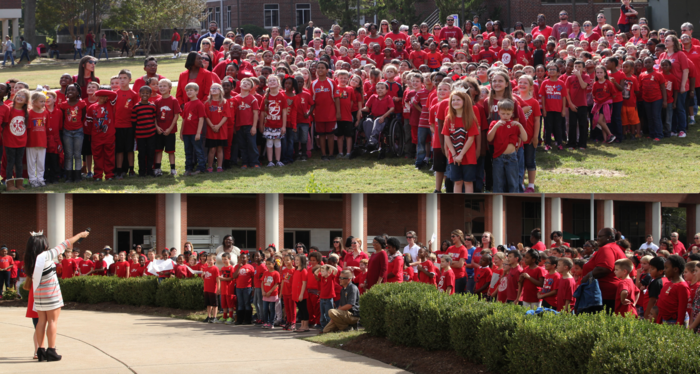 Central Primary had a great afternoon ending Red Ribbon Week with their Drug-Free walk to Henderson's campus. 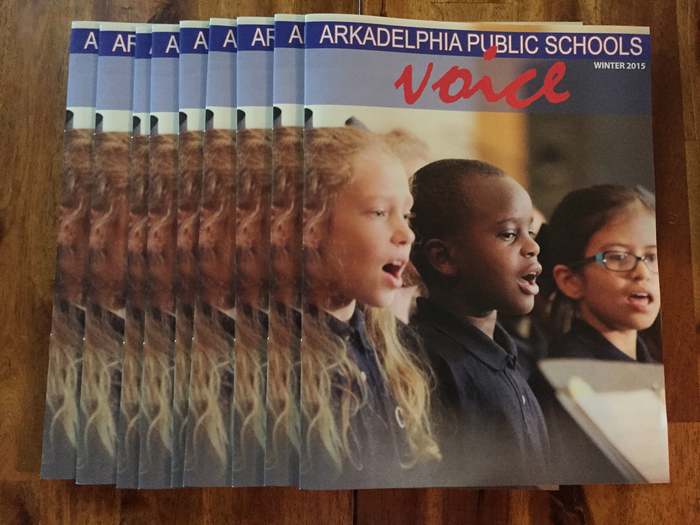 The Fall 2015 Voice is here! Get your copy at Parent-Teacher Conferences tomorrow. Congratulations to our 2015 Teachers of the Year! 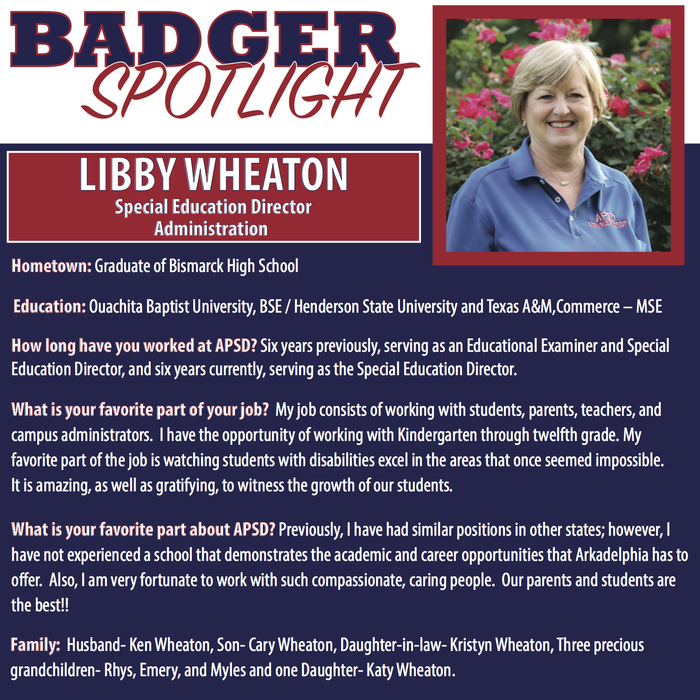 Thank you for your dedication to our students. 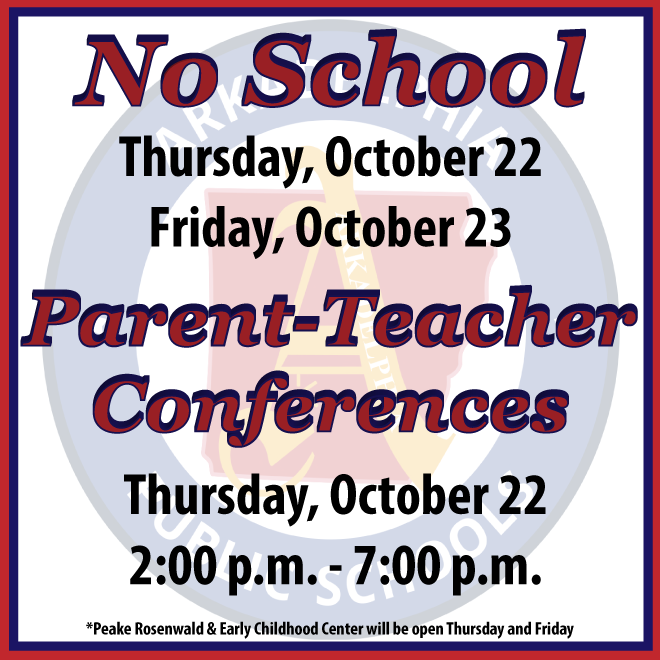 Reminder: Parent-Teacher Conferences on Thursday & no school on Thursday or Friday! 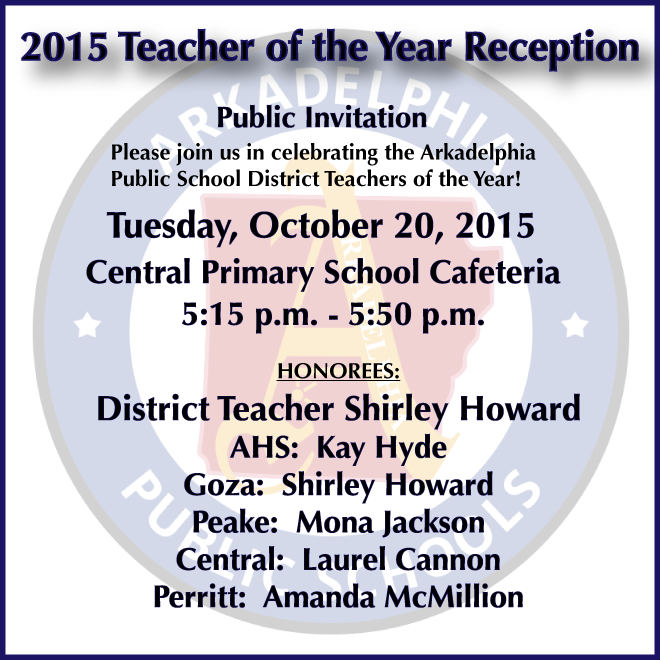 Come celebrate the 2015 Teachers of the Year with us tonight. 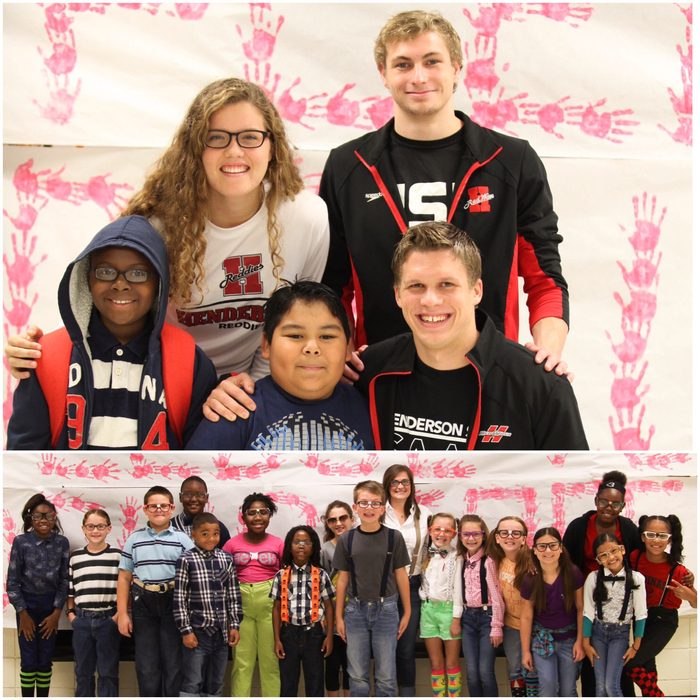 It's Red Ribbon Week at APSD! 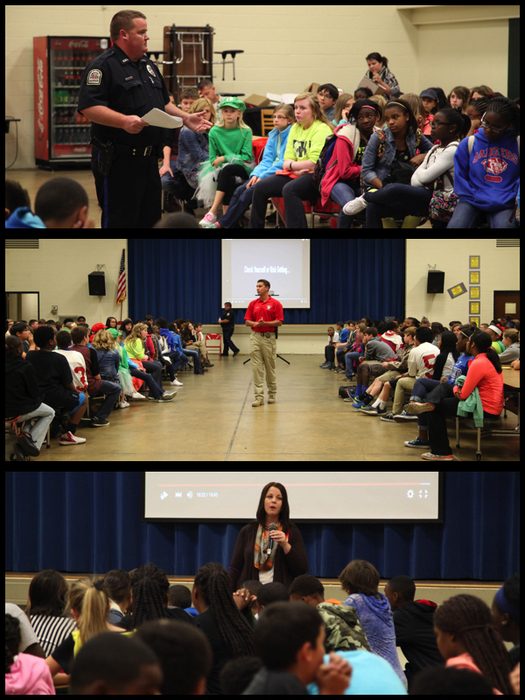 Thank you to Officer Dewayne Ward, Dusty Welch and Brandi Cotton for speaking with Goza students today. Thank you to all the participants involved in the AHS Career and College Fair this morning! We are happy to have all of you on our campus. 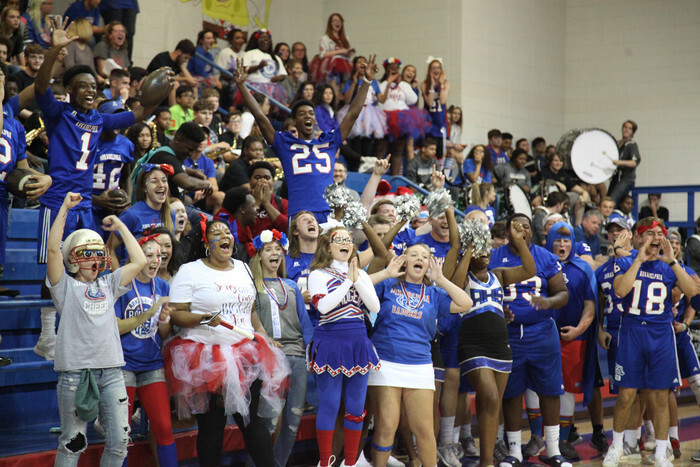 Tomorrow is Homecoming 2015! There are several exciting events going on. Share with a friend and don't miss out! Parents, the attached letter is going home in communication folders this week. 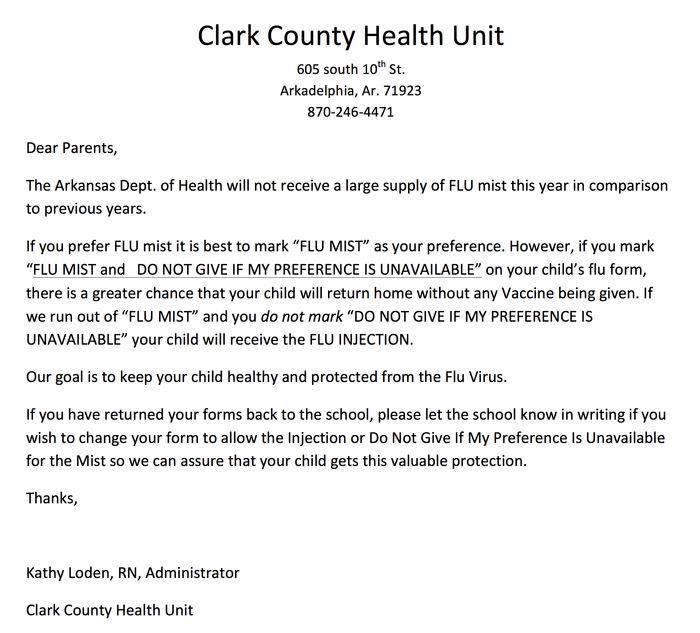 Please watch for the letter and let your school know in writing if you need to make any changes to your flu form. The Senior Advisory Group is busy planning the upcoming AHS Homecoming Dance! The dance will be Friday, October 9th in the AHS cafeteria right after the football game. $5 for couples. $3 for singles. 8th grade students, Visente and Alex, are working hard this morning at Goza Middle School with the help of our District Teacher of the Year, Ms. Shirley Howard. 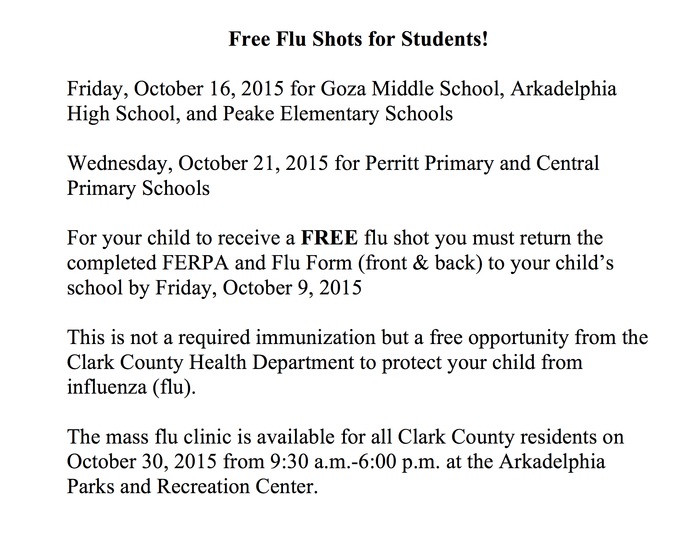 FREE Flu Shots for Students! 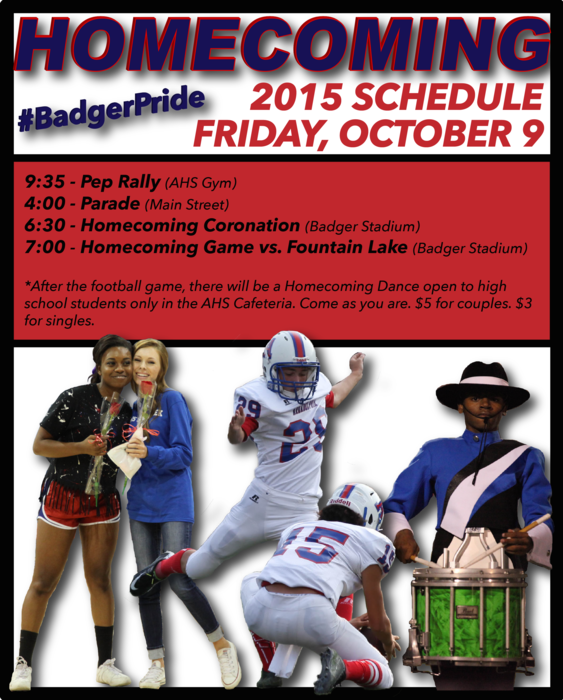 Come out and show your Badger Pride tonight. 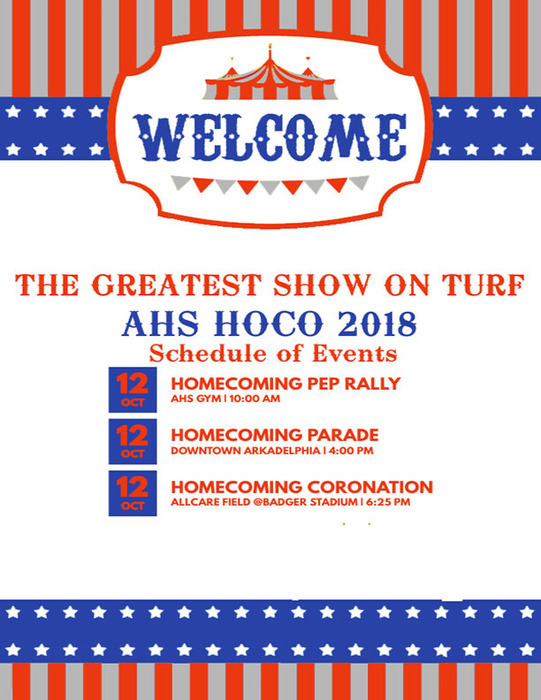 The Fall Festival starts at 4:30 in the back parking lot of AHS, and kickoff against the Nashville Scrappers is at 7:00! Go Badgers! 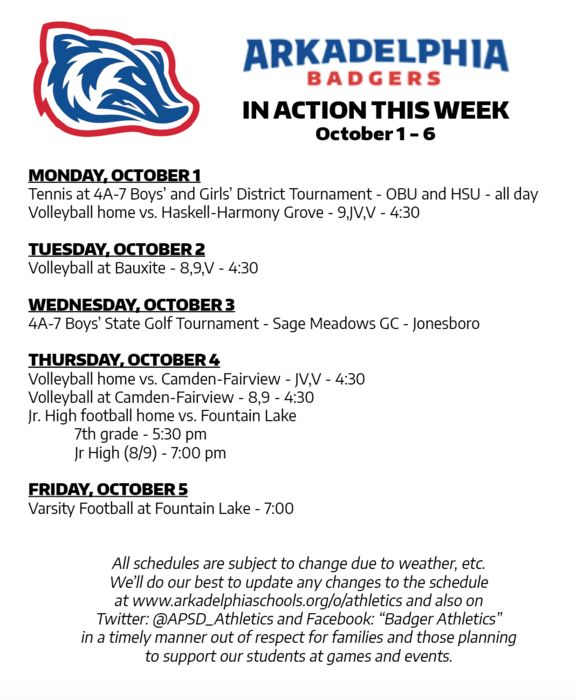 Come out and support the Badgers as they host Hot Springs! 7 p.m. GO BADGERS! 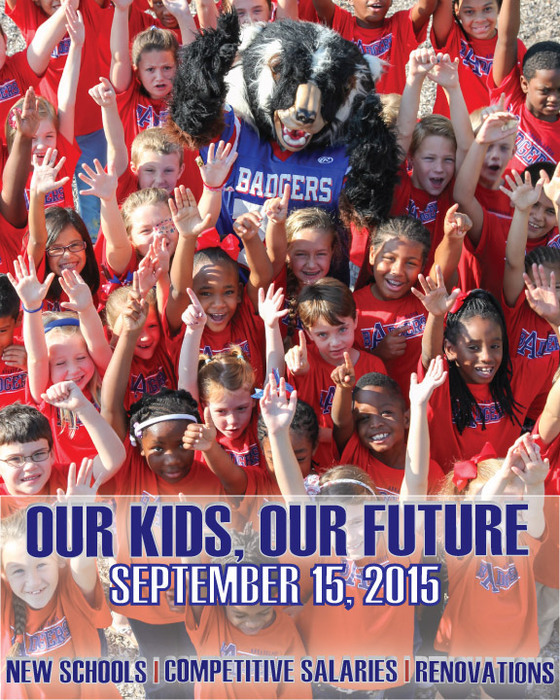 REMINDER: The Annual School Election is set for September 15 at the Arkadelphia Recreation Center. Early Voting is underway. 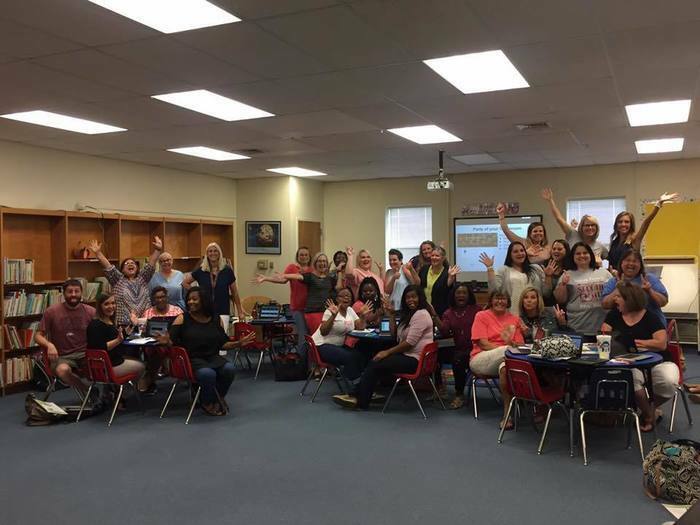 We had a GREAT first day at Arkadelphia Public Schools! REMINDER! Lady Badger volleyball fundraiser at Chicken Express tonight from 6-8 on your way to Jr/Sr Open House or to watch FB practice! 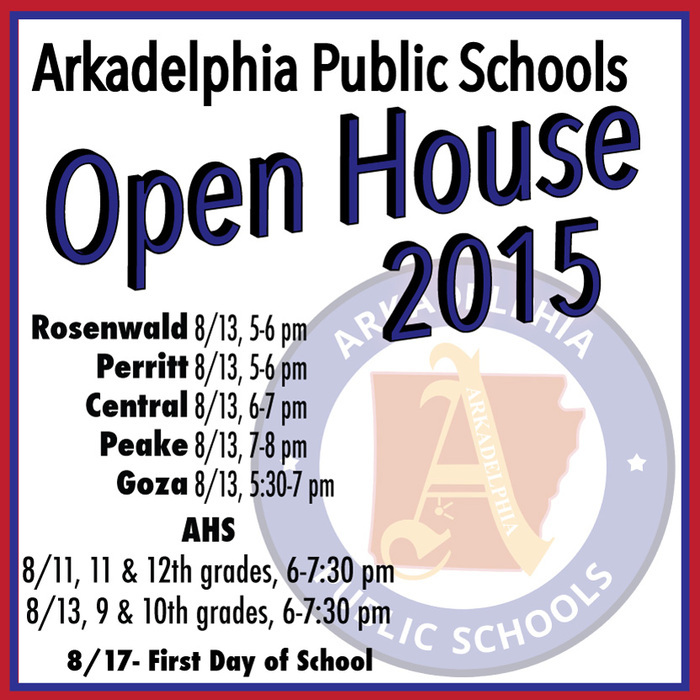 APS Open House 2015 dates and times announced. See photo for details. 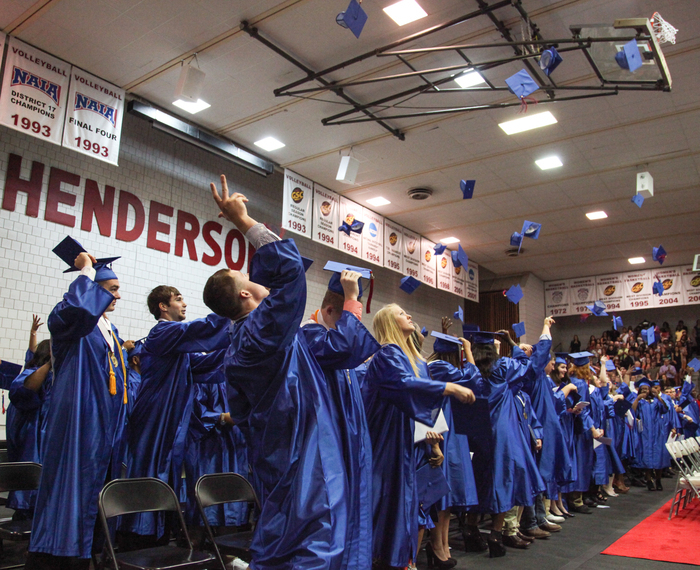 Congratulations AHS Class of 2015! We wish you the best in all of your future endeavors!! 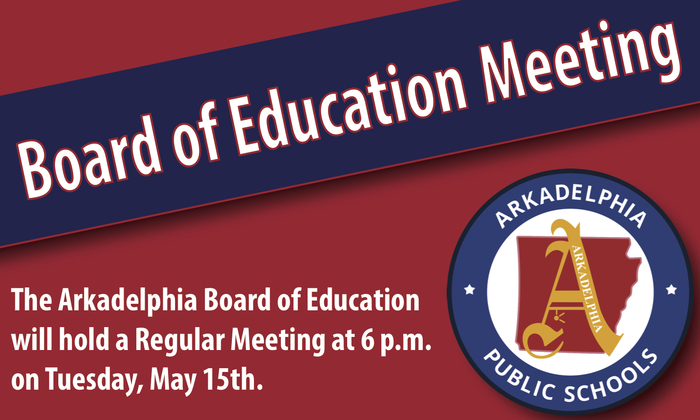 Reminder: April's Board of Education regular meeting will be tonight at 6 p.m. in the administration building. Spring Break 2015, here we come! We hope you are able to enjoy some quality time with your family (and sunshine) next week. The APS campuses and administration building will be closed March 23-27. Reminder: March's Board of Education meeting is tonight at 6 p.m. in the administration building. 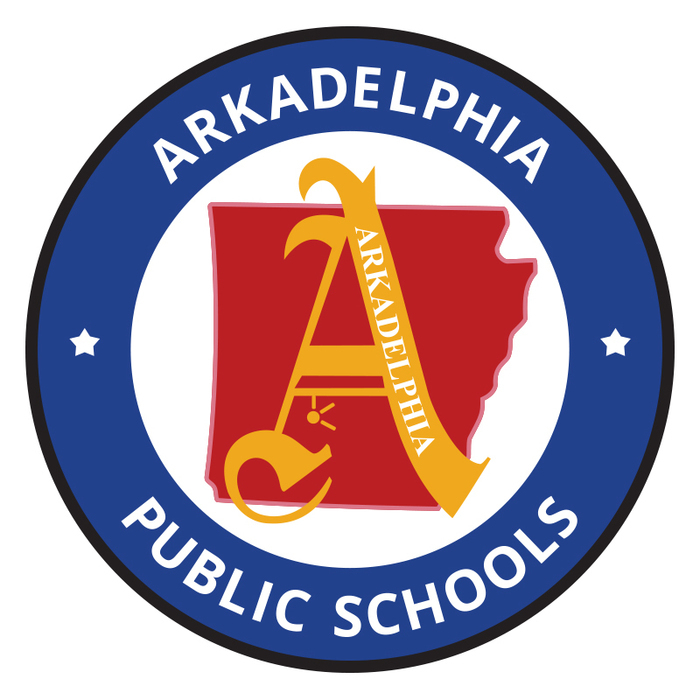 Due to inclement weather, Arkadelphia Public Schools will be closed on Thursday, March 5. 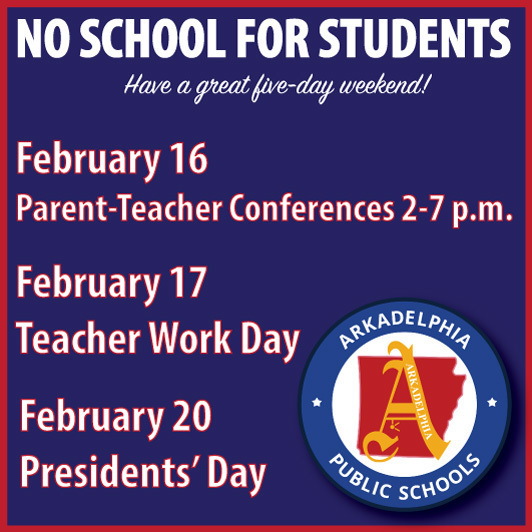 Arkadelphia Public Schools will be open and on the regular schedule on Friday, February 27. Since overnight freezing will create dangerous road conditions, school is cancelled for Thursday, Feb 26. Stay safe. Hope for sunshine. School is cancelled for Wednesday, Feb. 25, due to the forecast of winter weather expected to occur during the school day. We have electricity at all campuses! Unless we announce otherwise, we will be open on Wednesday. Our Board of Education meeting originally scheduled for Tuesday night has been cancelled. 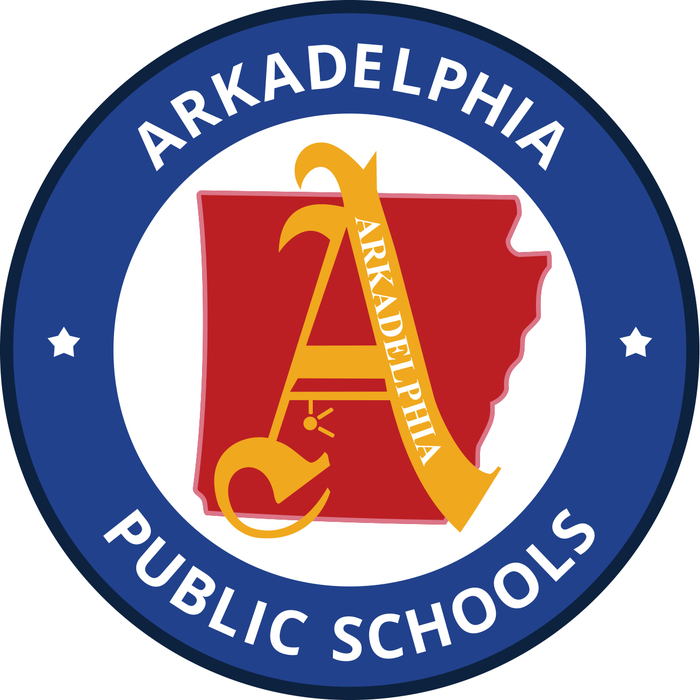 Arkadelphia Public Schools will be closed on Tuesday, February 17. Reminder: Parent/Teacher conferences are today from 2-7. We hope to see you there! 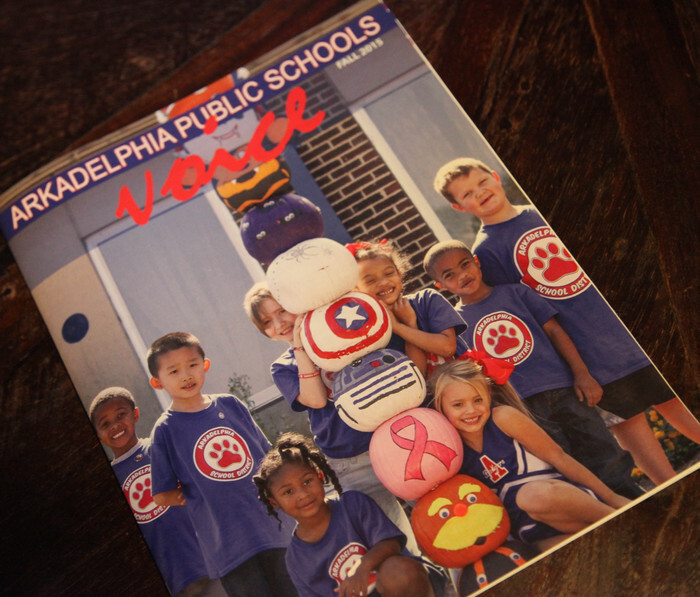 Pick up the latest issue of the APS Voice at your P/T conference on Thursday. It's packed full of #BadgerPride. No school Thursday, Friday, or Monday, but remember parent/teacher conferences are Thursday. Check with your child's school for scheduling. 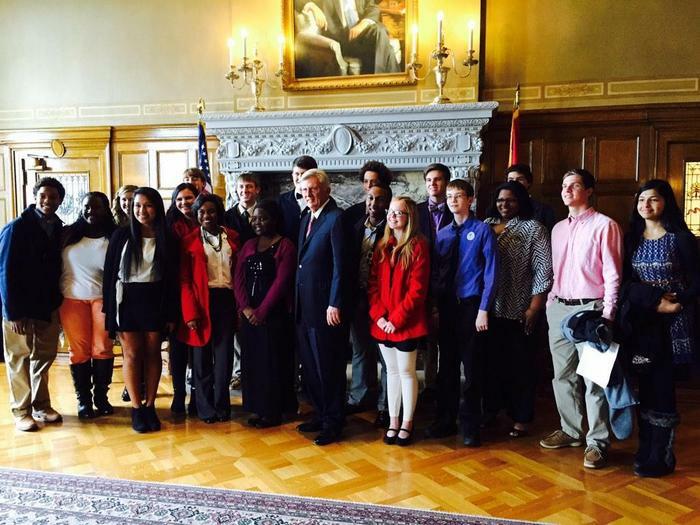 Only 6 days left to apply for the AR Governor's Scholarship. Spread the word! January's Board of Education meeting is tonight at 6 p.m. in the administration building. Reminder for our Promise graduates: After your 10th day of classes, we will request invoices and begin sending scholarship checks. 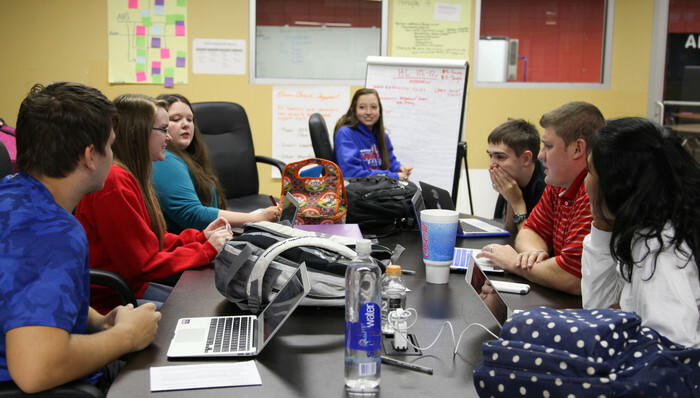 2015 is officially underway in our schools and we are looking forward to a great semester! We hope you are, too! Happy New Year! Go Badgers! 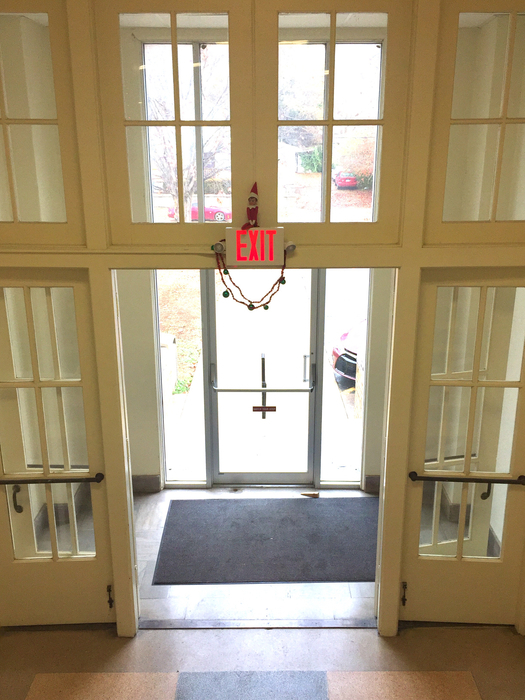 As our Fall 2014 semester draws to a close, we want to wish everyone a Merry Christmas! We hope you can spend time relaxing and enjoying the company of family and friends! We'll see you back on Jan 5! 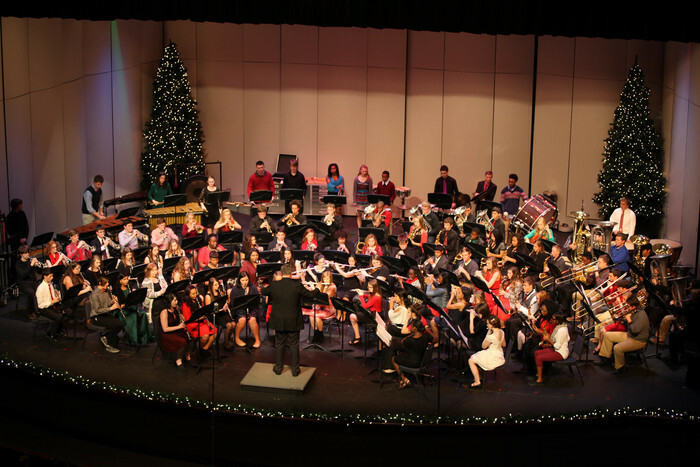 Tues, 12/16, AHS & Goza Band's Christmas Concert, 7 pm, @ Jones Performing Arts Center (OBU). The concert is free and everyone is invited! AHS Jazz Band Concert, Thursday at 7 p.m. in the AHS Little Theater - Concert is free, and everyone is invited! 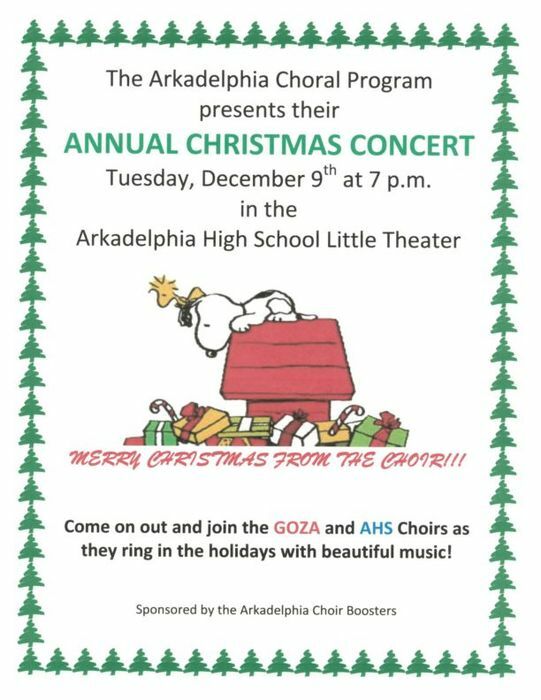 Arkadelphia Choral Dept's Christmas Concert (AHS and Goza) is tonight at 7 in the Little Theater! The APS Board of Education regular December meeting has been cancelled. Regularly scheduled meetings will continue in January. 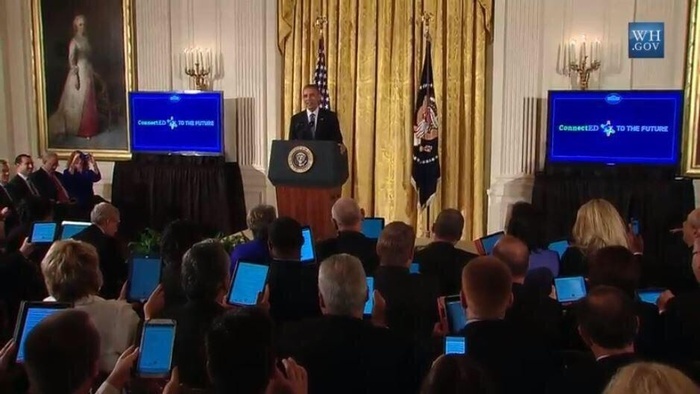 APS Superintendent Dr. Donnie Whitten, along with 99 other U.S. school district leaders, signs the #FutureReady pledge at today's ConnectED summit held at the White House. Join us Tuesday at 5:15 p.m. in Central's cafeteria for the Teachers of the Year reception prior to the Nov Board of Education meeting. Today, AHS New Tech students delivered a letter to state reps and visited with Gov Beebe about the impact high speed internet access has on their education. Visit https://fasterarkansas.com for info. 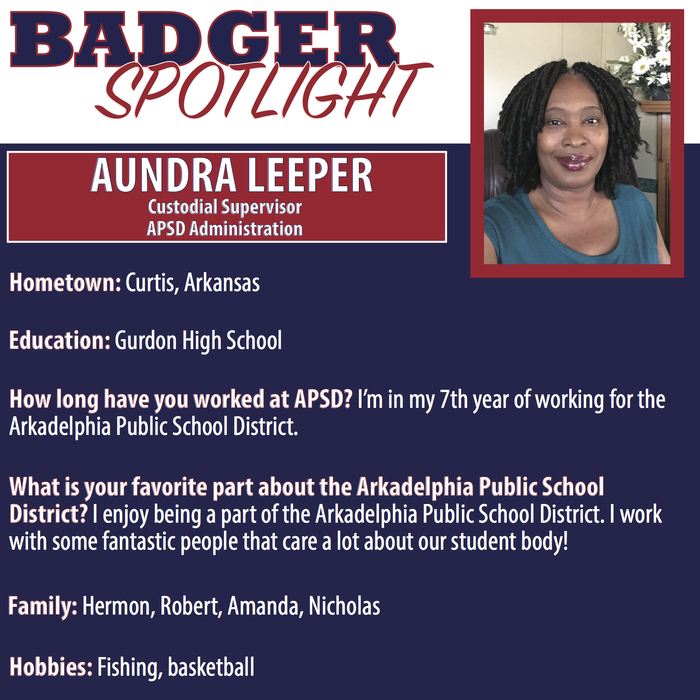 TONIGHT: Arkadelphia Promise parent meeting at the AHS Little Theater - Monday, Nov. 10 @ 6 p.m.
APS's Angela Middleton was also elected as an AAEOP VP (not pictured). AHS's Terry Hagood, outgoing AAEOP Treasurer, also pictured. 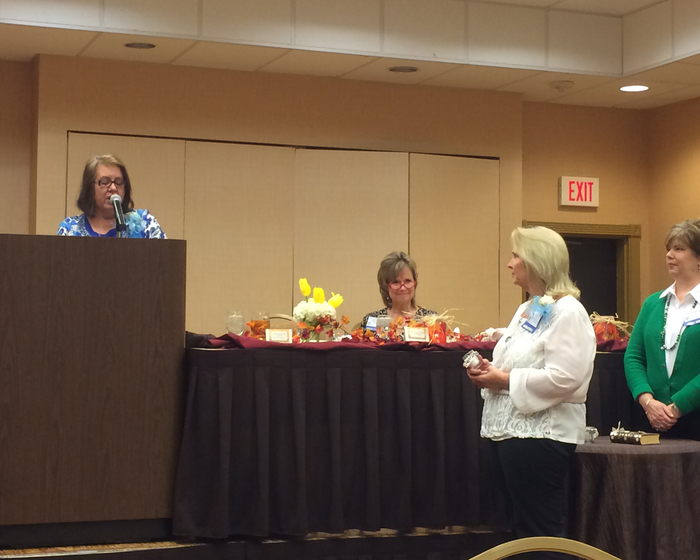 Congrats to Velvet Pilot, APS admin asst, who was inducted today as the new President of the AR Assoc of Education Office Professionals! 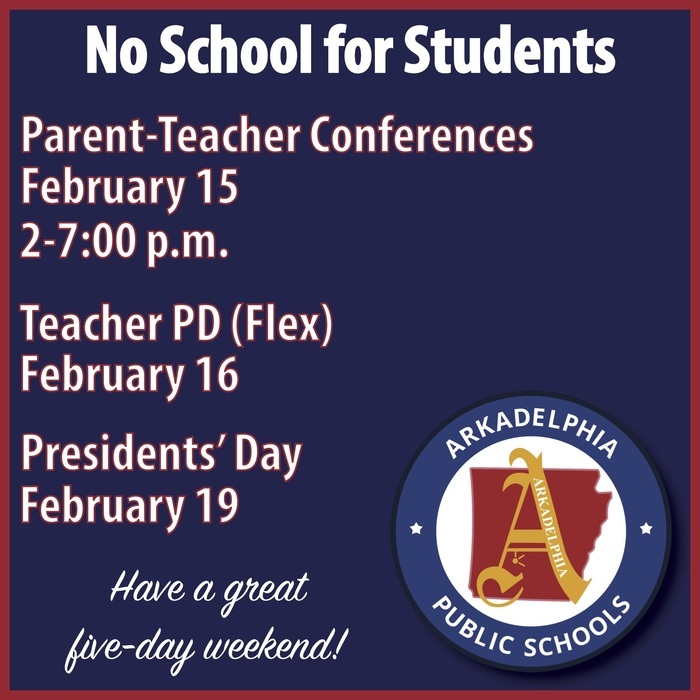 Reminder: No school on Thursday or Friday this week, but make plans to attend parent/teacher conferences on Thursday. Badger QB Jeff Blake goes airborne to score at the end of the first quarter of Arkadelphia's homecoming game vs Mena. Congratulations to our 2014 Homecoming Queen Tessa Yelverton and Maid of Honor Kristin Bell! Welcome to Homecoming 2014! We hope the evening's festivities & weekend plans for those gathering with class reunions allow for a great celebration of past & present #BadgerPride! Reminder: October's Board of Education meeting will be today at 5 P.M. in the administration building. October's Board of Education meetings have been rescheduled. The regular meeting will be on Thursday, 10/16, at 5 PM, in the admin building. Our public presentation of the #APSannualreport is set to begin soon. If you aren't able to join us, please follow along for live updates. 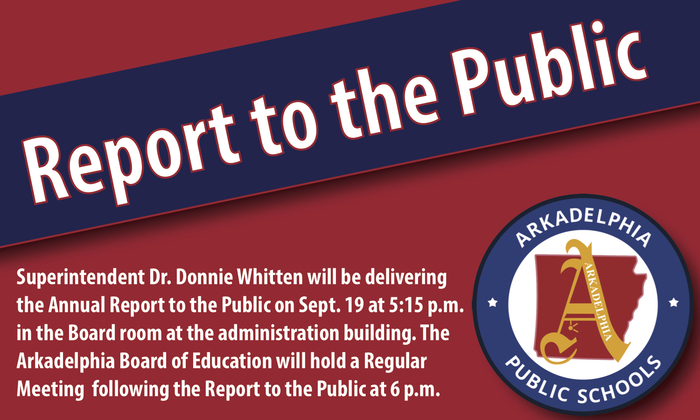 Join us today at 5:15 PM in the admin building for the Annual Report to the Public followed by September's Board of Education meeting. Our Annual Report to the Public & September Board of Education meeting has been rescheduled to September 16 at 5 p.m. 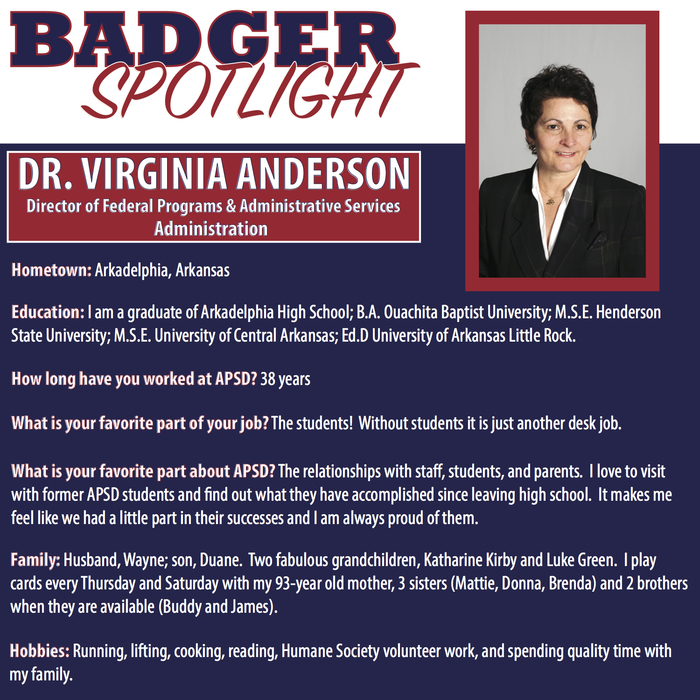 The APS Board of Education will meet tonight at 6 P.M. in the administration building. 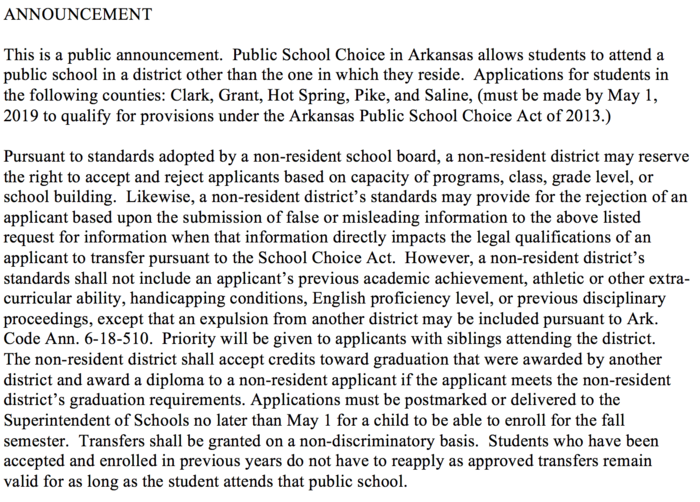 Due to uncontested board positions, the 2014 school board election will be conducted through early voting and absentee ballots only. There is only one first day of the school year. Make it a great day! We are looking forward to seeing you at open house tonight. The times for each campus are: Peake Rosenwald & Perritt, 5-6 pm; Central, 6-7 pm; Peake, 7-8 pm; Goza, 5:30-7 pm; AHS frsh & soph, 6-8 pm. 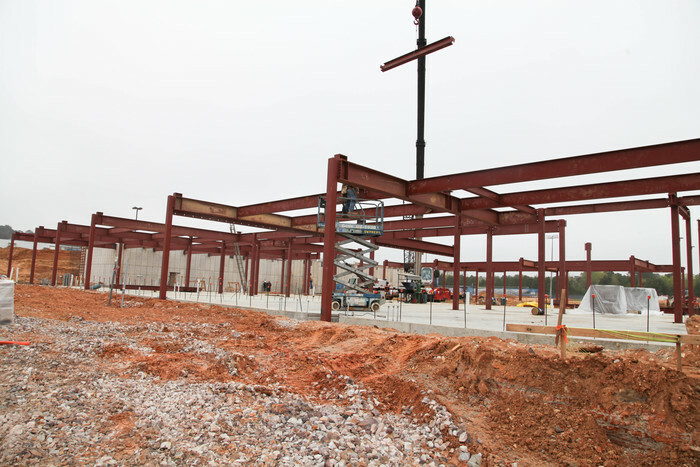 APS web sites are under construction. We are working hard to have these new sites ready as soon as possible! Thank you for your patience!